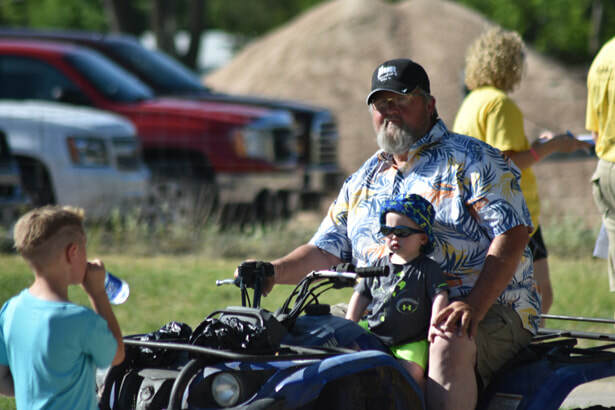 Eleven of the children of Joe and Theresa Knievel: Paul, Rita, Ann, Theresa, Ed, Kathy, Donna, Connie, Rosemary, Steve and Chris. A controlled burn was conducted at Knievel's Corner on Saturday. 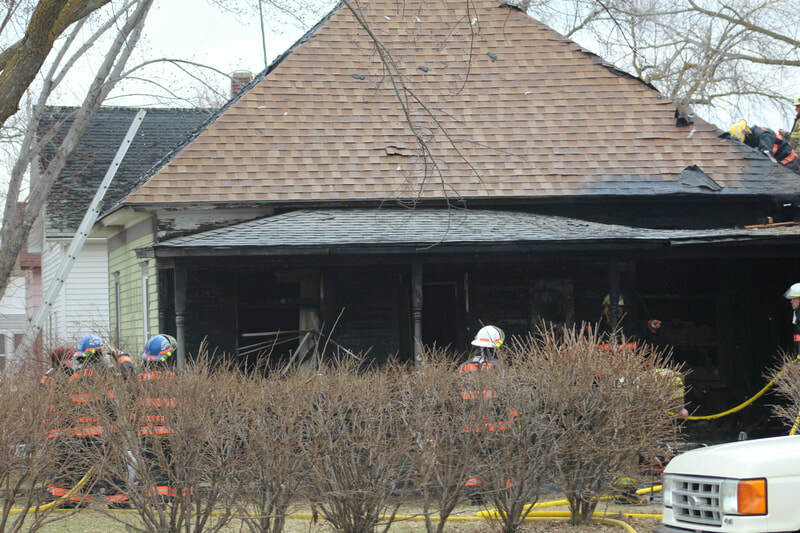 Sunlight poured in through the large storefront windows. 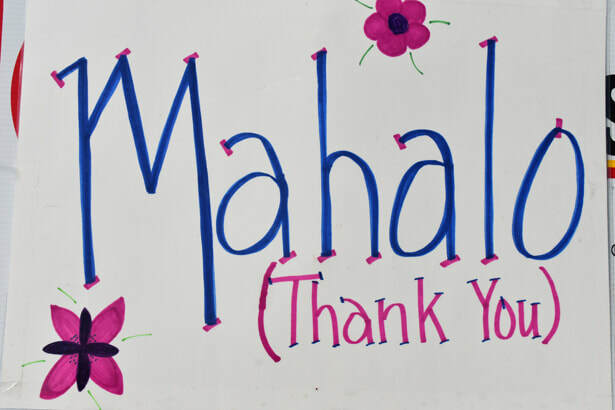 Kids excitedly swung open the door and turned to the right as they spotted candy bars near the counter. 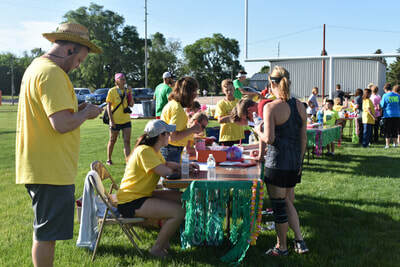 An upright freezer with sliding doors on the west and north walls held the popular ice cream treats. 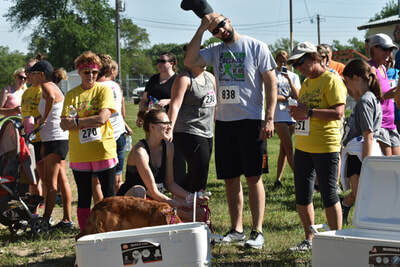 Grocery staples filled several shelves in the center of the store and the south side featured bins of fruit and vegetables. 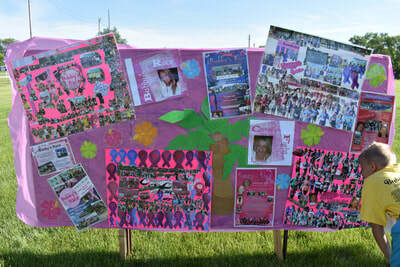 Event flyers were posted in the windows. The little country store was a hub of activity as friends and neighbors gathered for gas, groceries and beer. 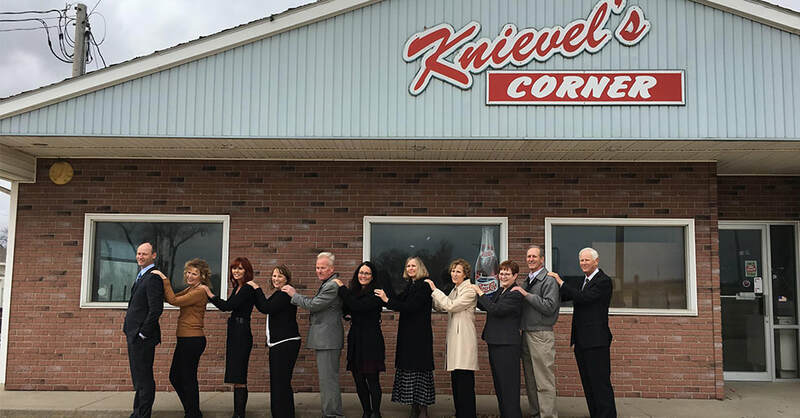 Knievel’s Corner store served as a rural landmark and lifeline for generations of families for more than 70 years. 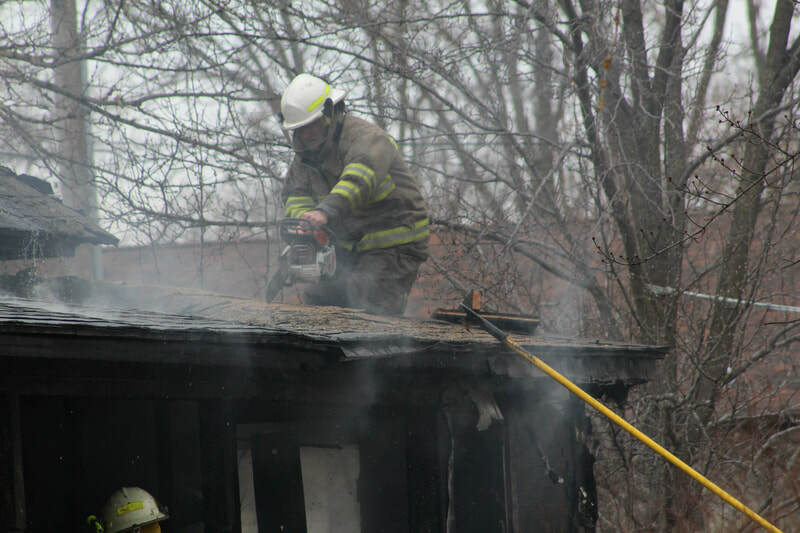 Now, memories and two gas pumps are all that remain of the former store after it was razed in a controlled burn on Saturday. 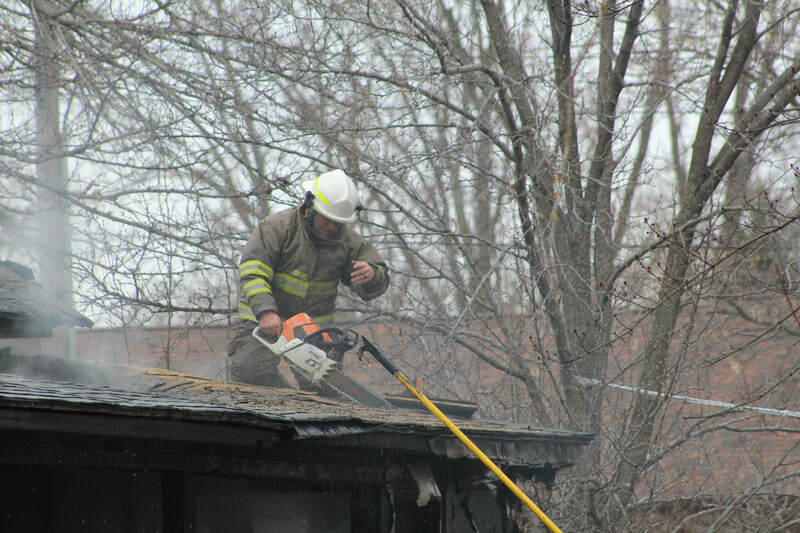 The Ewing Volunteer Fire Department burned the structure at the request of current property owner Ag Agronomy. Two gas pumps and fond memories are all that remain today. 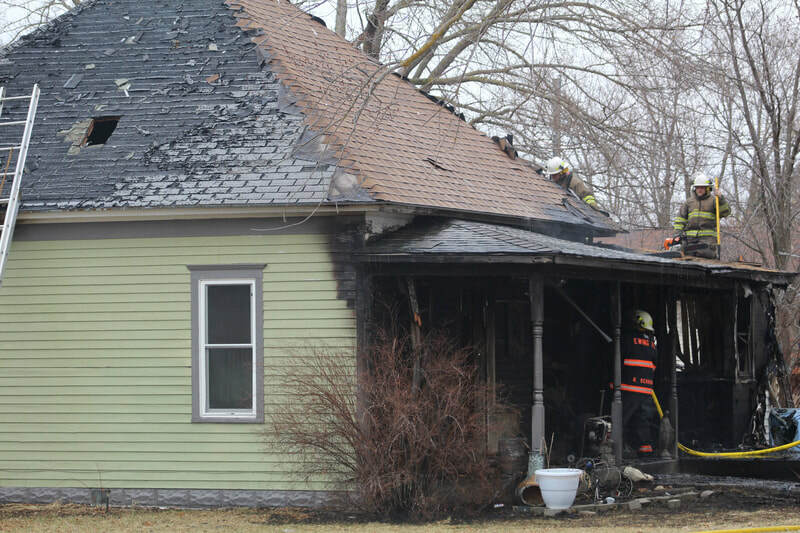 Originally built in 1936, the store was owned by the Ferdinand and Anna Hupp family. The store was sold to Joe Knievel in 1947. 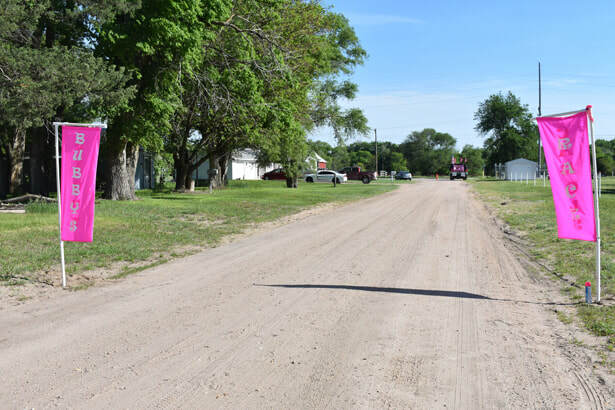 Located just west of the Antelope-Holt county line, it turned into a physical landmark in the area and became known as Knievel’s Corner. 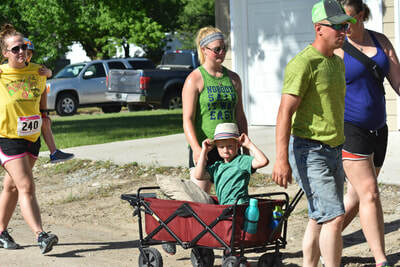 Knievel also had a tank wagon service for farm deliveries, and beginning in the 1960s, a fertilizer business was added. The grocery store was mainly operated by his wife Theresa and their 12 children: Chris, Steve, Rosemary (Schoolfield), Connie (Dvorak), Joe, Donna (Knievel-Kamas), Kathy (Fry), Ed, Theresa (Mackel), Ann Knievel, Rita (Weiss) and Paul. 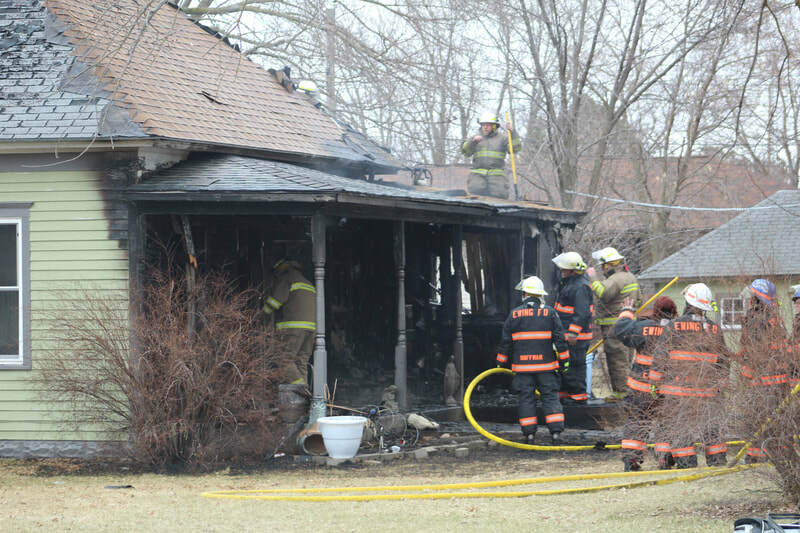 The family’s home, which was attached to the west side of the store, was built in 1956. 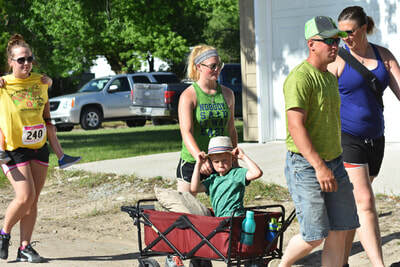 Connie said the grocery store was convenient for the people in the area as well as their large family. “Dad used to call it an oversized pantry,” she recalled with a laugh. 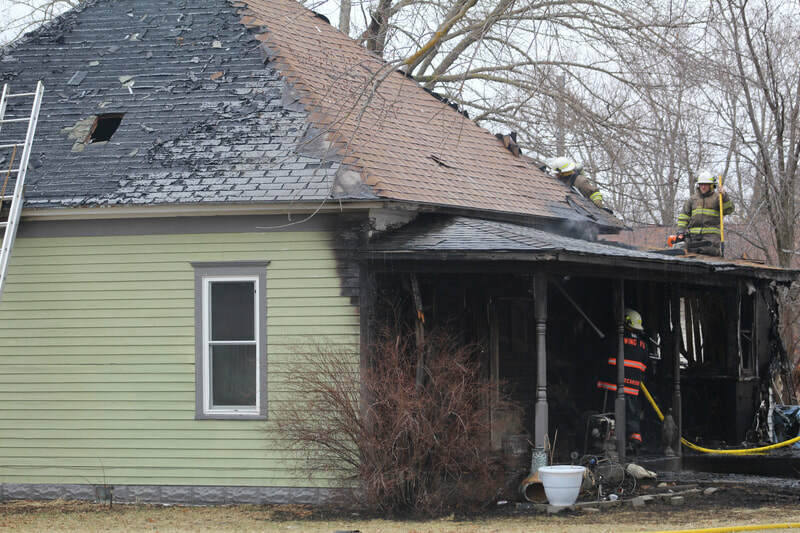 “It was a very nice pantry for our huge family,” she said. 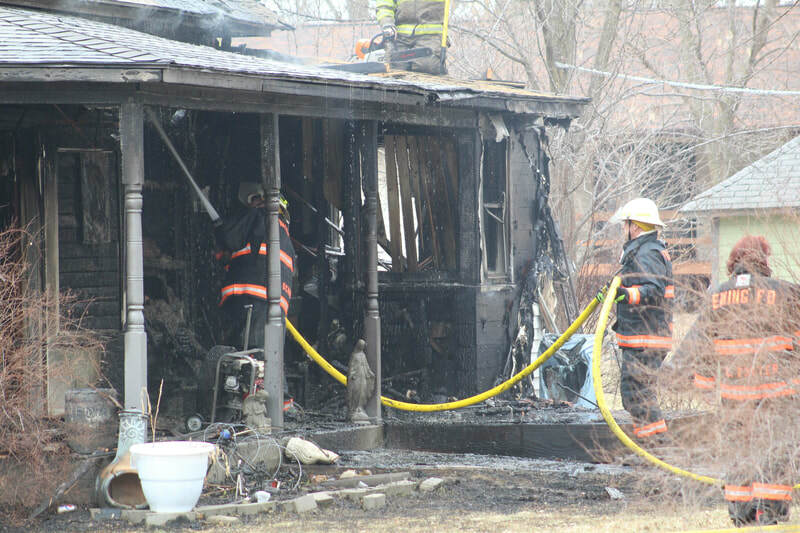 Connie said since their home was attached to the store, it was a very big part of their lives. “I suppose it would be kind of like someone who lived on a farm that had chores, but we had the store,” she said. 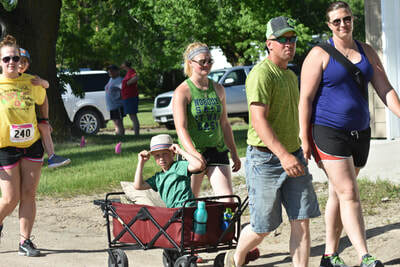 The kids pumped gas for customers, unloaded the Nash Finch delivery truck on Wednesday mornings when they weren’t in school, stocked the shelves, ran the cash register and made change, boxed up the groceries and helped the shoppers carry them to their car. 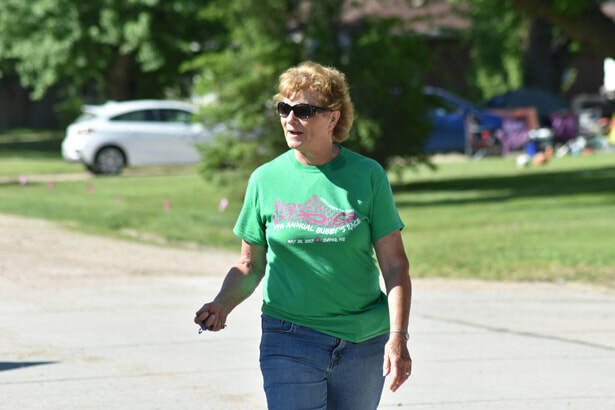 Rosemary said she enjoyed visiting with their neighbors who would do their weekly shopping on Saturdays. 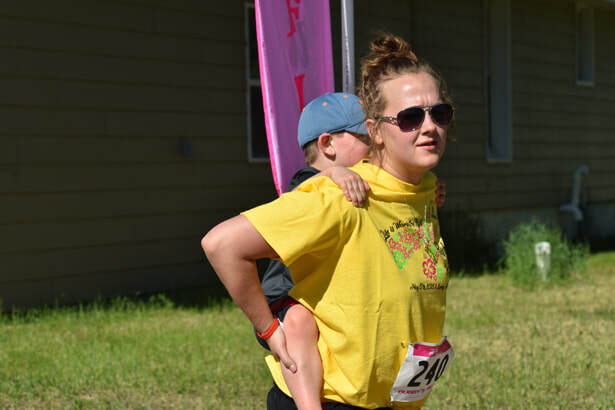 “I developed some arm strength carrying out those heavy boxes,” she said. 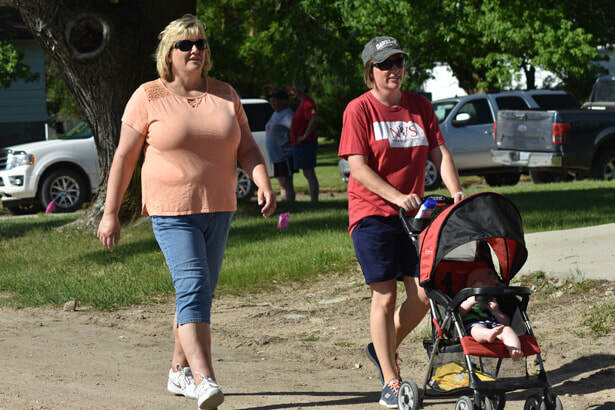 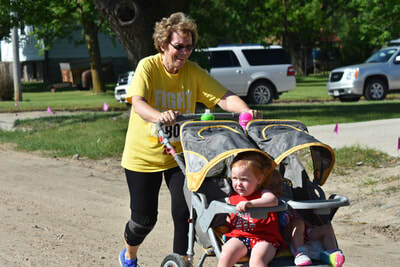 As their tank wagon and fertilizer businesses began to grow, she said her mother needed additional help and hired some local ladies to work there as well, including Marge Schindler, Rita Funk and Nita Hixson. She said customers could purchase anything from lunch meat to basic hardware, such as nuts and bolts. 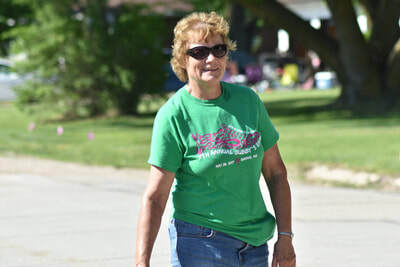 Gloria Christiansen of Neligh, who grew up just 4 miles west of Knievel’s Corner in the 1950s and 60s, said her favorite childhood memories of Knievel’s store happened on Sunday mornings. 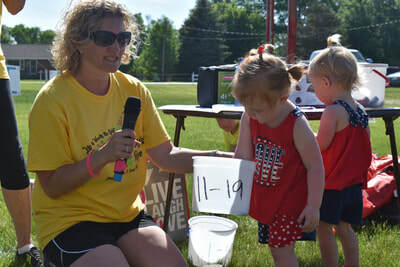 But if there was enough, each one of the kids would receive a coin. “So we went in and I always got a fudge ice cream cone or a salted nut roll,” Gloria remembered with a chuckle. 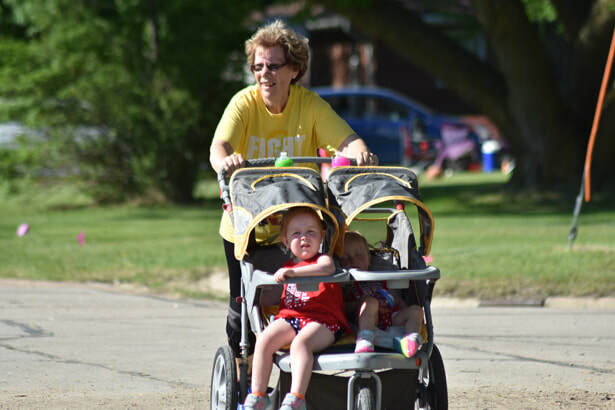 “We always wanted mom to buy groceries there because Theresa would treat us,” Gloria said. 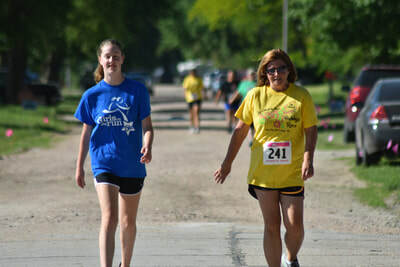 Theresa said she recalls watching her mother’s generosity in action. 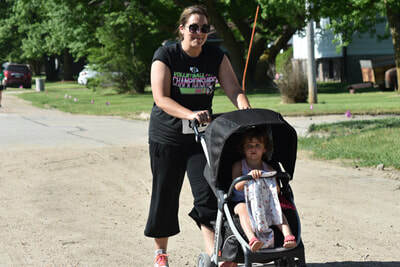 “I remember mom walking around with neighbors that had sick family members or had suffered a recent loss and adding lots of extra items to their carts at no cost to them,” she said. Gloria said Knievel’s store was also a meeting place for kids if their parents couldn’t pick them up from school on time. 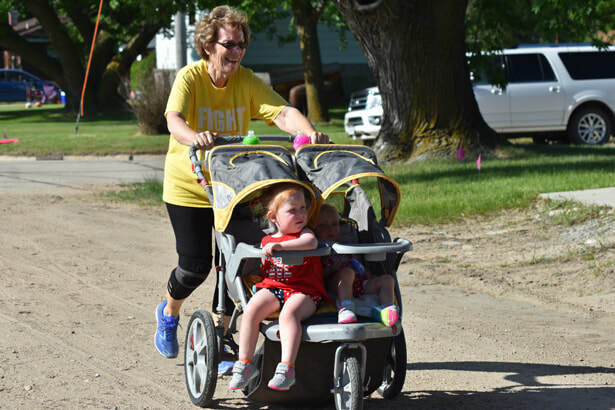 “We would walk to Knievel’s store, wait for our parents to come and hope we had a nickel or dime with us so we could buy something,” Gloria said. “It was just a really important place that tied us all together,” Gloria said. Connie said her dad had the old store torn down in 1994 and reopened a new, larger store with a lunchroom in 1995. 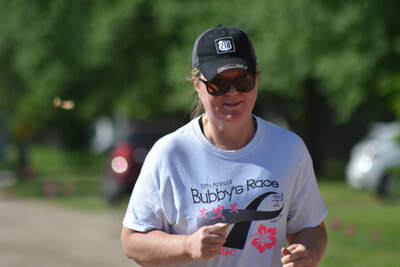 The business was sold in 1997 and closed about 10 years later. 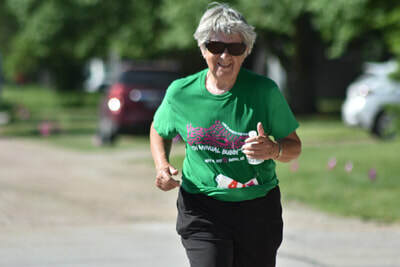 “The store was part of a vibrant community while we were growing up, along with St. John’s Church and the country schools,” she said. Connie said it’s been nice to hear everyone’s memories about Knievel’s Corner. 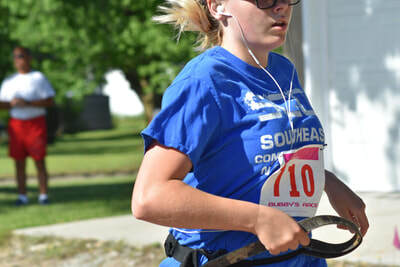 Those memories are something she holds dear, especially now that it’s gone. 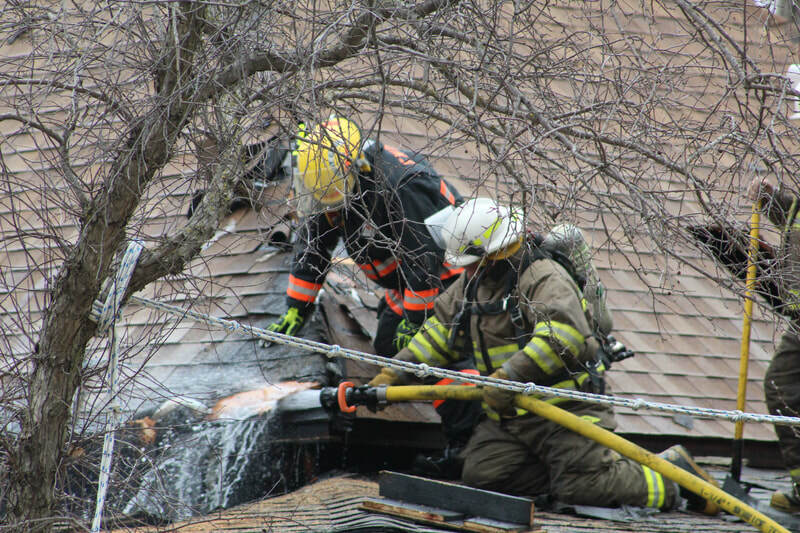 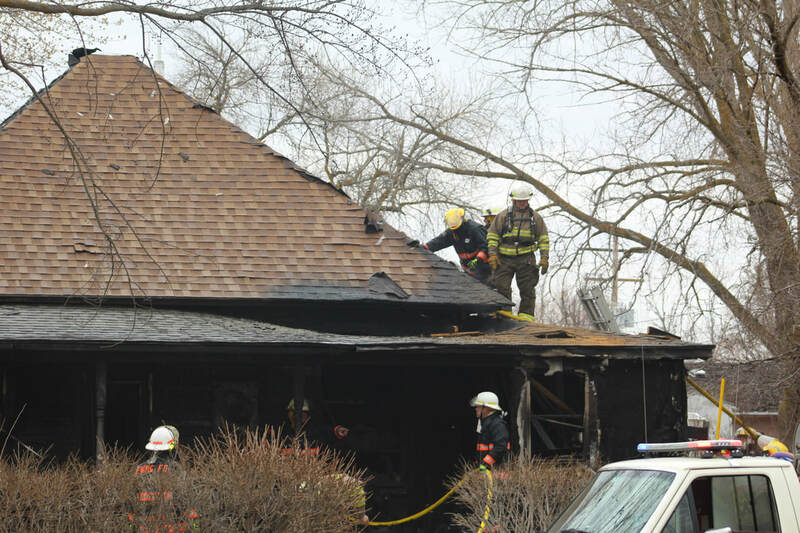 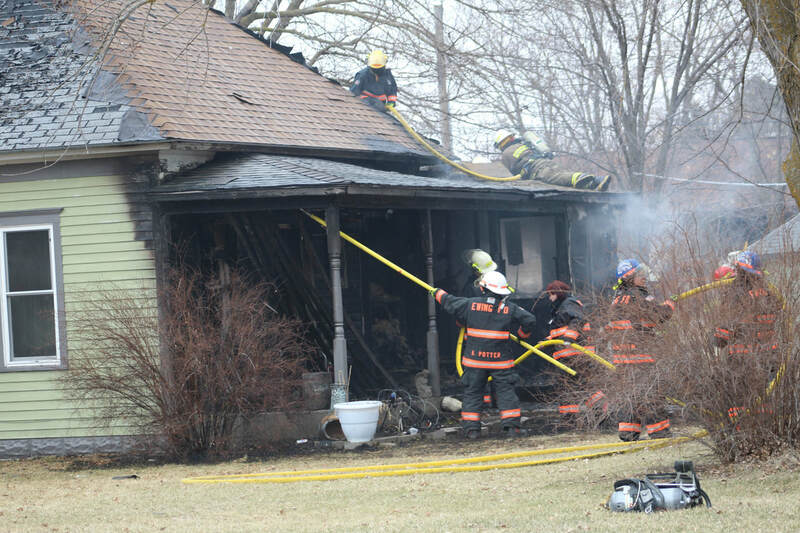 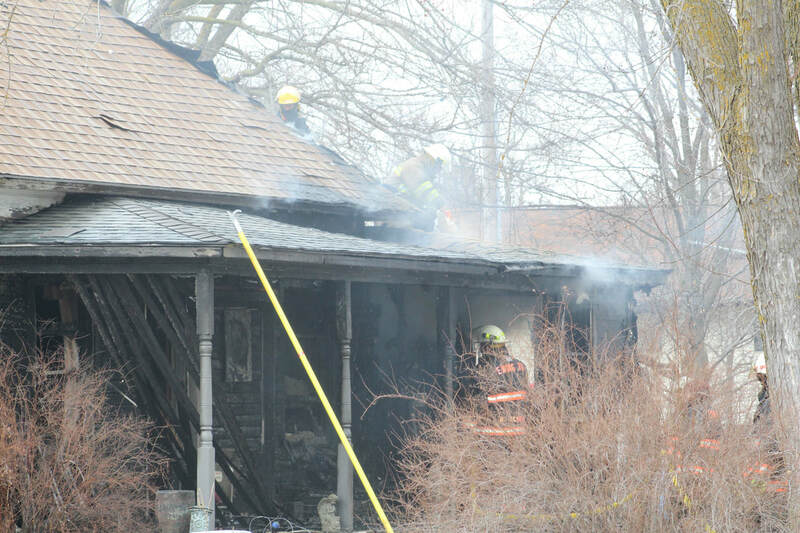 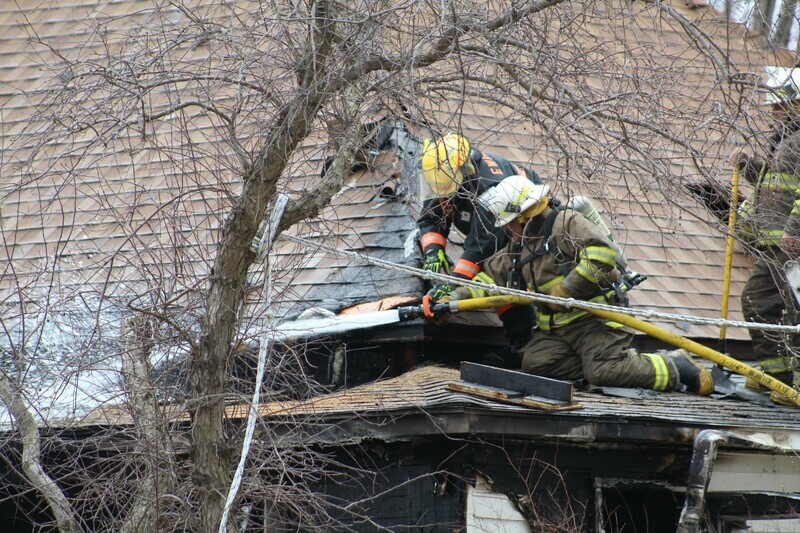 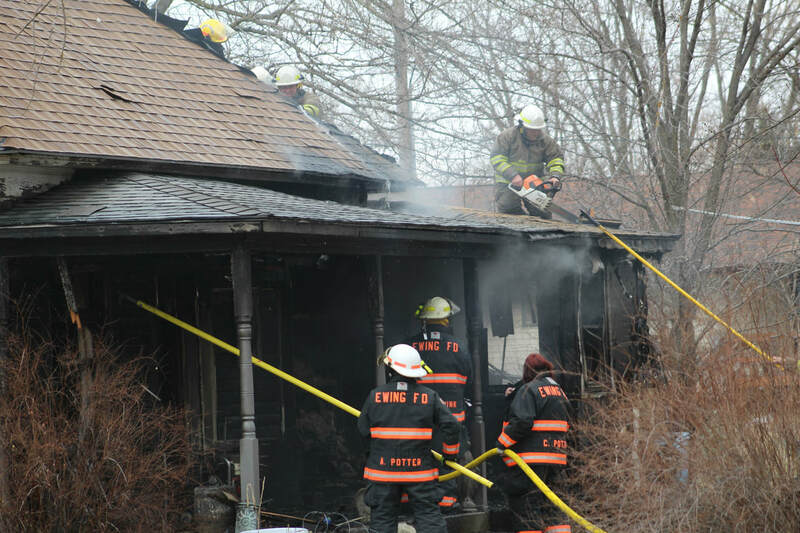 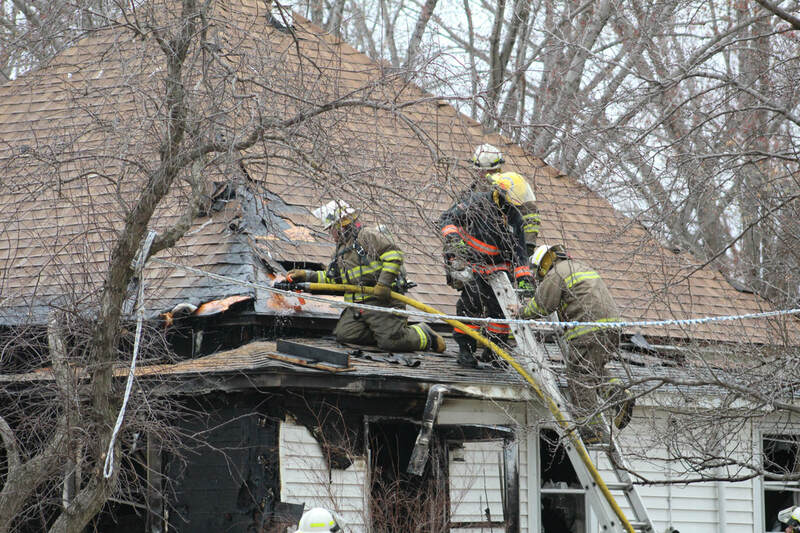 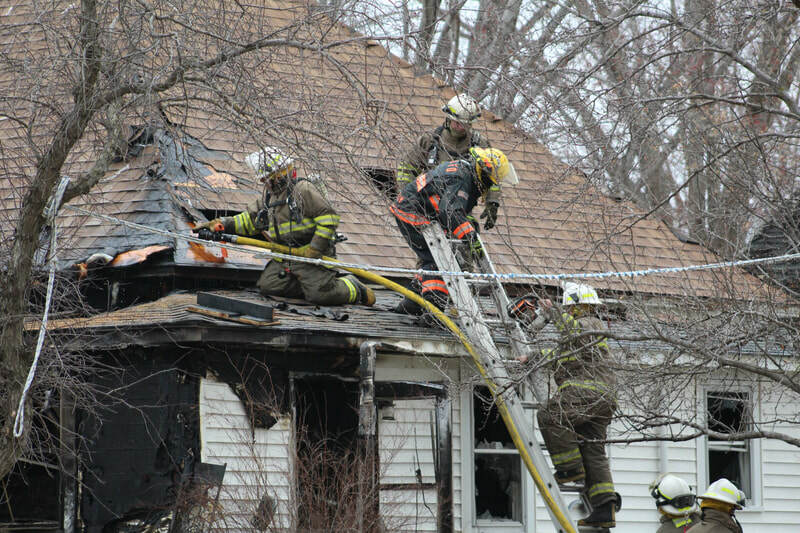 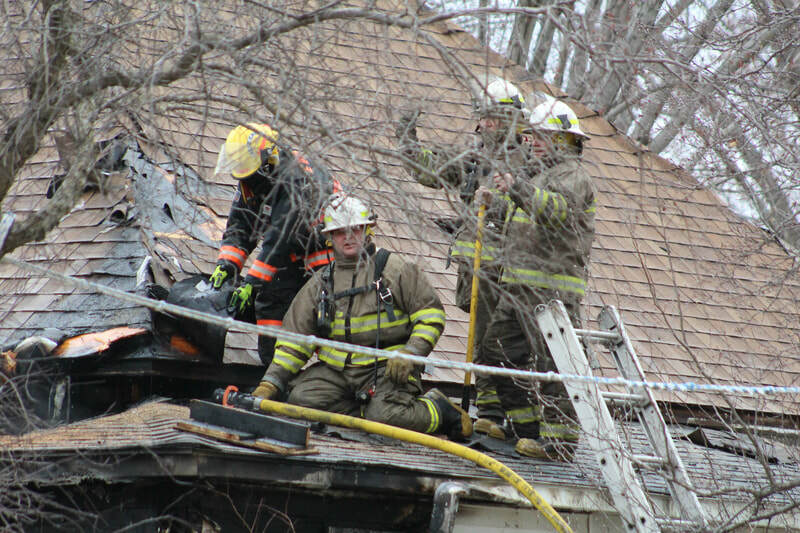 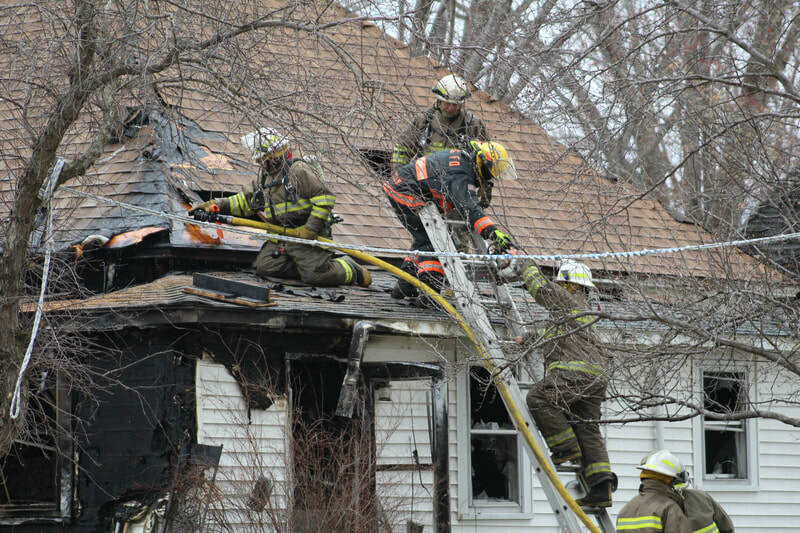 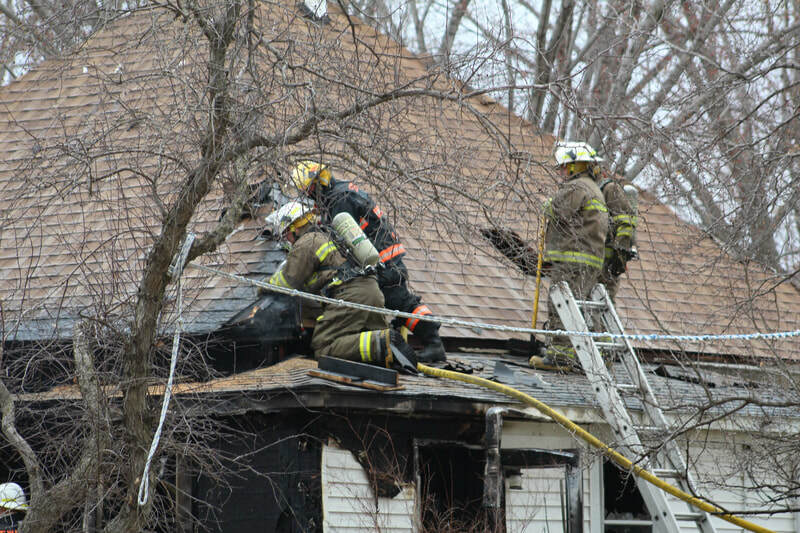 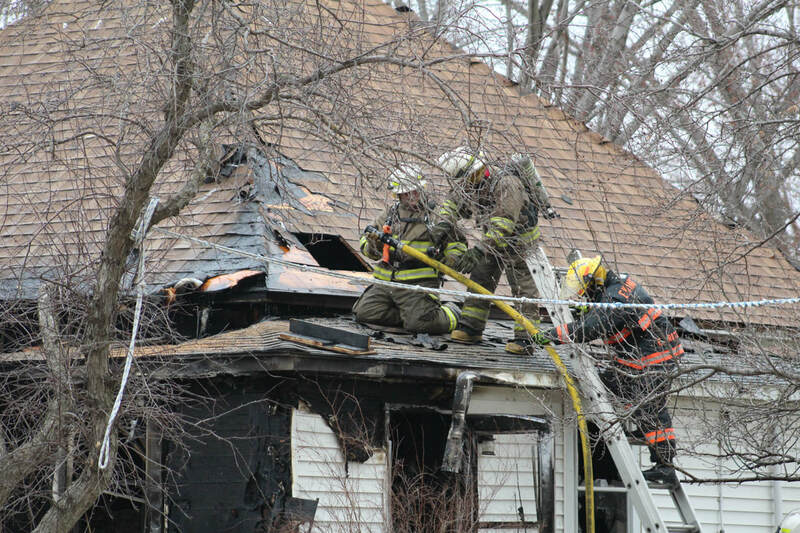 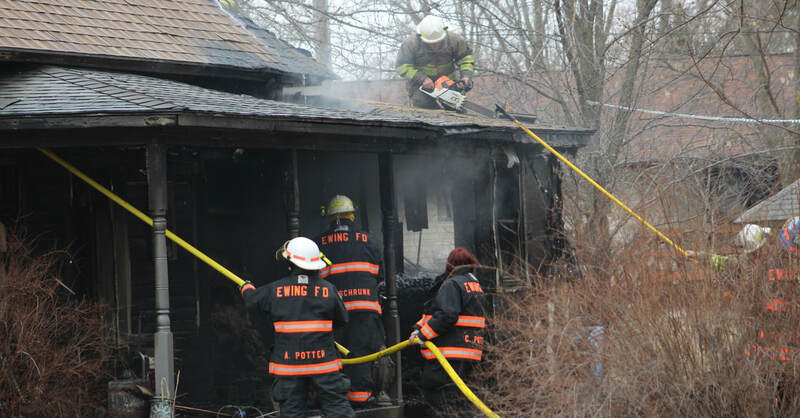 Firefighters were called to a house fire on Friday afternoon at the corner of Lincoln and Pine in Ewing. 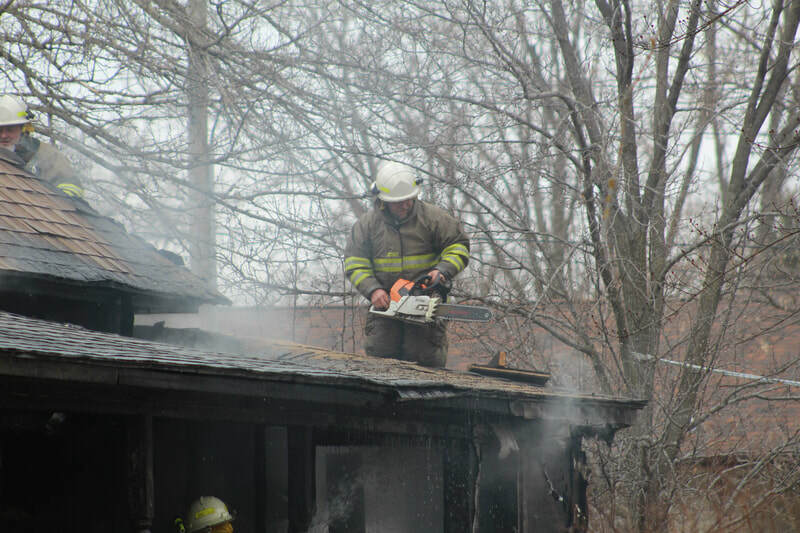 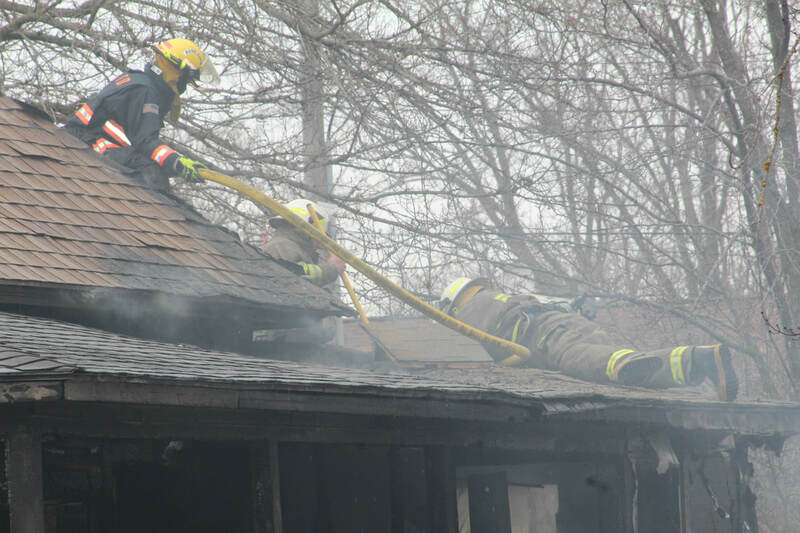 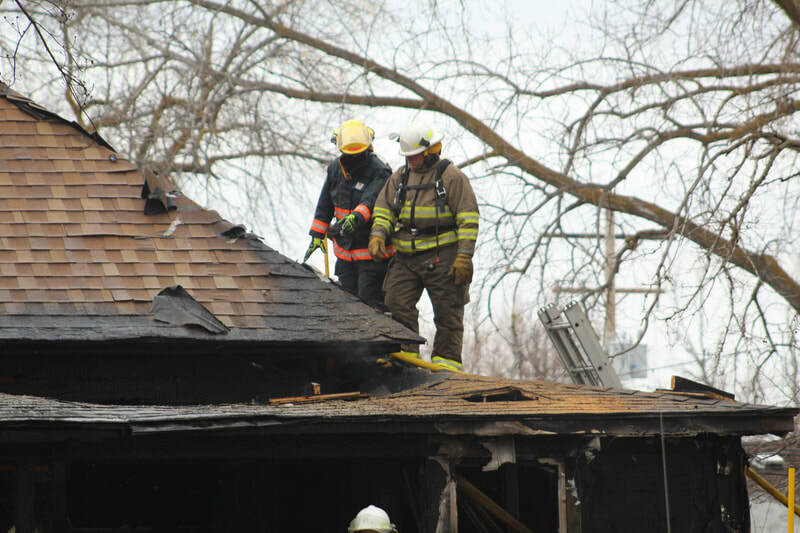 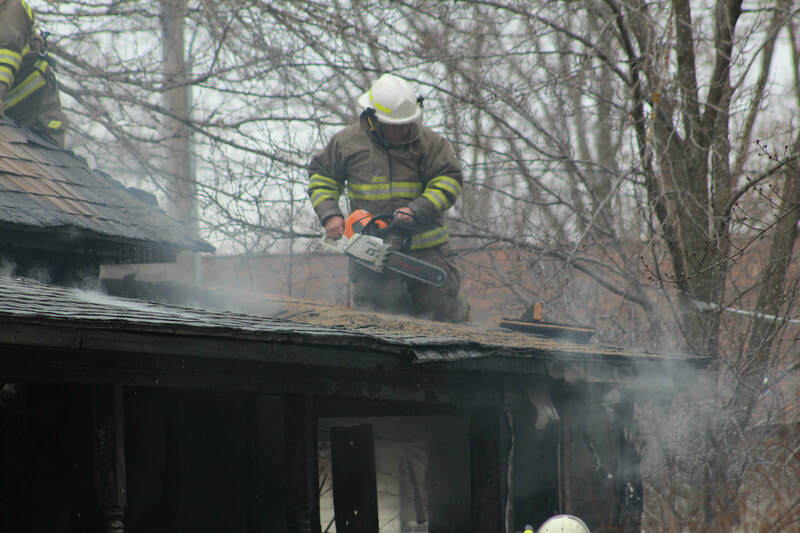 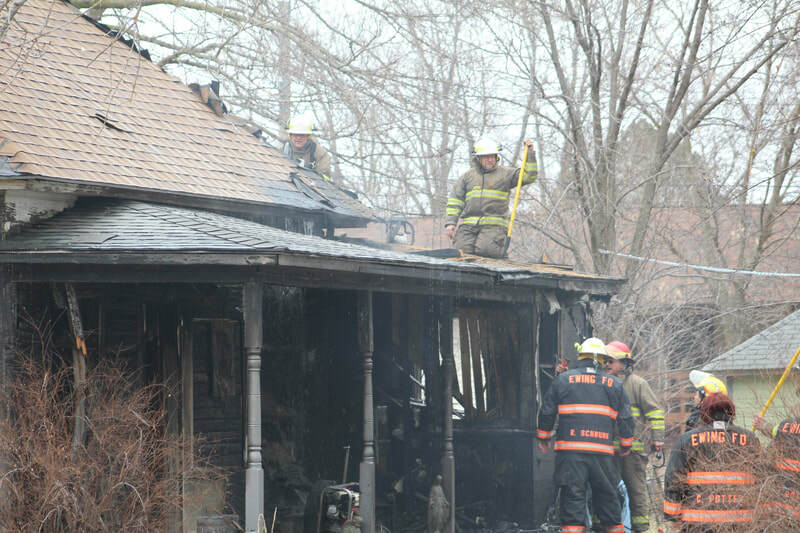 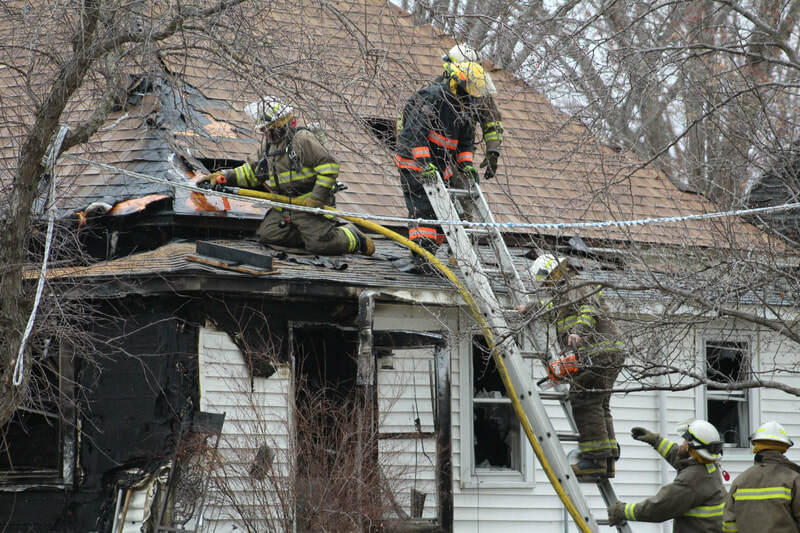 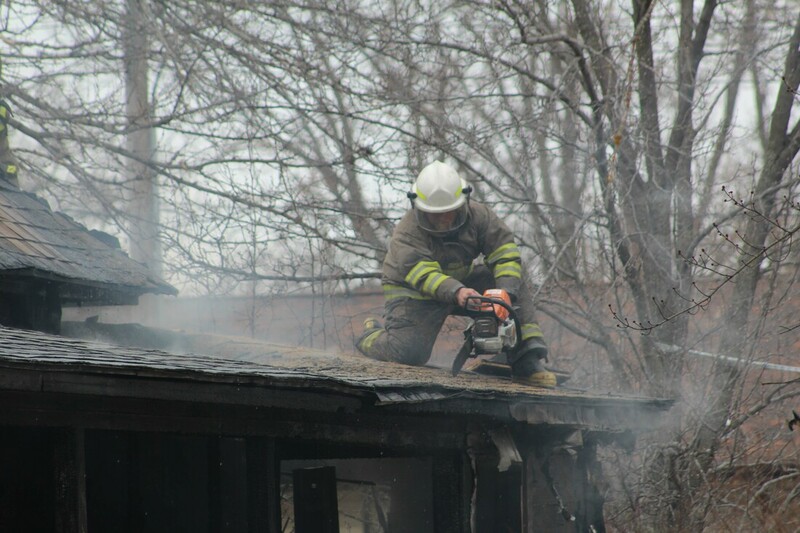 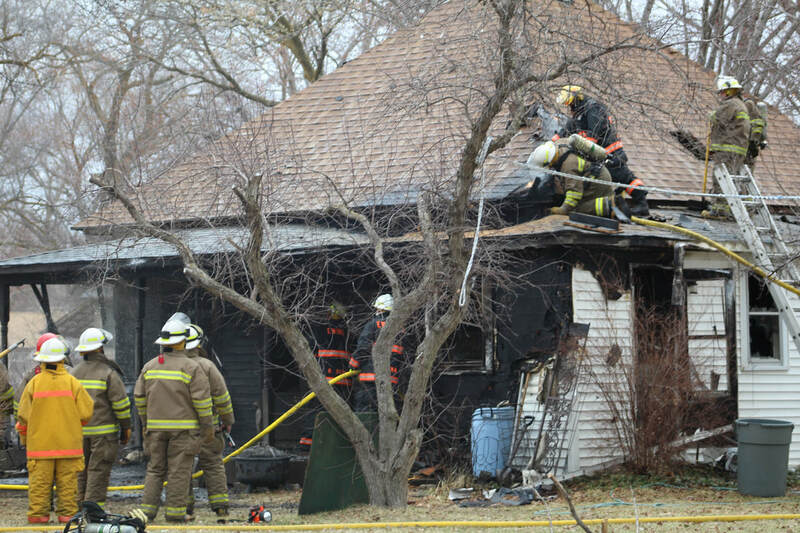 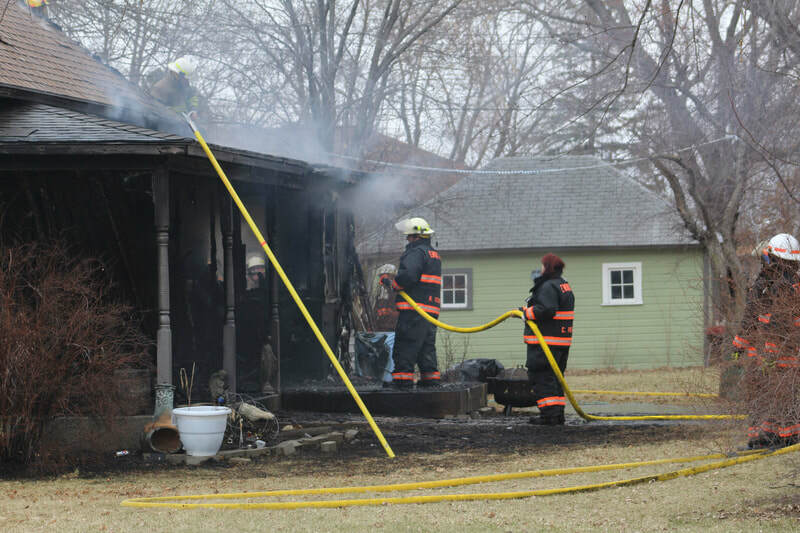 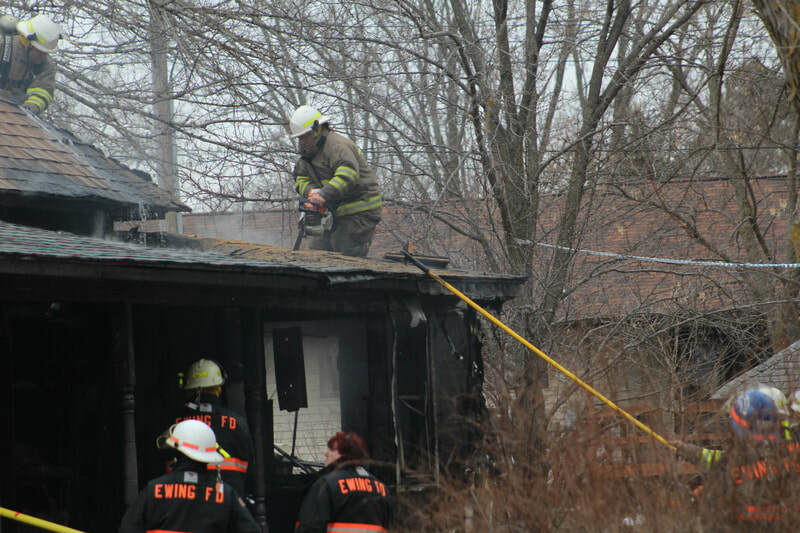 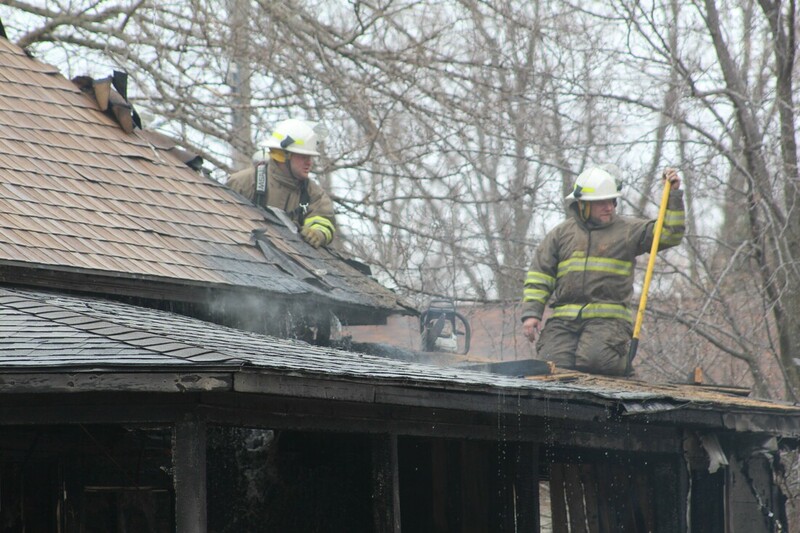 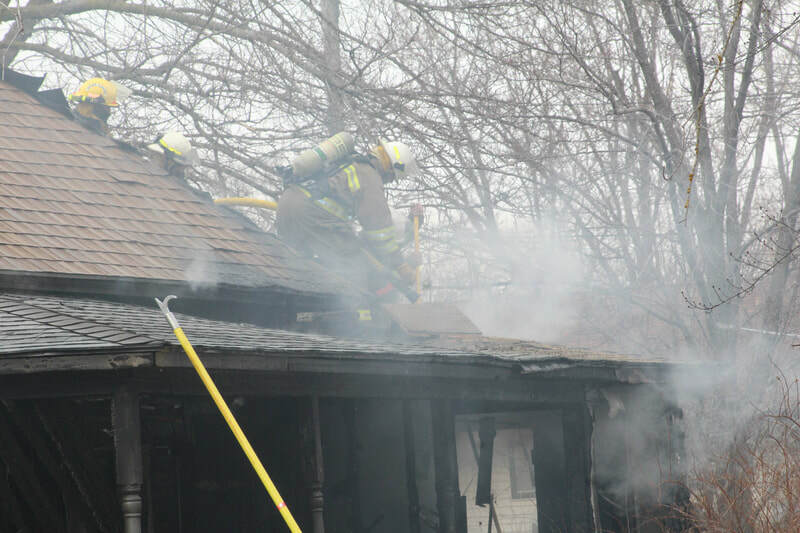 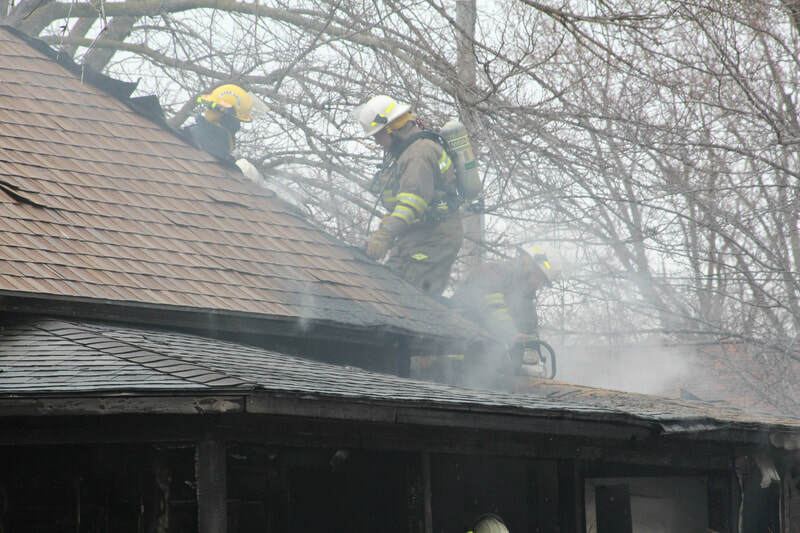 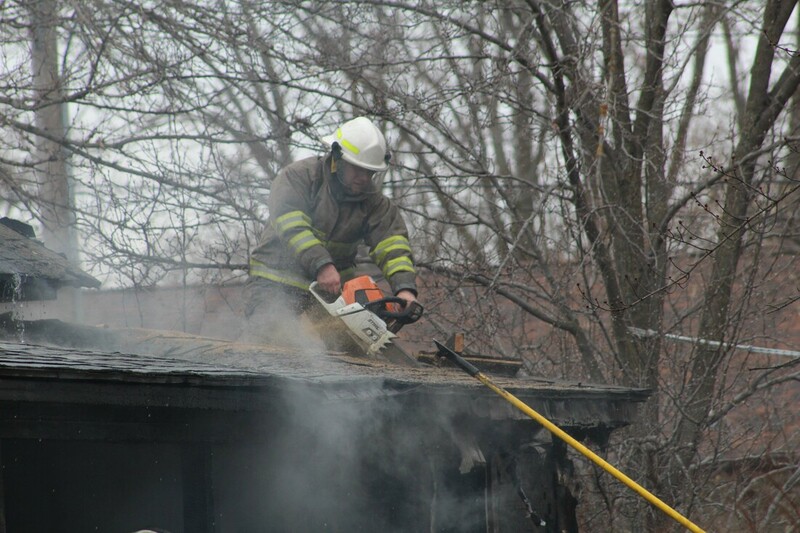 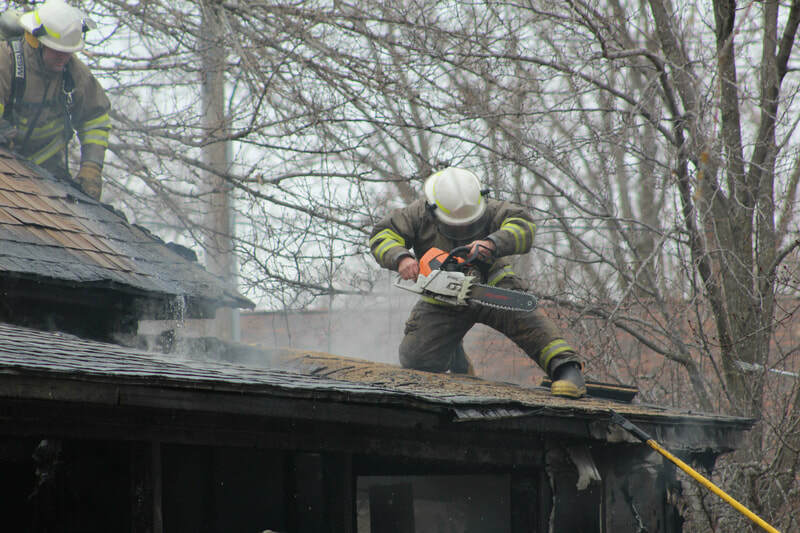 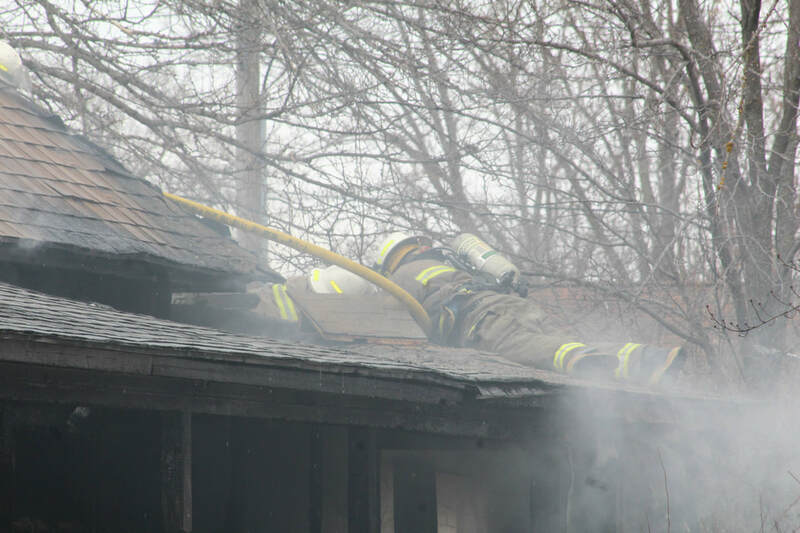 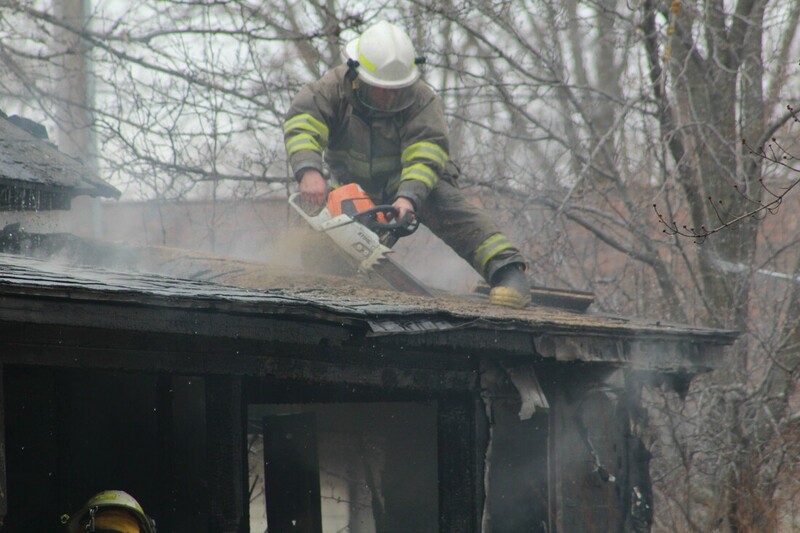 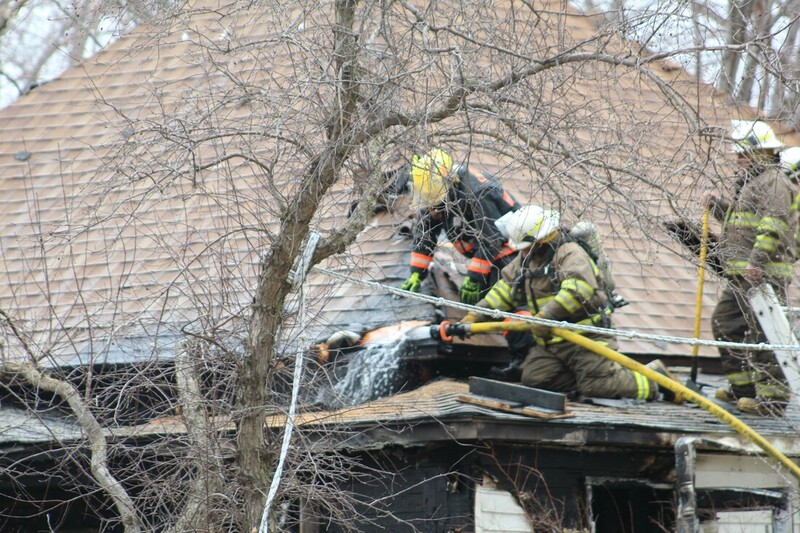 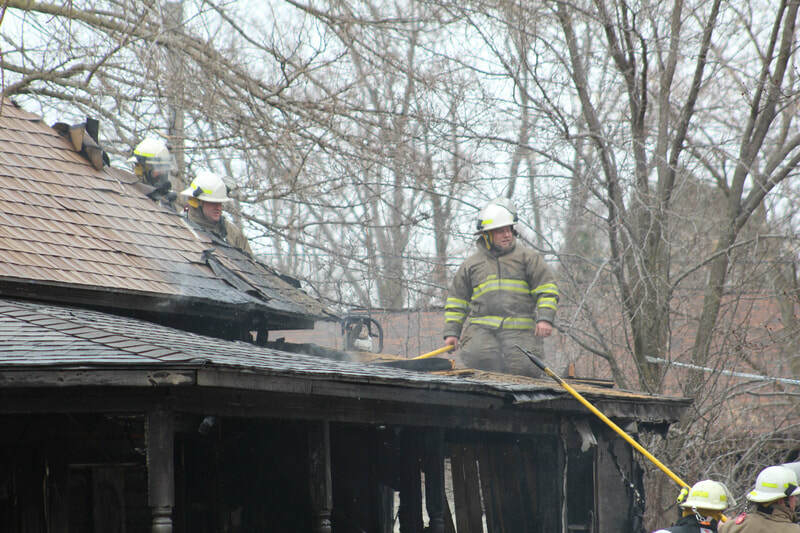 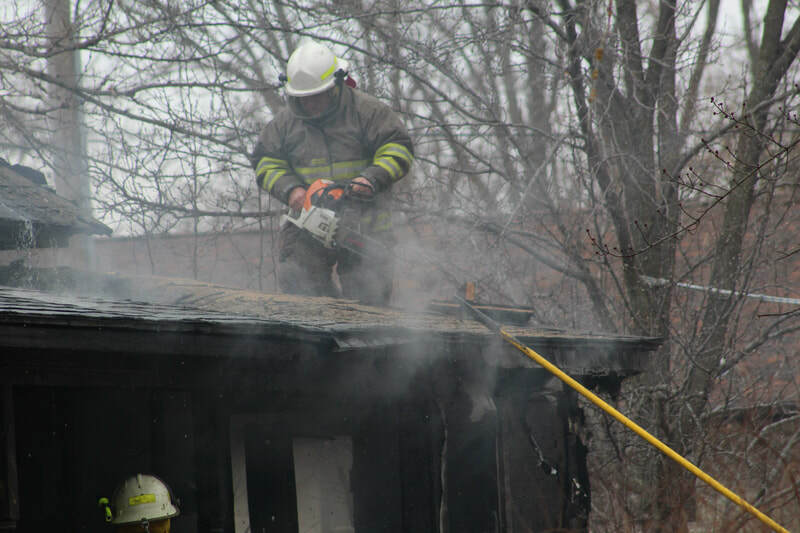 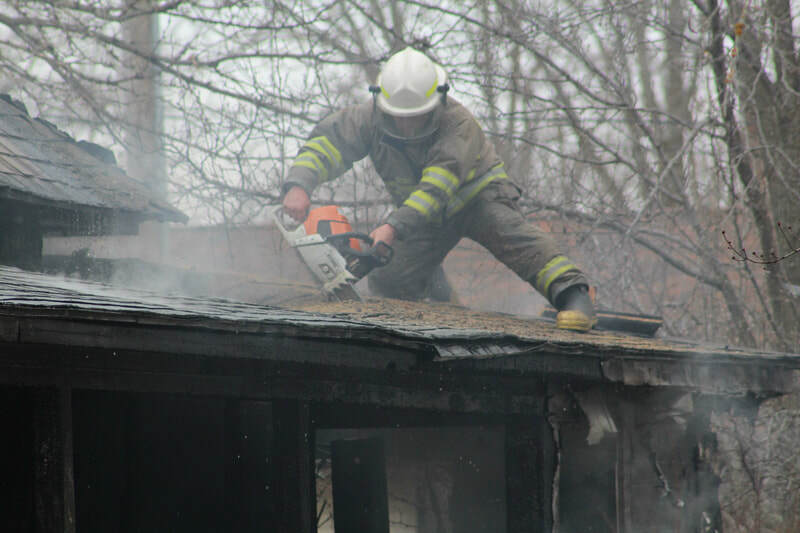 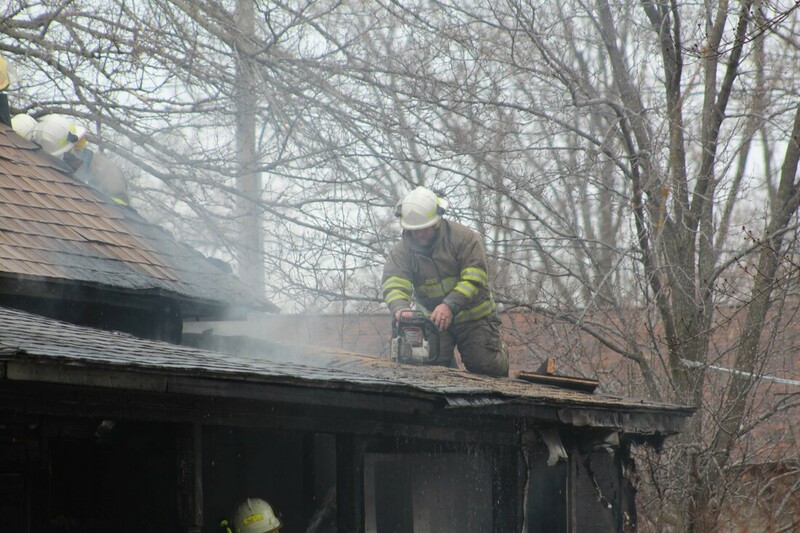 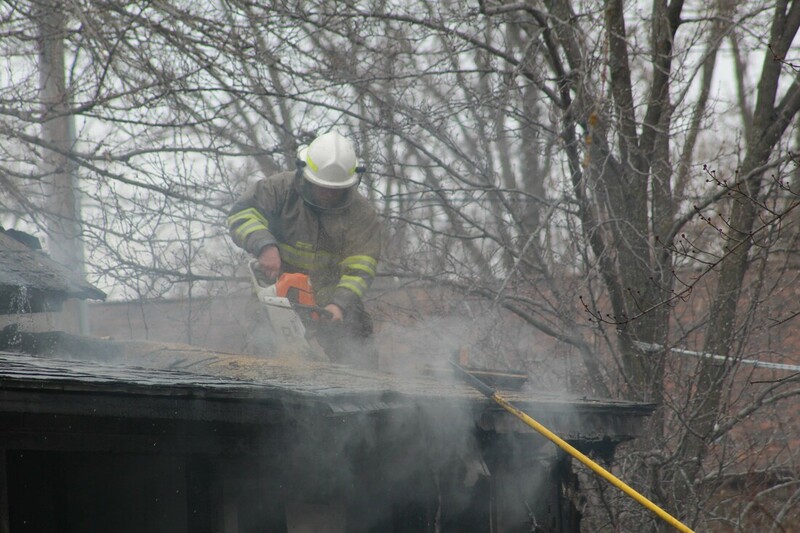 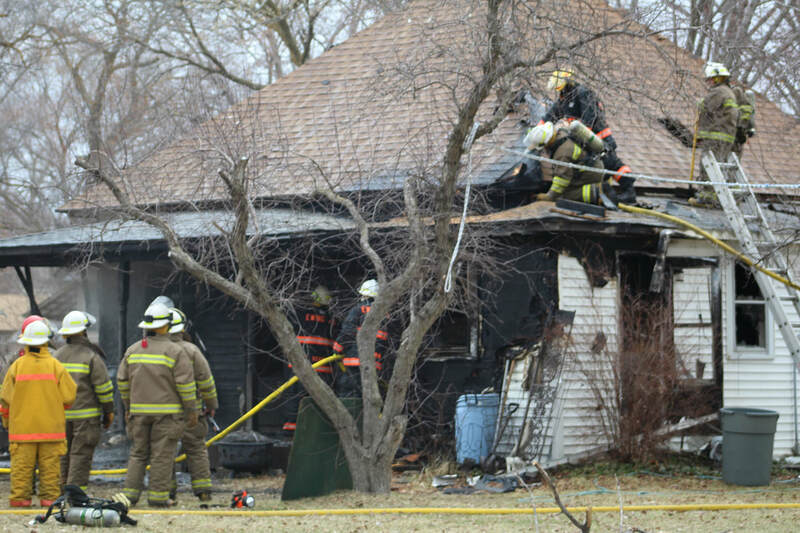 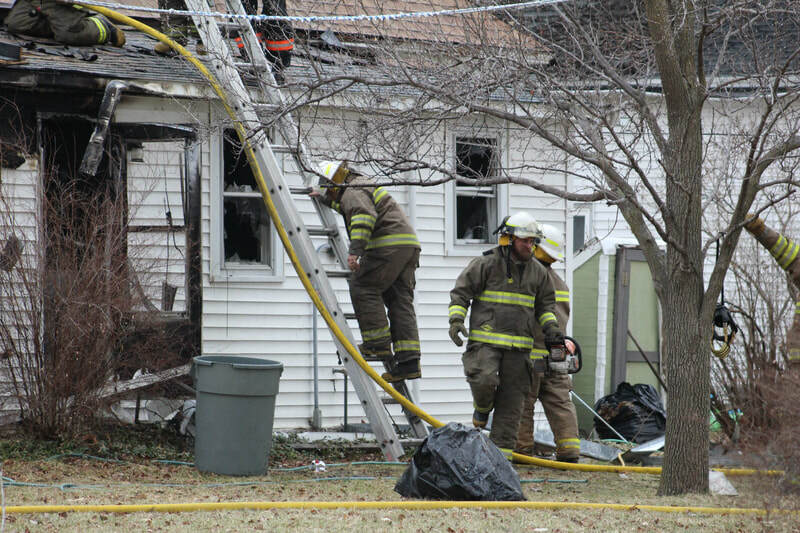 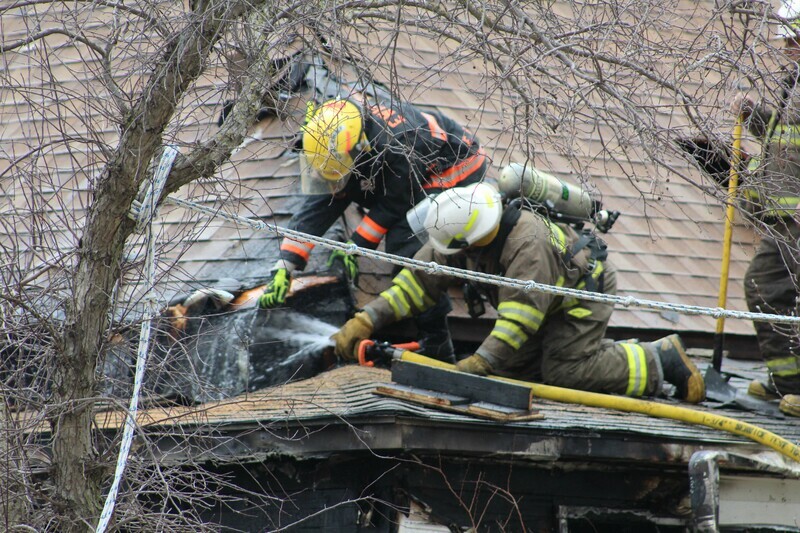 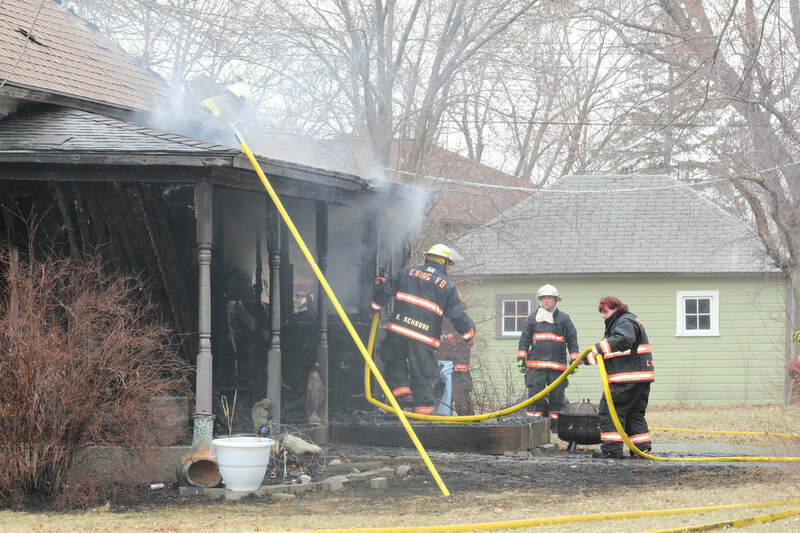 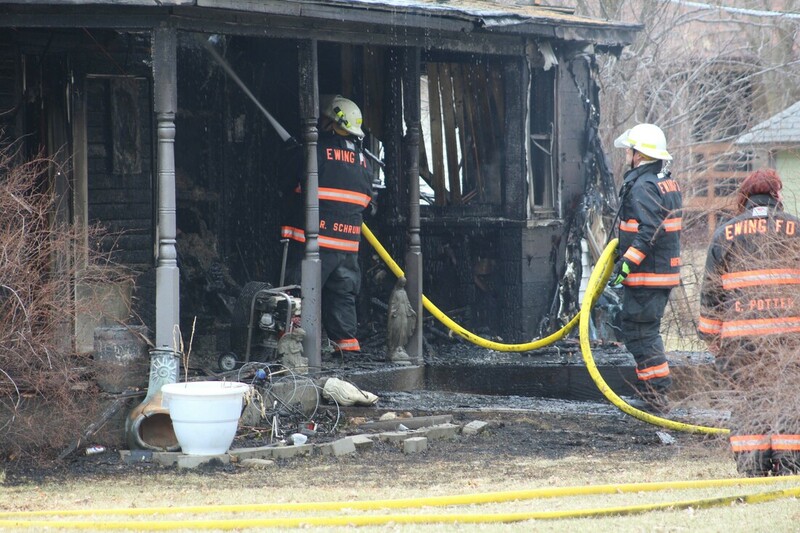 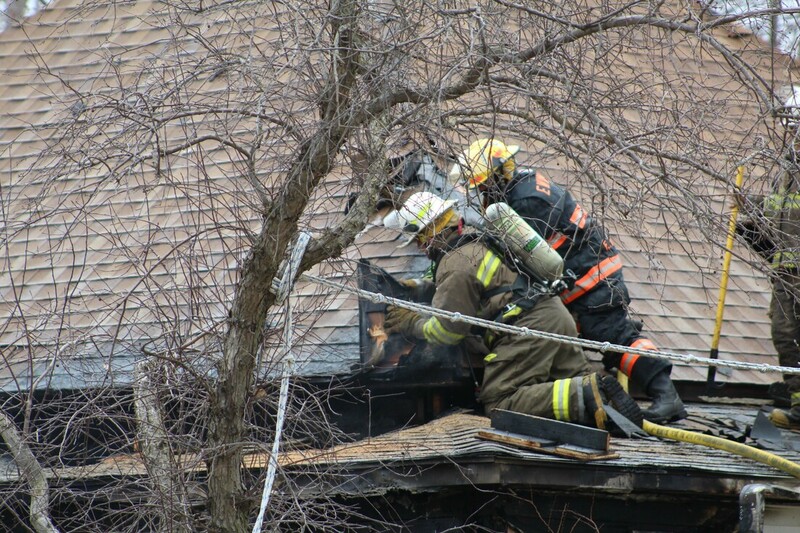 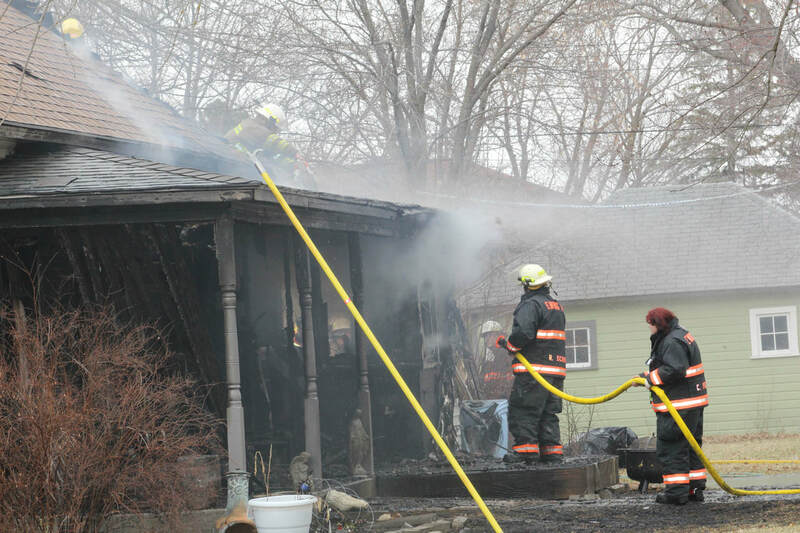 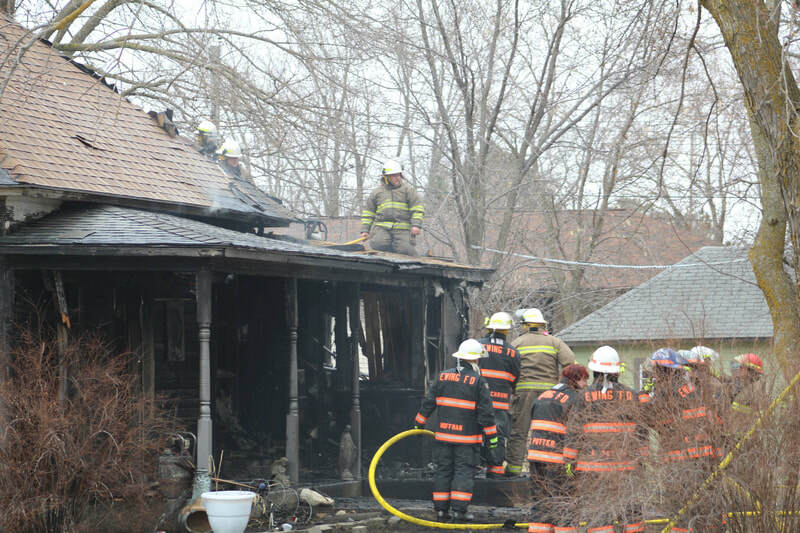 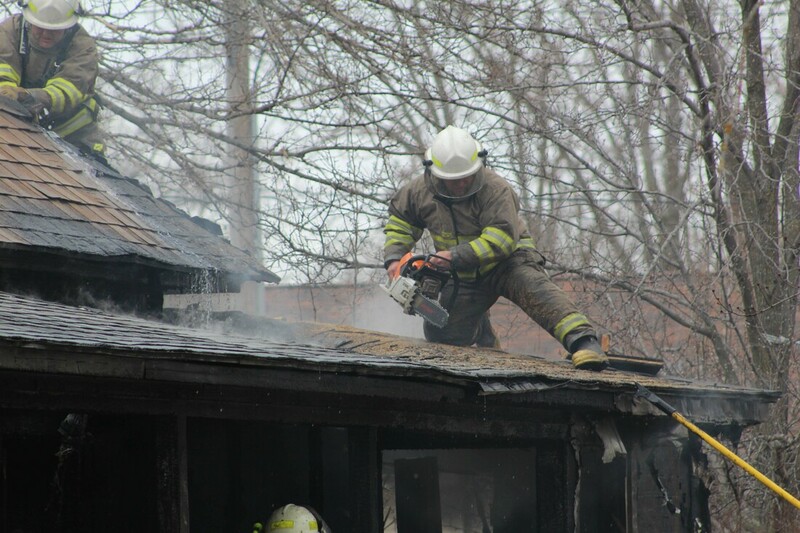 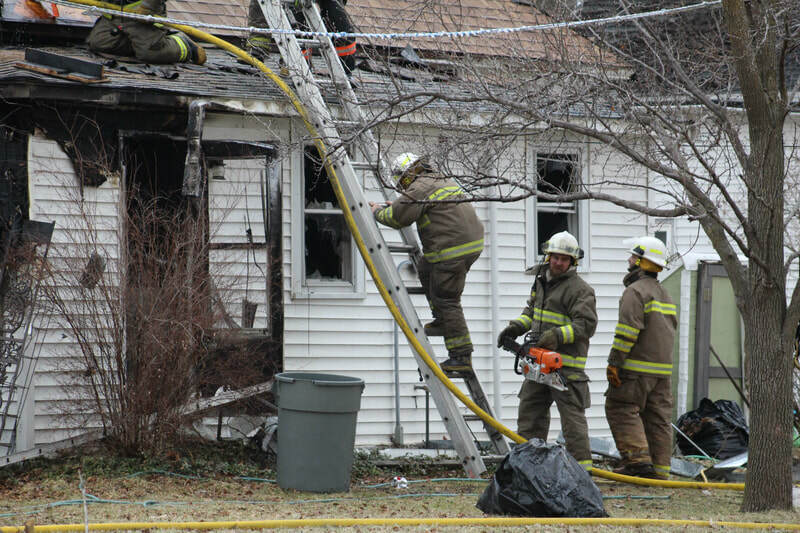 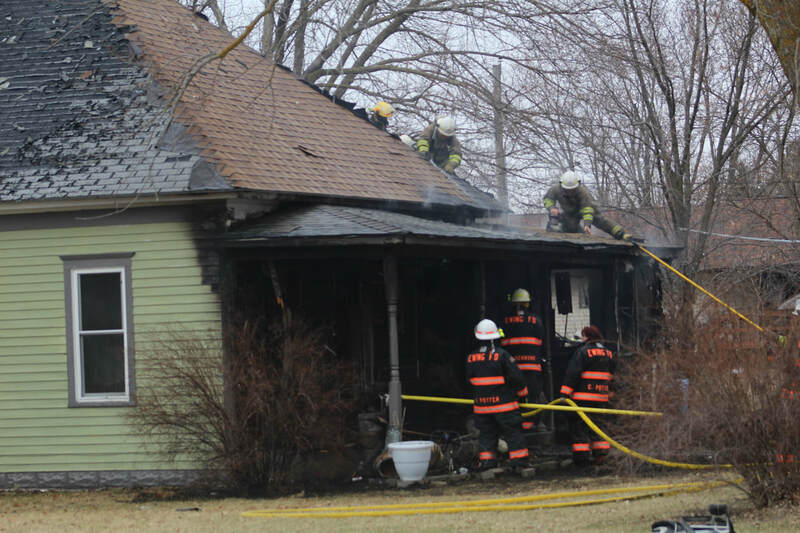 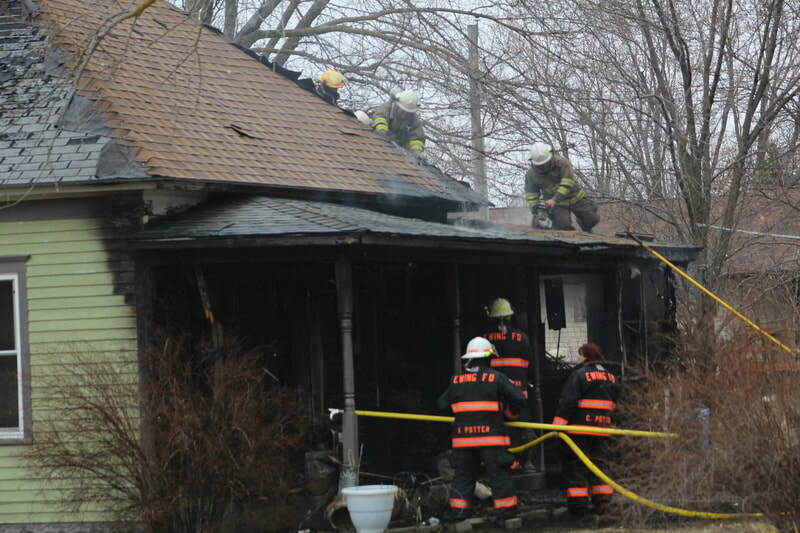 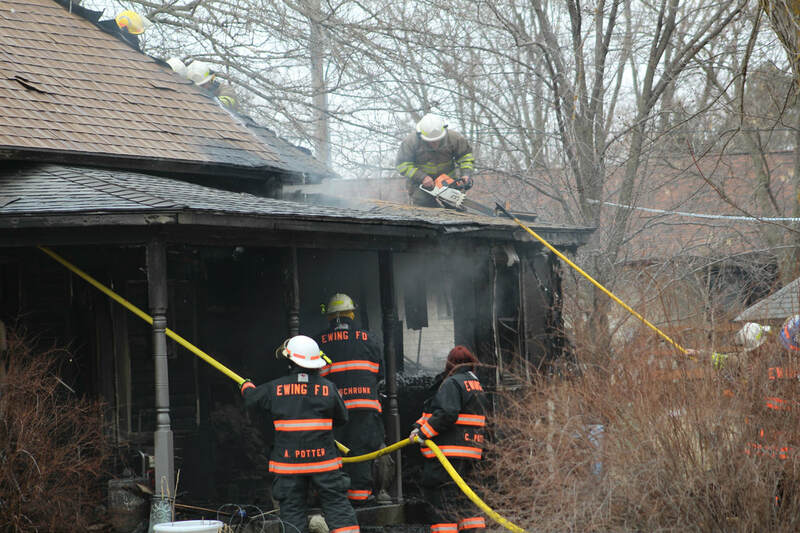 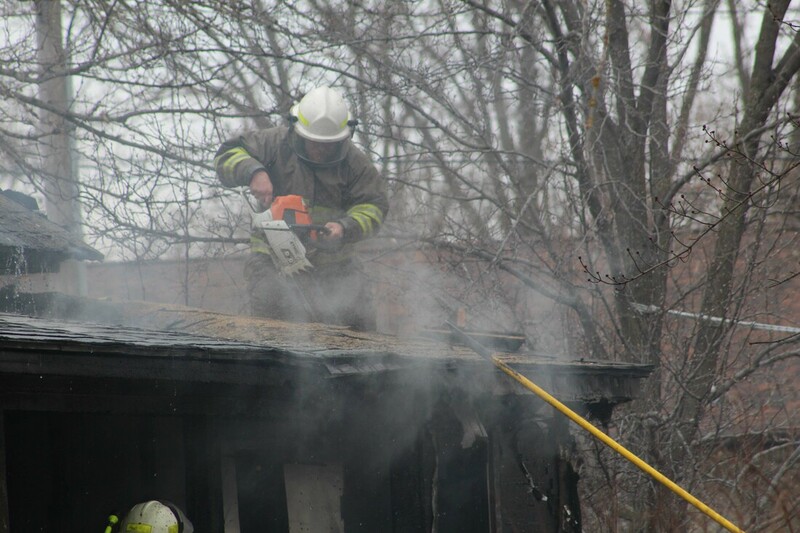 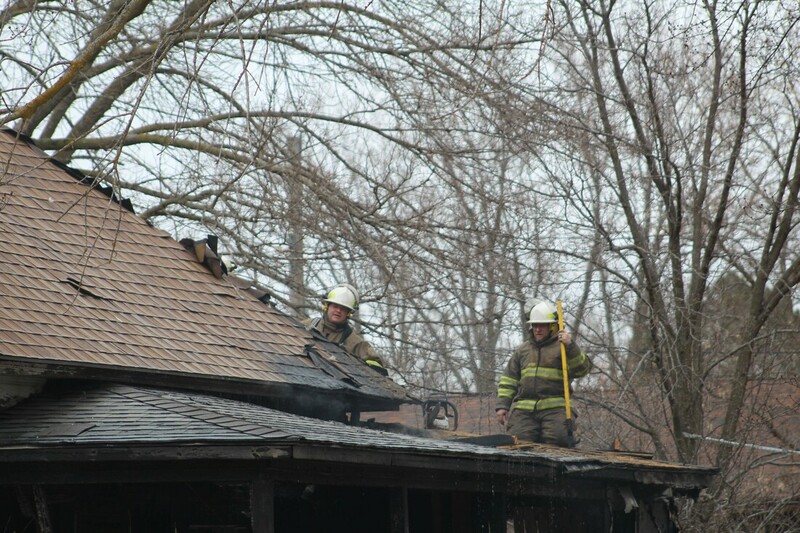 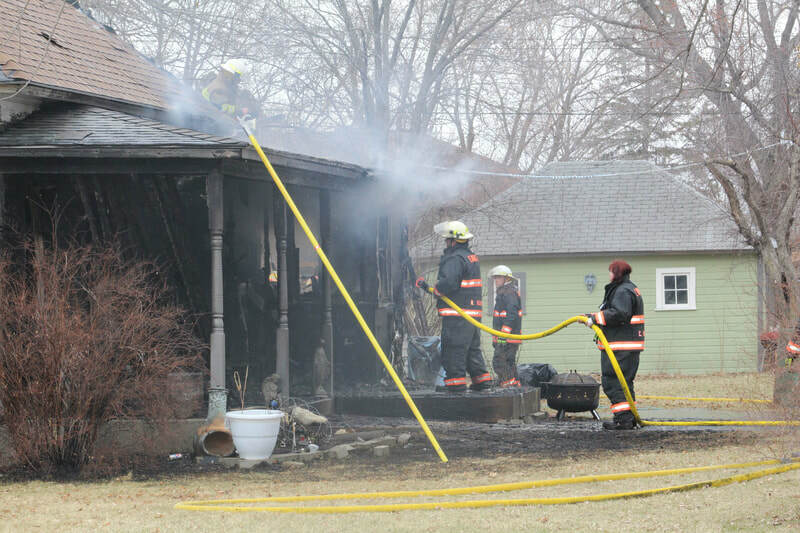 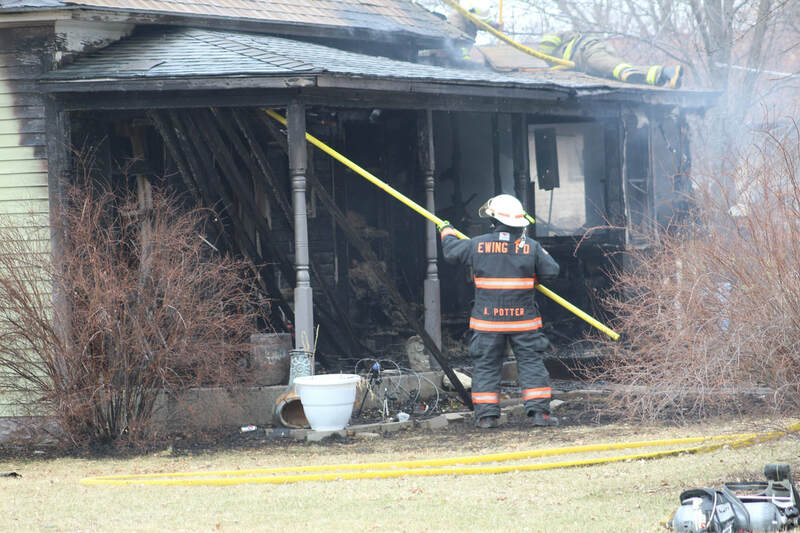 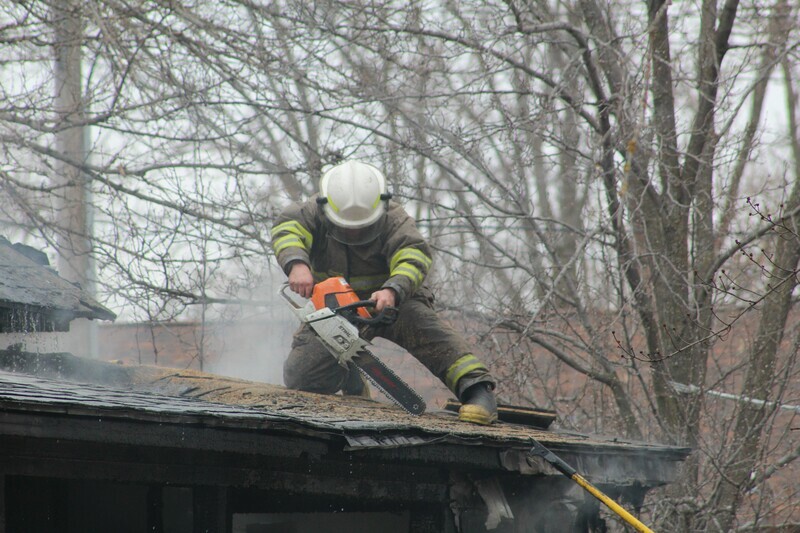 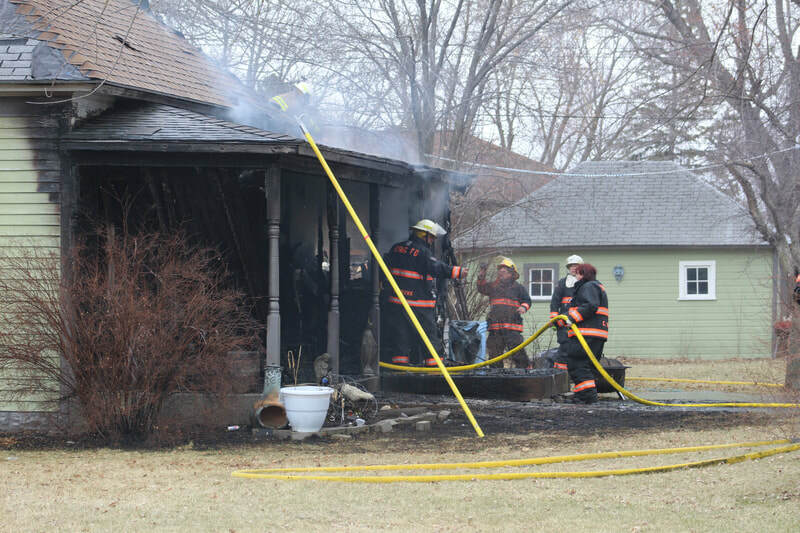 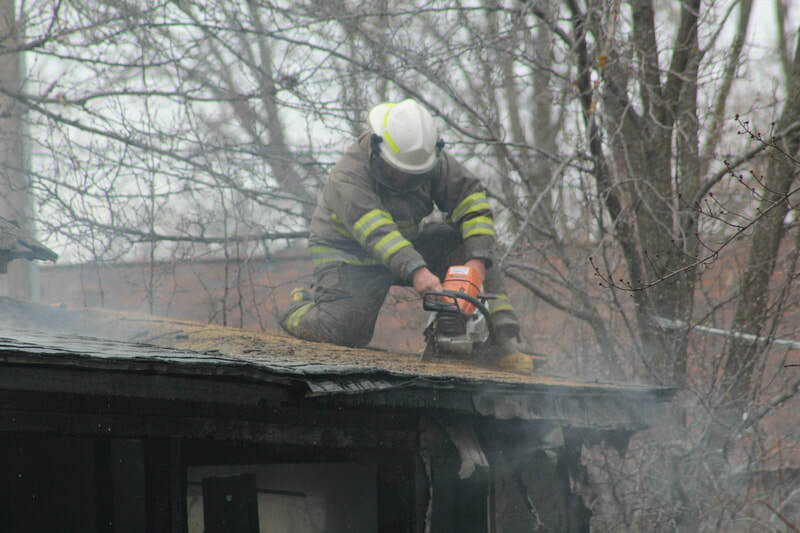 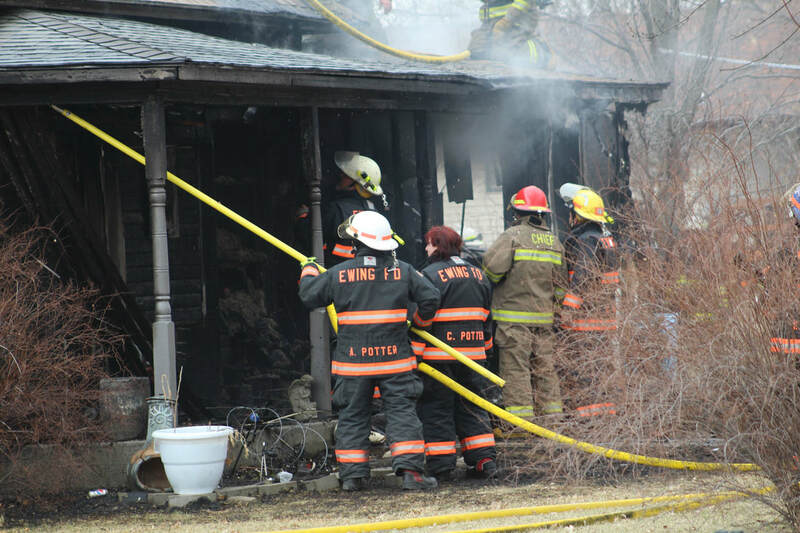 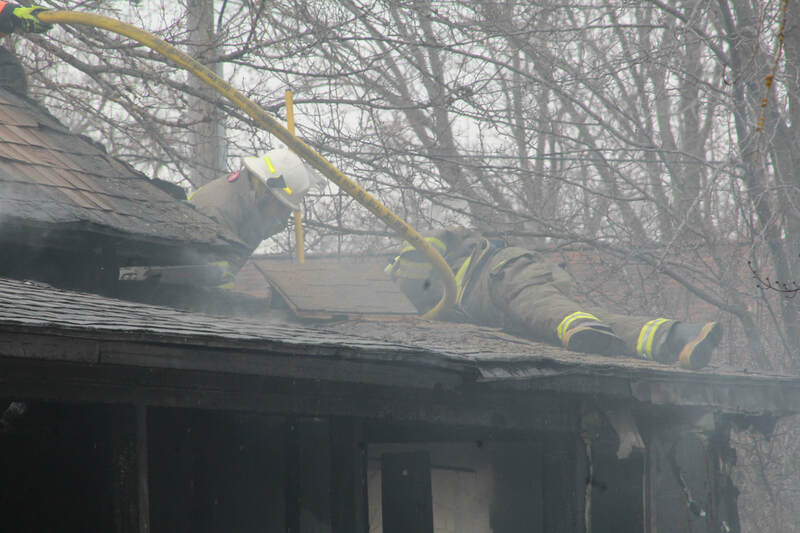 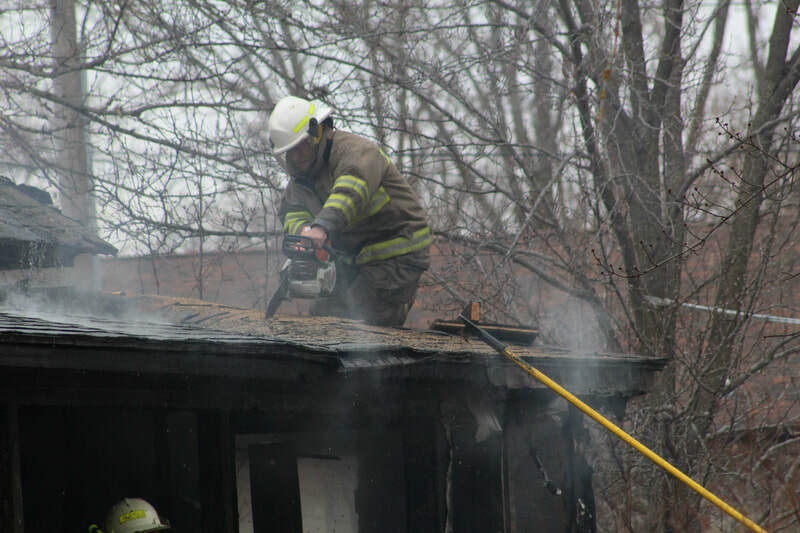 The Ewing Fire Department, along with mutual aid from Clearwater, responded to a structure fire at 404 E. Lincoln Street in Ewing, which is owned by Cecilia Marsh, according to the Holt County Assessor’s website. 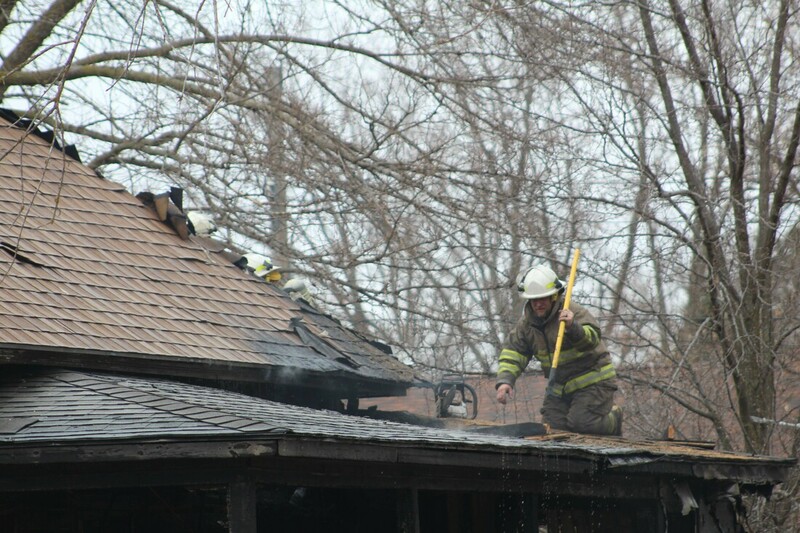 A cause of the fire has not been released at this time. 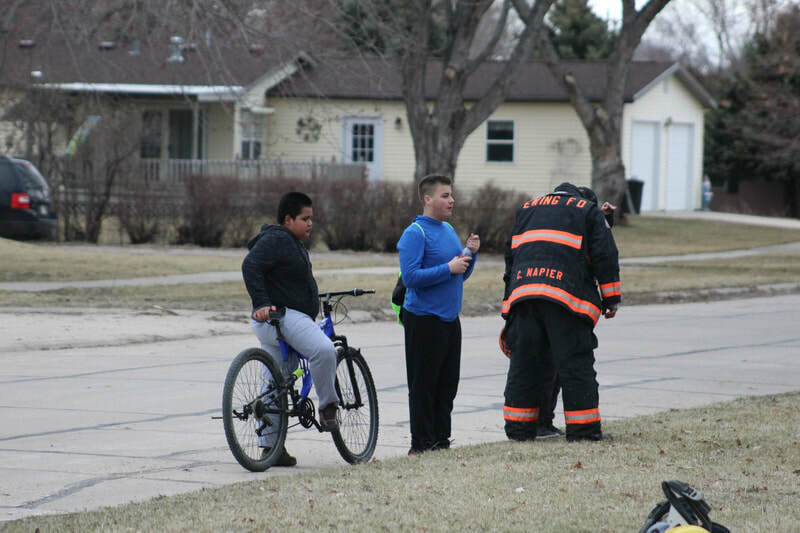 The Fire Marshal was also on scene. 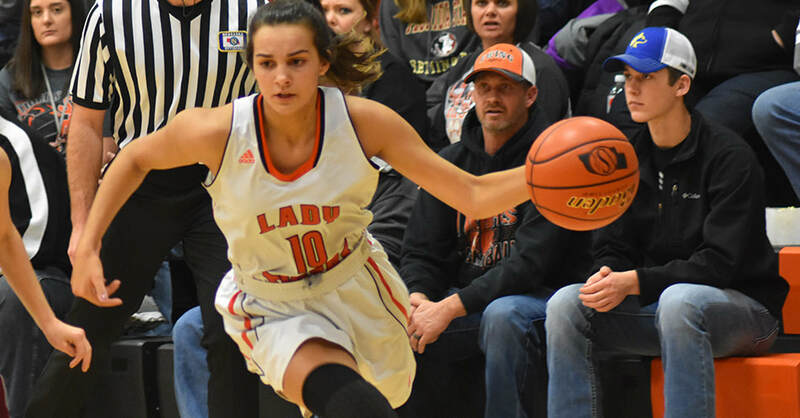 The Ewing Lady Tigers moved to 2-0 on the young season with an impressive 71-30 win over Spalding Academy on the road Friday evening. 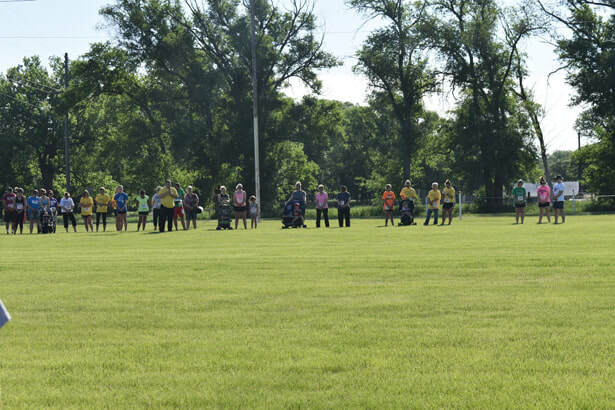 After a close first quarter, the Lady Tigers led by just two after one quarter of play. Spalding sharp-shooter Kelly Kleffner paced SA with three 3’s in the first quarter, but the Ewing defense tightened up and shut down Kleffner to zero baskets the rest of the way. 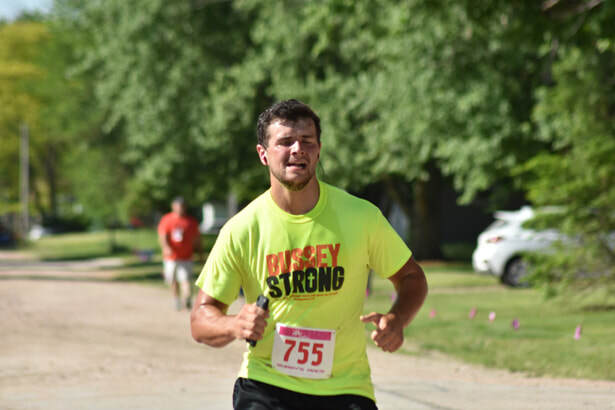 In the 2nd quarter, the Tigers opened their lead to 11 at the halftime break. 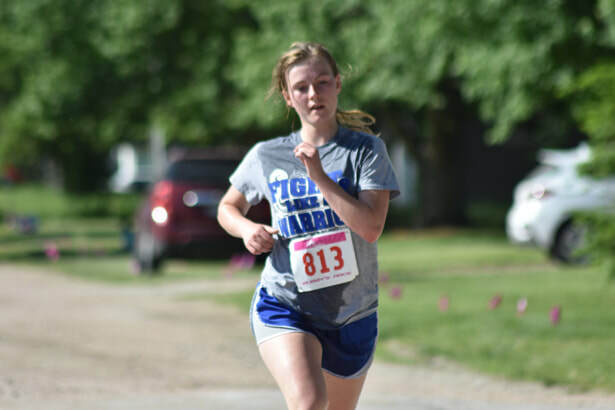 Ashley Koenig poured in 14 first-half points to pace the Tigers. 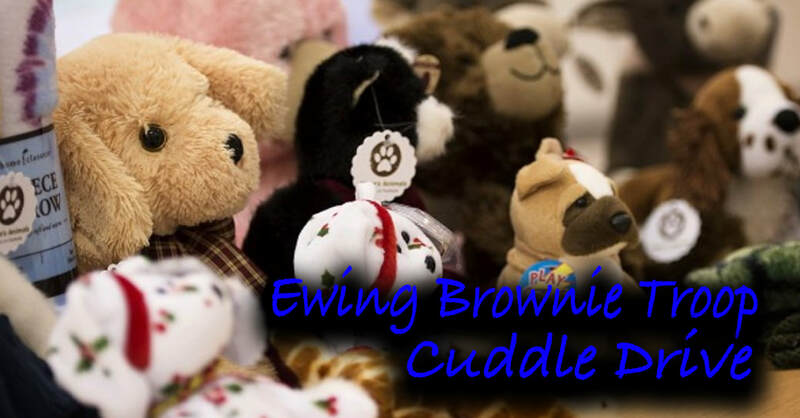 In the 3rd, Ewing widened their lead to 17 before cruising in the 4th quarter to the 41-point win. 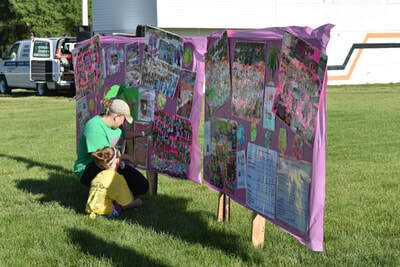 A three-school merger took a step closer Wednesday night as Orchard, Ewing and Clearwater boards voted to seek out more information about consolidation. 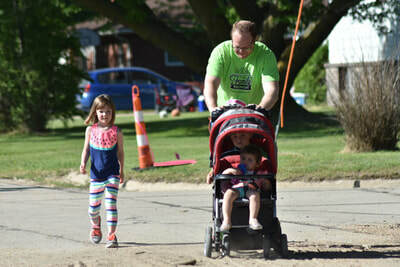 The boards voted to move forward with feasibility studies on consolidation, as well as authorizing administrators to contact attorneys to put together a request for proposals for a construction management company. 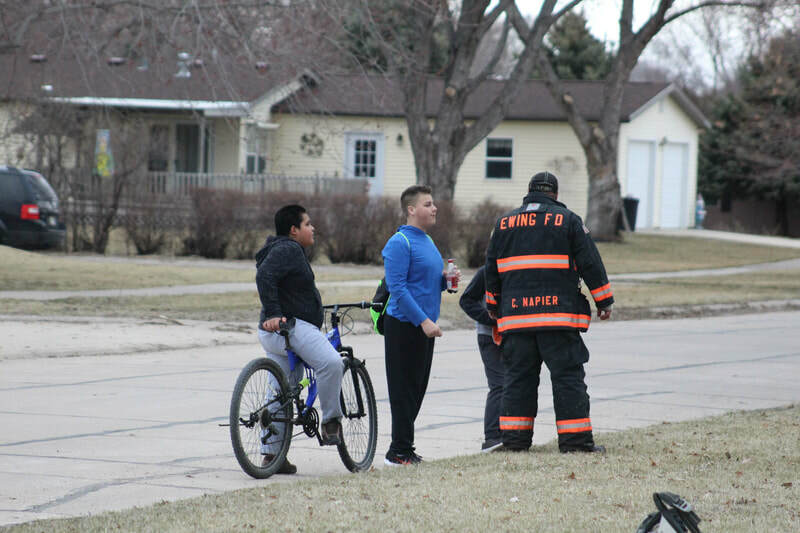 The story will be updated with full details of the meeting. 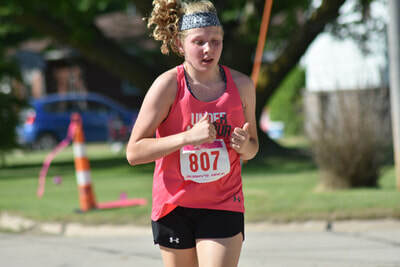 Clearwater and Ewing took a step toward a two-school merger last week and set a timeline for an early 2019 vote to consolidate. 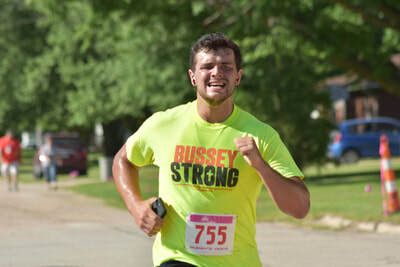 Both boards unanimously passed a motion to hire Craig Pease and Bob Uhing to begin the two-school feasibility study with anticipation of receiving the study by Nov. 30. 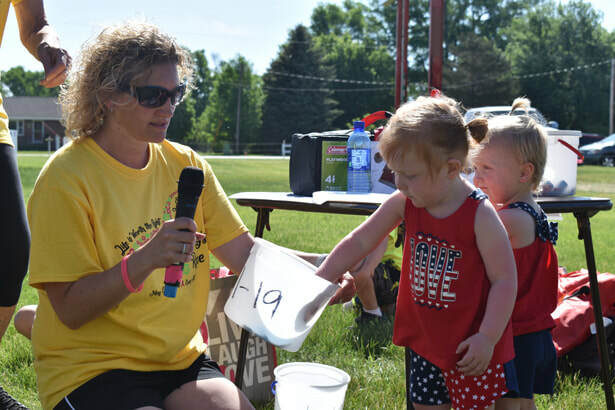 The timeline discussed included setting individual town hall meetings in December with a vote by the boards in January to set a special election for consolidation shortly after. 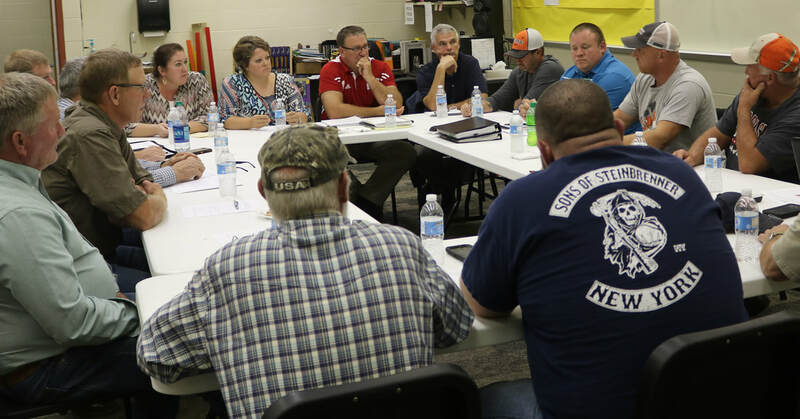 The Ewing and Clearwater boards of education met for about 80 minutes last Wednesday in the Ewing band room to discuss future school options. 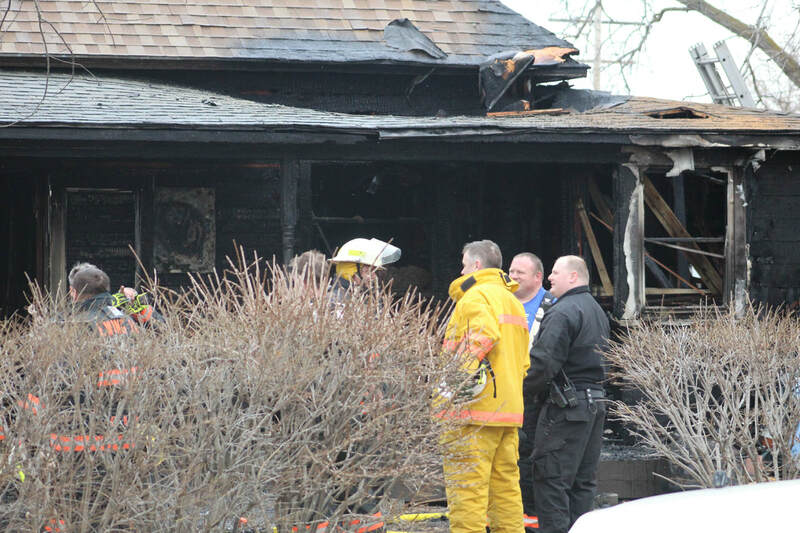 The meeting was two weeks after Ewing requested a similar meeting with Orchard. 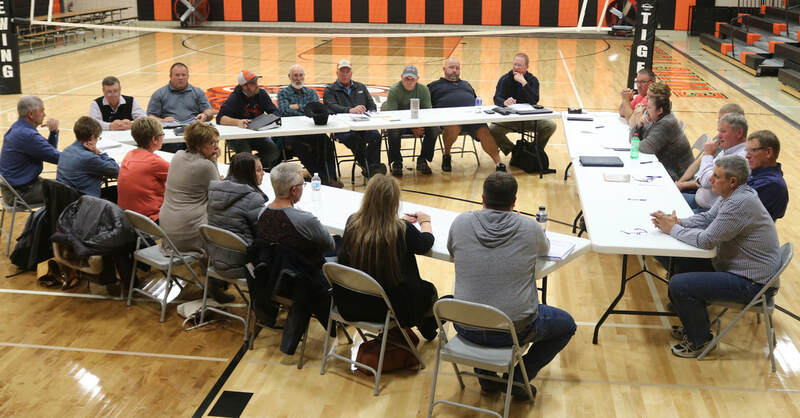 Orchard's Advisory Board met about three hours prior to the meeting between Clearwater and Ewing and instructed Superintendent Dale Martin to tell both boards that Orchard was interested in joining the feasibility study. 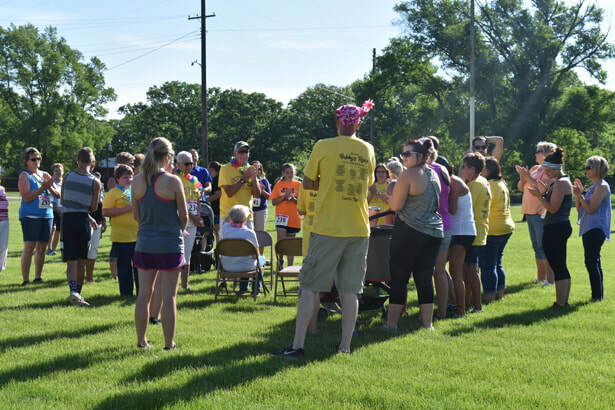 For more details on that meeting, click here. 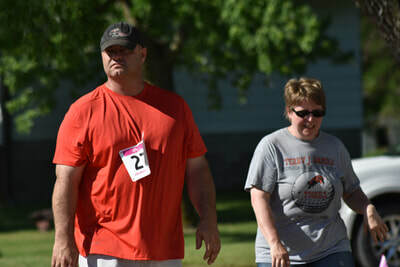 After much discussion, Ewing Superintendent Ted Hillman told the boards he supported moving forward with the two schools. 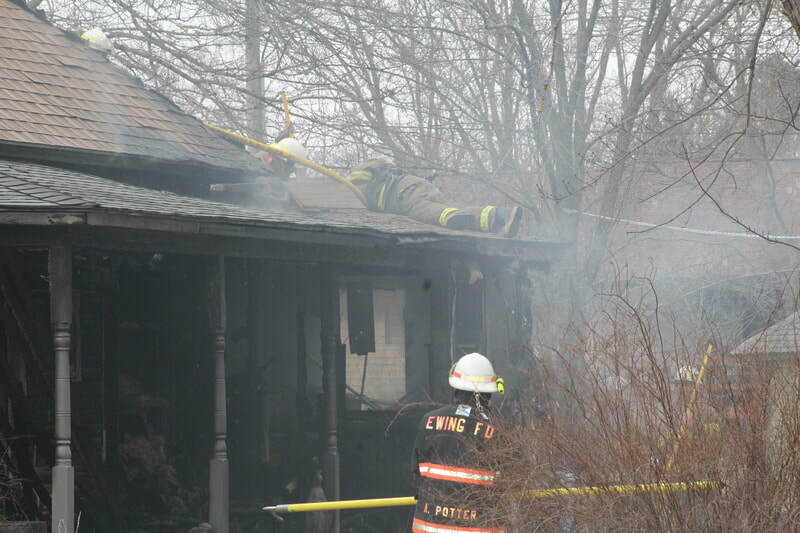 Immediately following that statement, Ewing President Mark Ramold asked for a motion to move forward with a study. 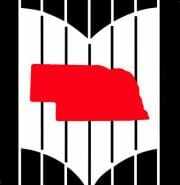 Pete Funk made the motion with Ed Nordby seconding. Ewing passed the motion unanimously. 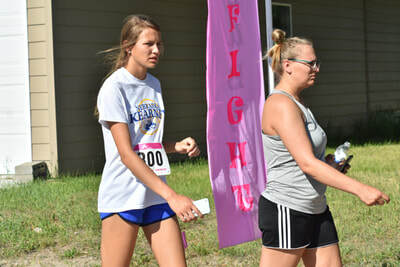 Clearwater President Amy Thiele then asked for the same motion. 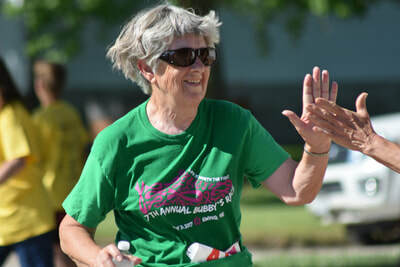 Regina Krebs made the motion with Tom Thiele as the second. It was also passed unanimously. 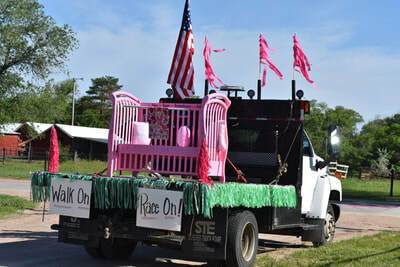 Early into the meeting between Ewing and Clearwater, Funk said the meeting was called to help Clearwater make an educated decision in March on whether they wanted to reunify with Orchard and Verdigre. 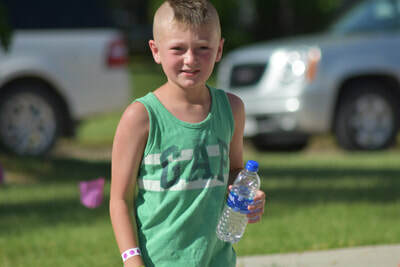 Amy Thiele said while there had been talk of a three-school merger, it was suggested during that meeting with Orchard that Ewing wanted to pursue a two-school merger with Clearwater. 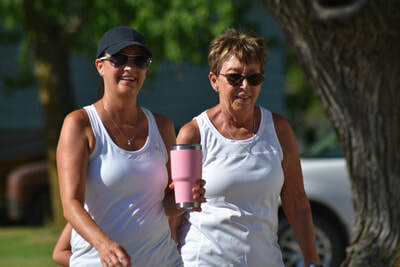 Sanne said Clearwater has made no secret of its interest in consolidation, especially with a reunification deadline looming. 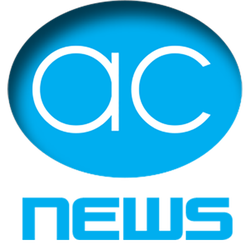 Ewing has repeatedly stated it’s not interested in joining the unification. Although the action taken included a study between only Ewing and Clearwater, much of the public participation in the meeting involved having Orchard in the mix. 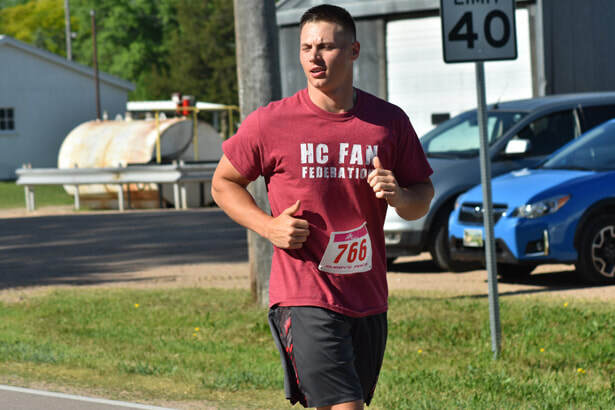 Dustin Wright spoke multiple times about wanting to include Orchard and told board members he was hosting a public forum on Sunday, Oct. 14, at 8 p.m. in the Ewing gym between patrons of the three districts. He said if people were unable to attend, they could send letters to be read. Wright said a survey would be available at the conclusion of the meeting to give boards an indication of how those attending felt about a three-school merger. While Sunday’s meeting is open to the public, it has not been publicly advertised as an official board meeting, meaning no more than two Advisory board members or three Original from each school can participate, per state statute § 84-1409. “We’re hoping a couple board members from each place shows up. 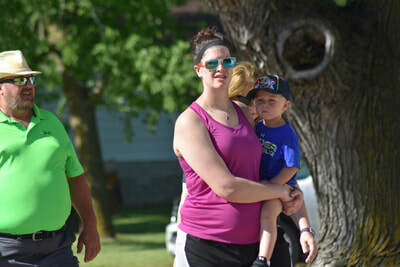 People kind of address their concerns, worries, what they’re thinking moving forward if anybody’s got the balls to stand up and say something,” Wright said. 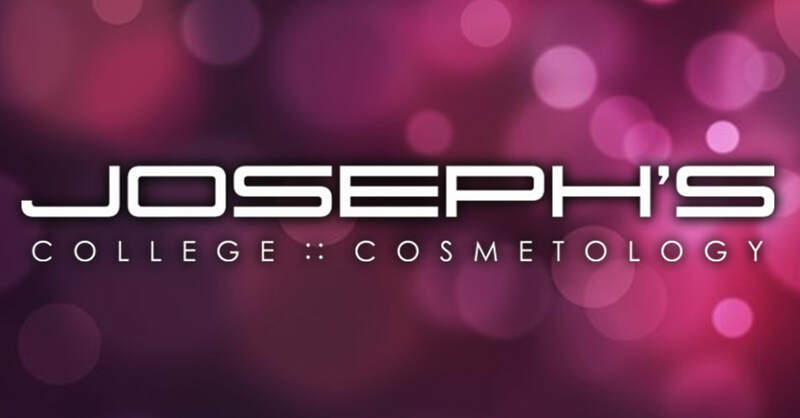 Dawn Marie Heller, a 2001 graduate of Ewing Public Schools, graduated from Joseph’s College of Cosmetology on July 13, 2018. 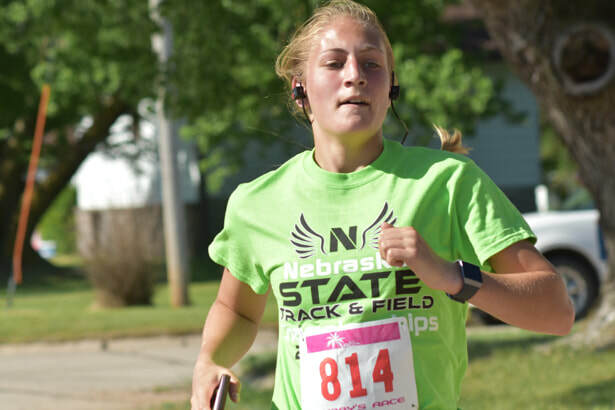 Graduates of the college are required to complete 2,100 clock hours and 2,100 credits to graduate and become licensed in the state of Nebraska. 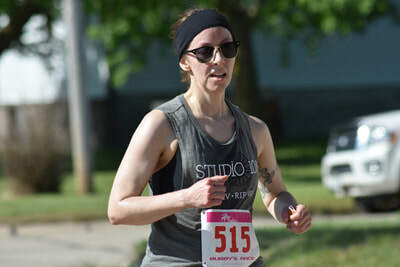 While there, Heller became Shellac and Trissola certified. 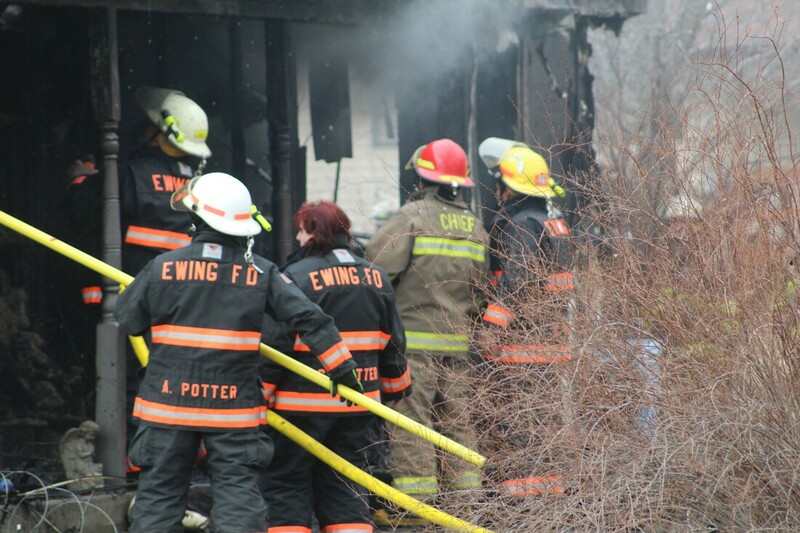 Heller’s parents are Ruth and Monte Williams of Ewing. Her children are Kaelyn, Brayden and Ryker Heller. Summerland wrapped up their Jr. 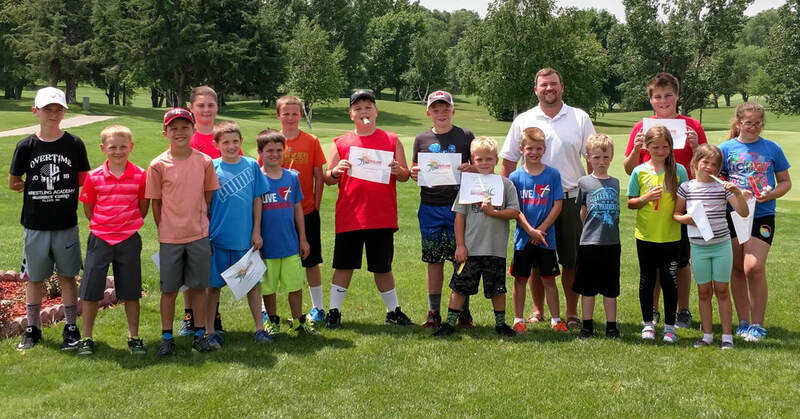 Golf Camp on Friday after a week of golfing by area youth. 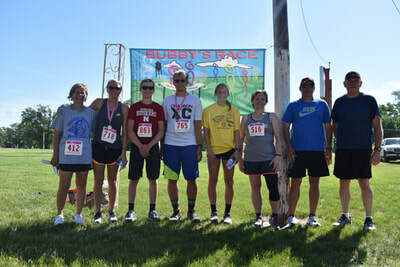 ​Congratulations to all the participants! 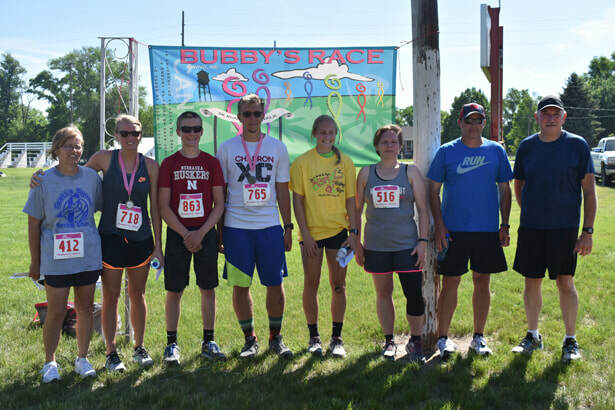 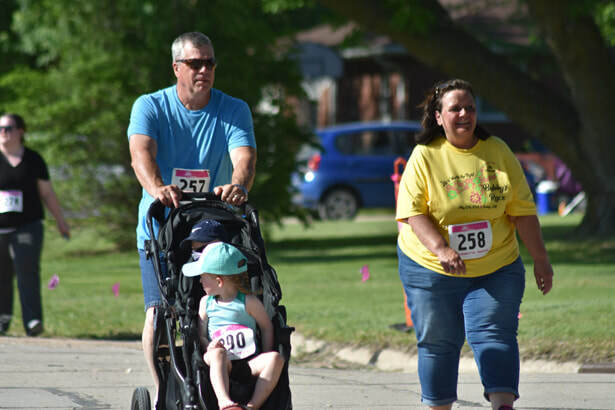 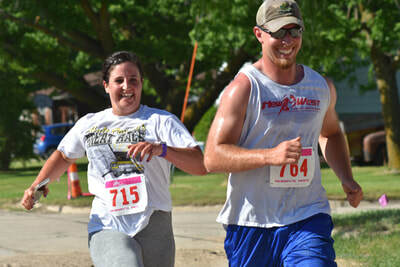 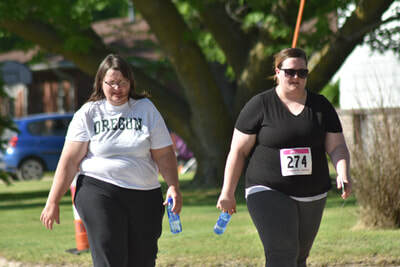 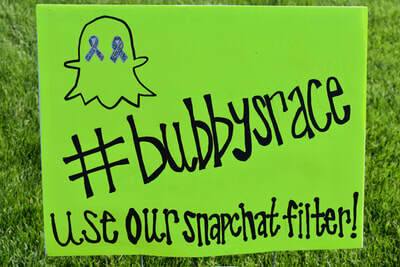 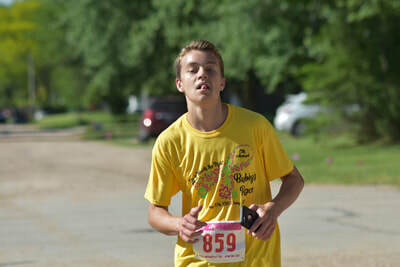 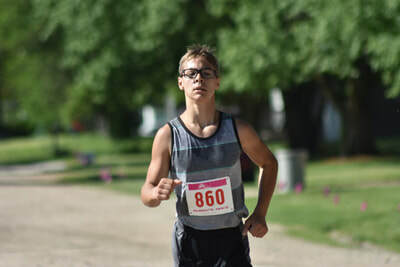 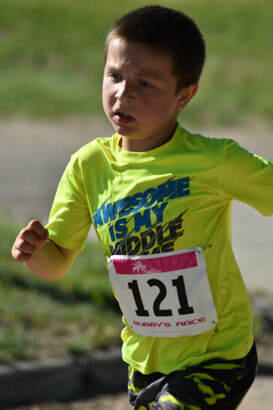 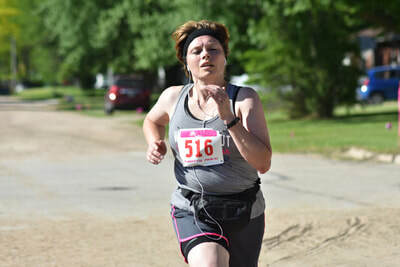 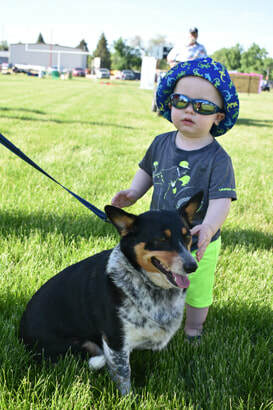 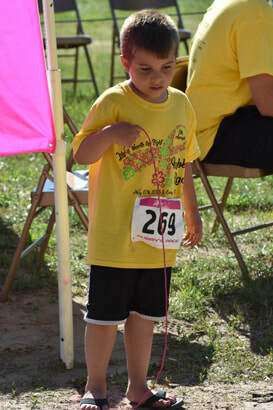 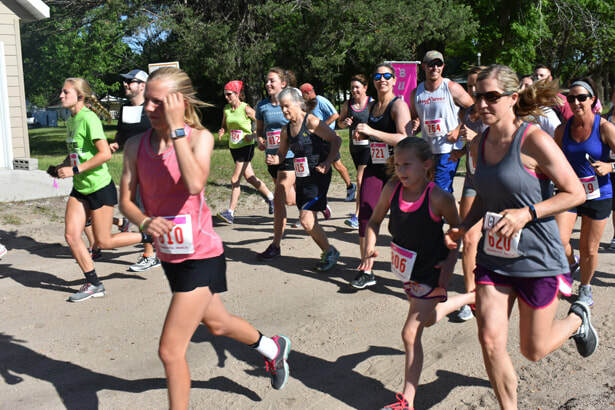 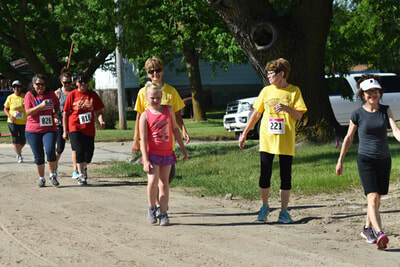 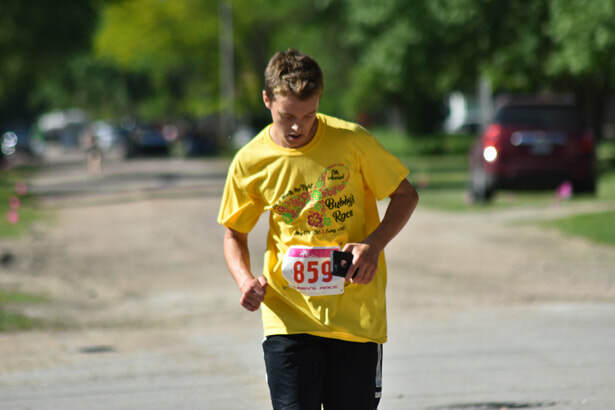 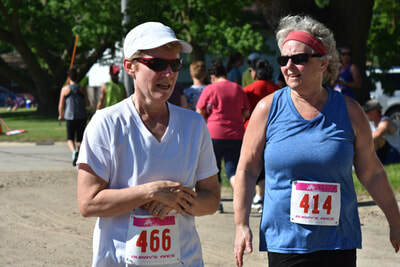 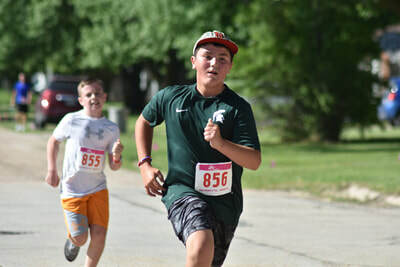 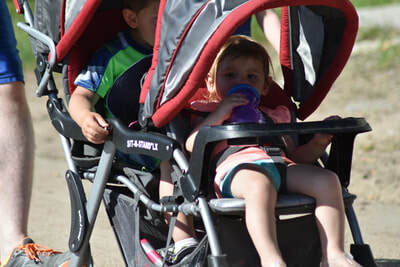 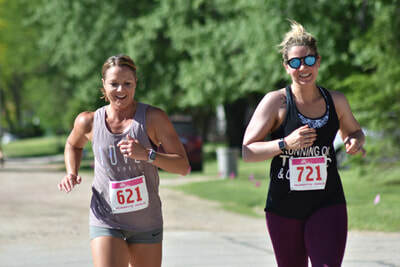 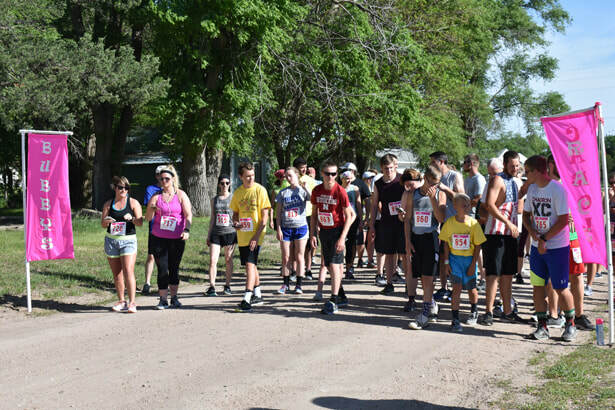 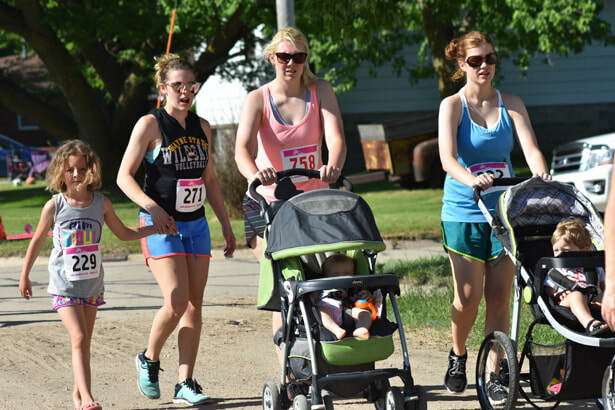 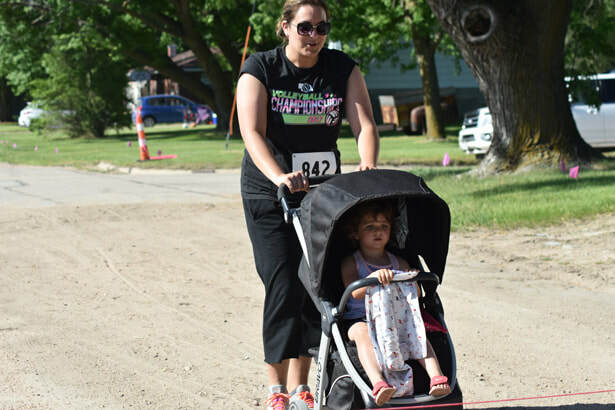 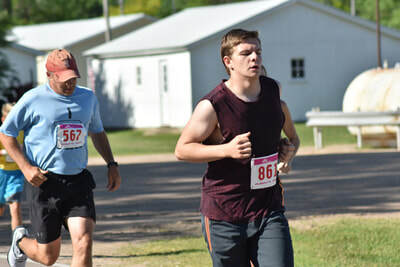 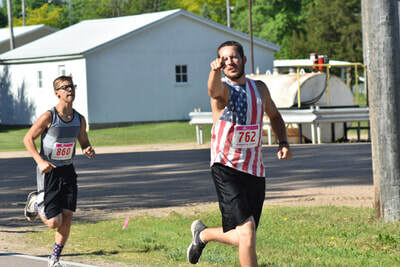 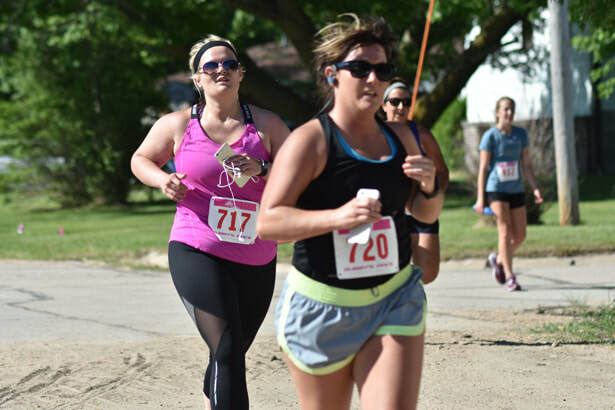 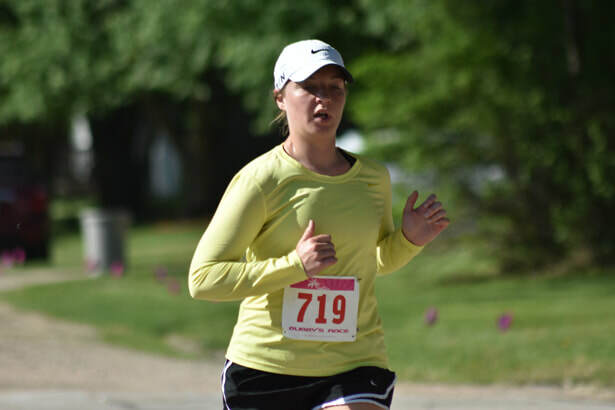 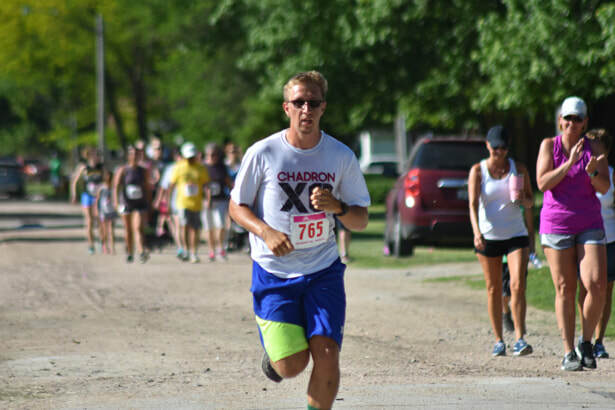 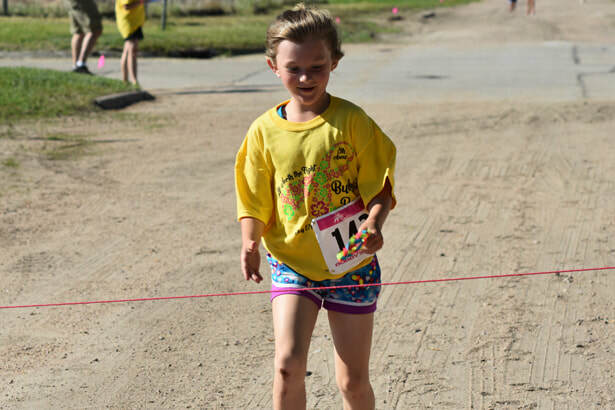 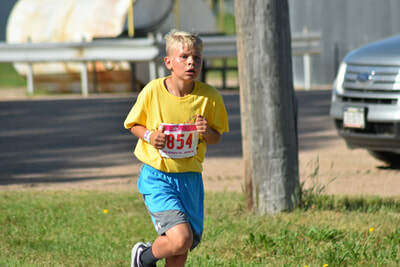 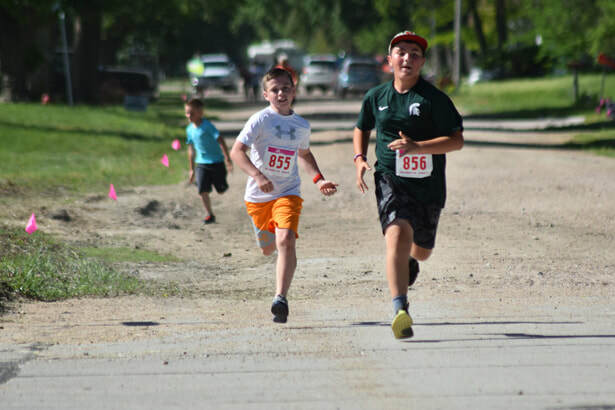 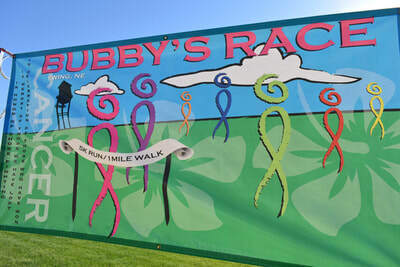 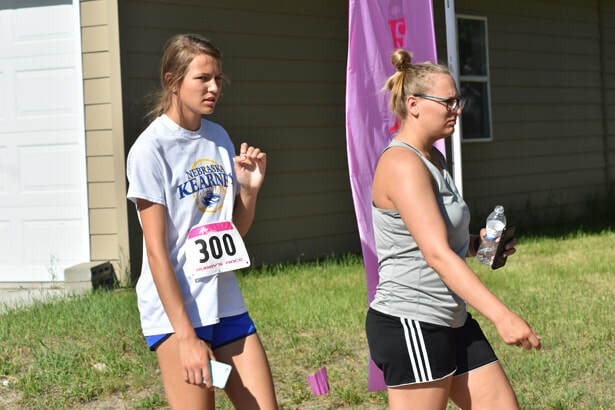 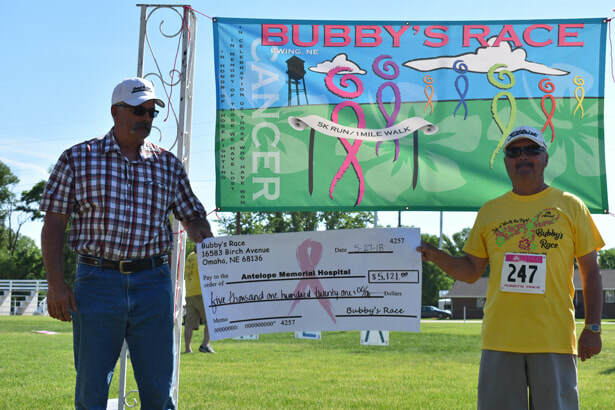 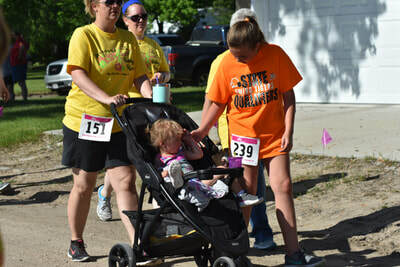 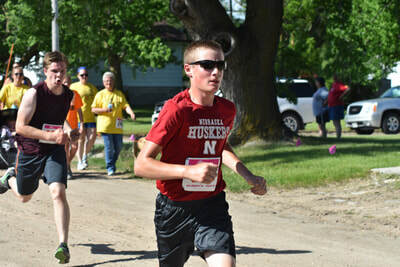 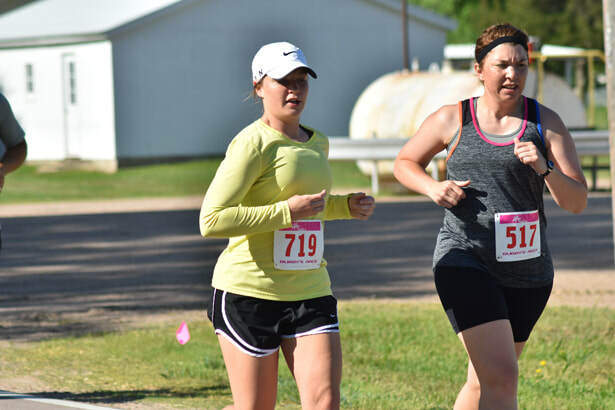 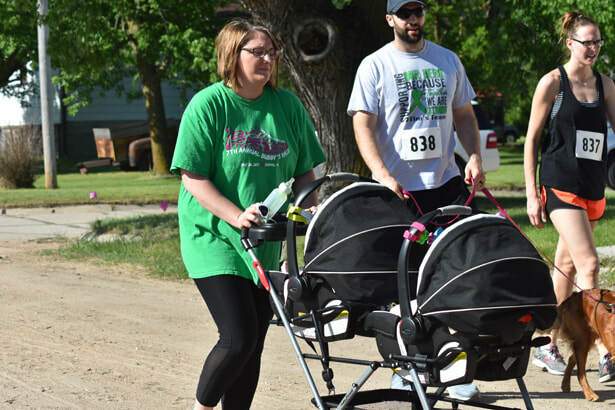 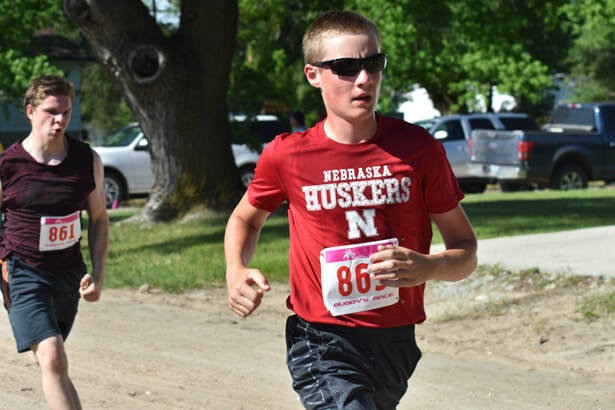 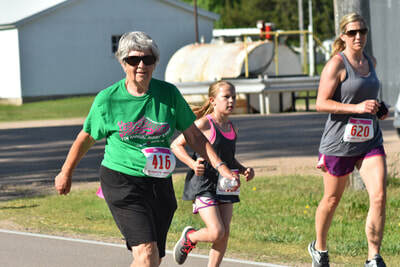 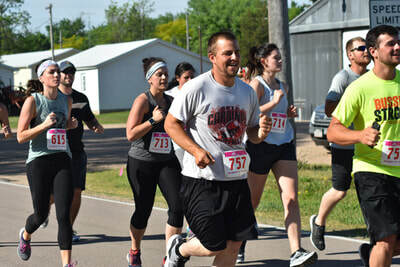 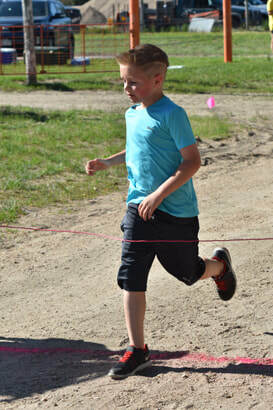 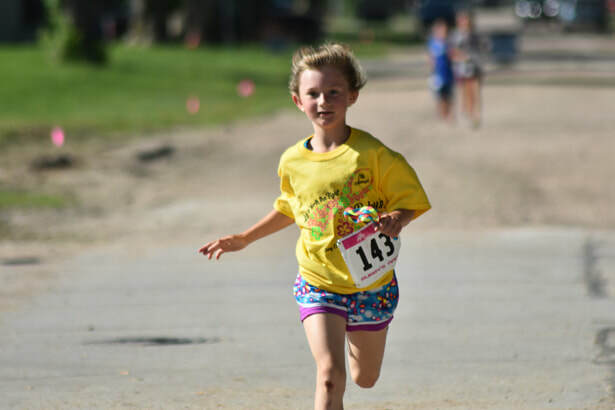 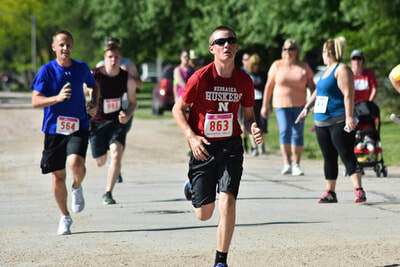 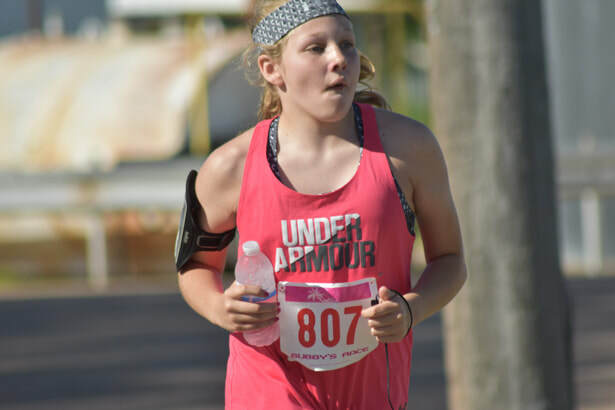 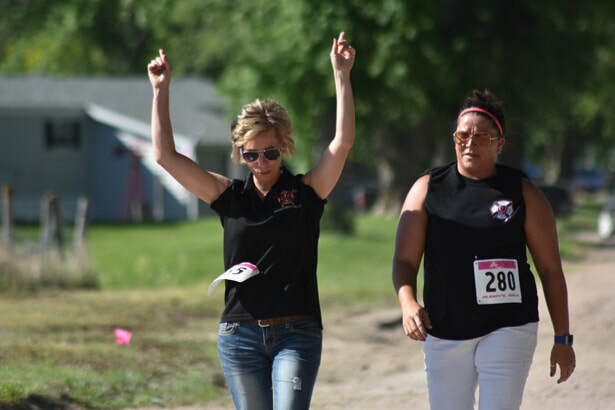 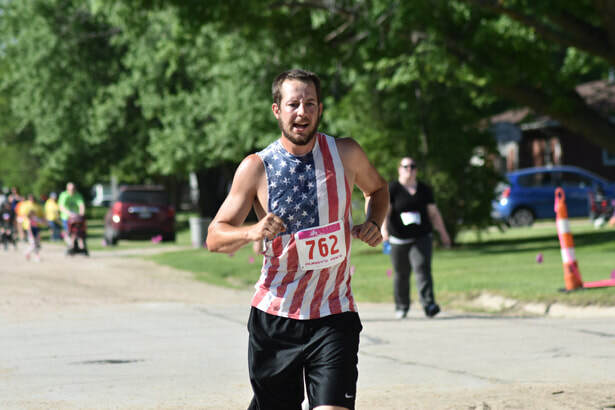 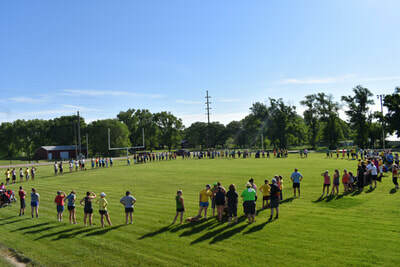 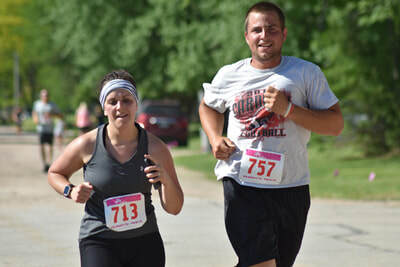 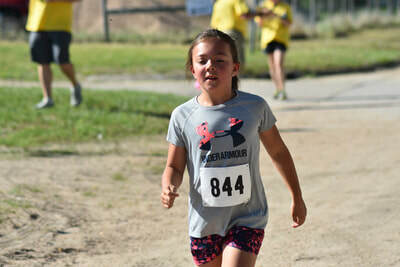 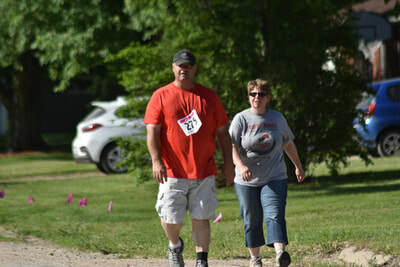 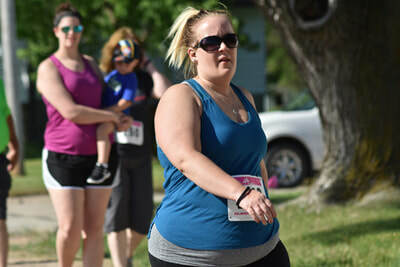 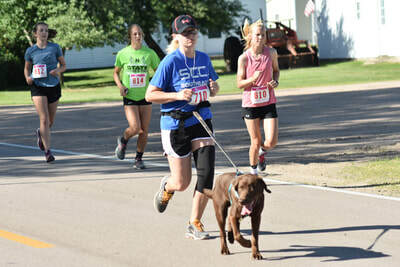 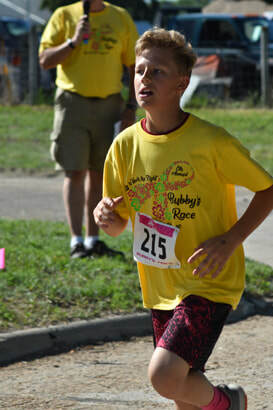 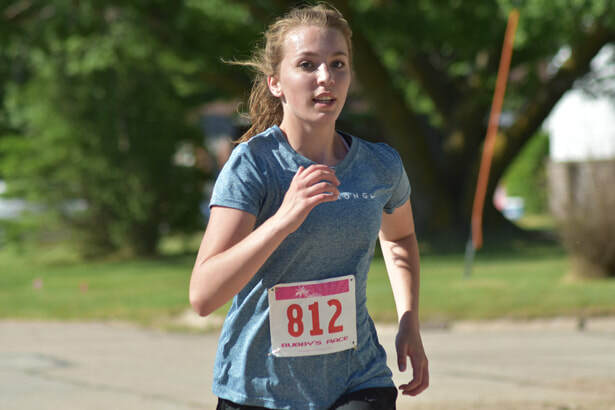 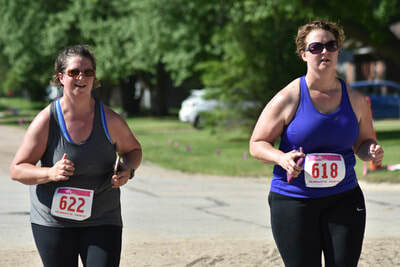 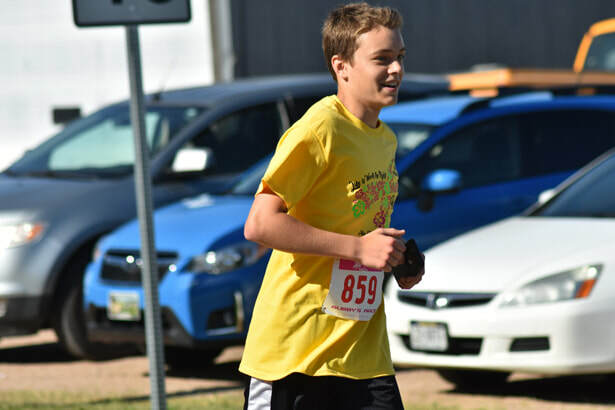 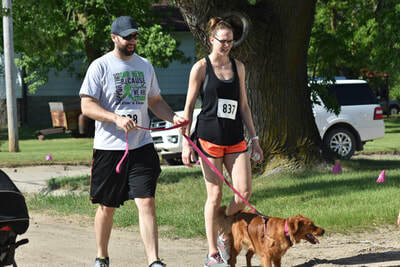 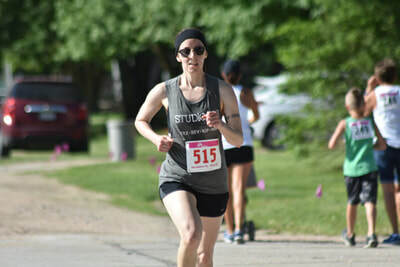 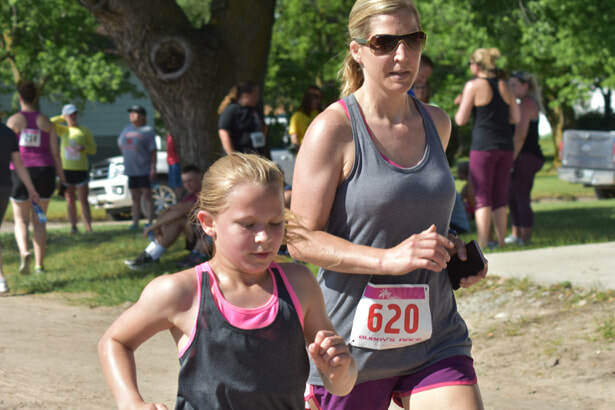 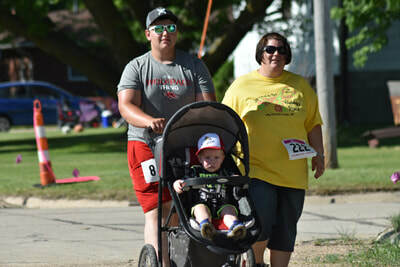 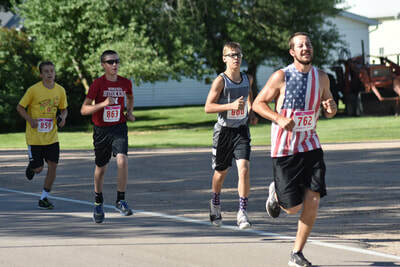 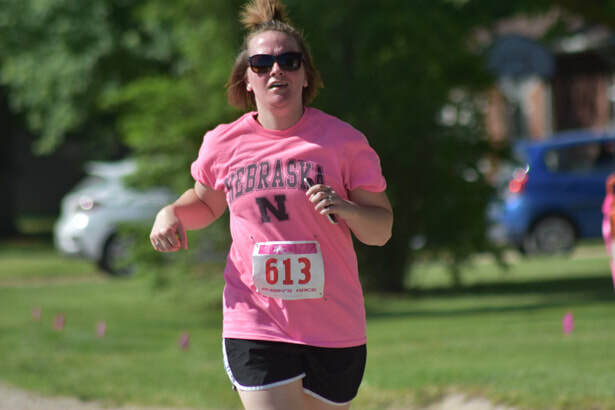 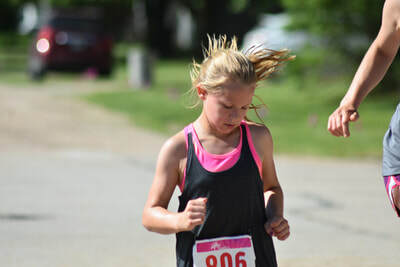 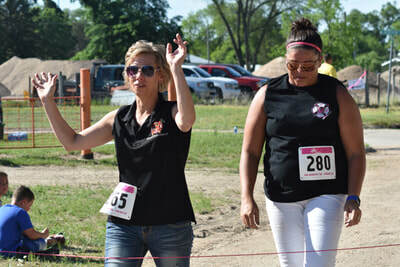 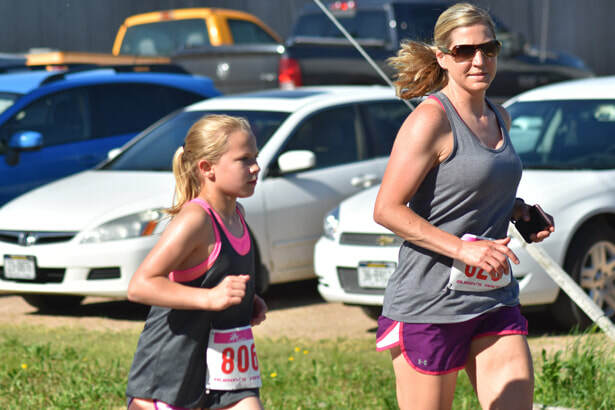 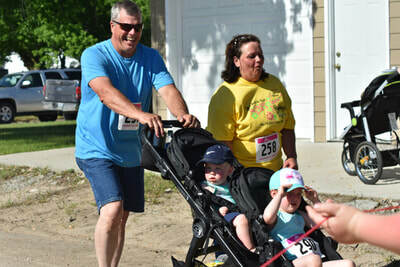 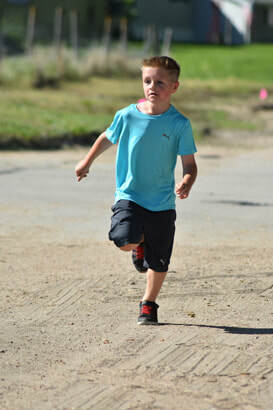 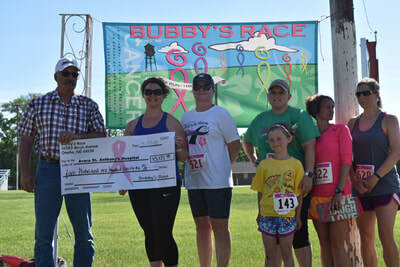 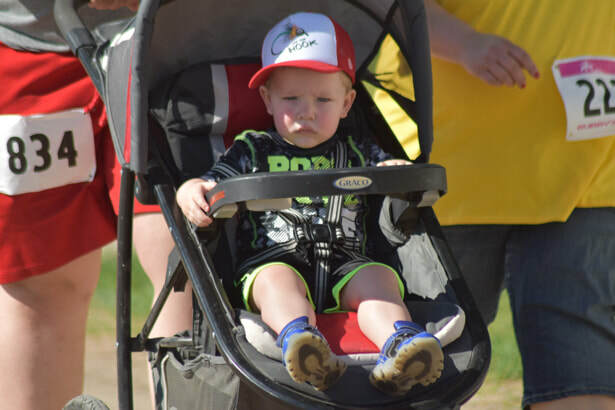 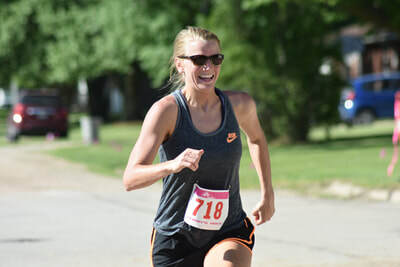 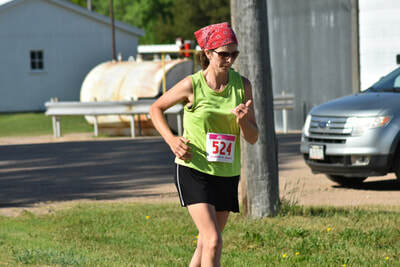 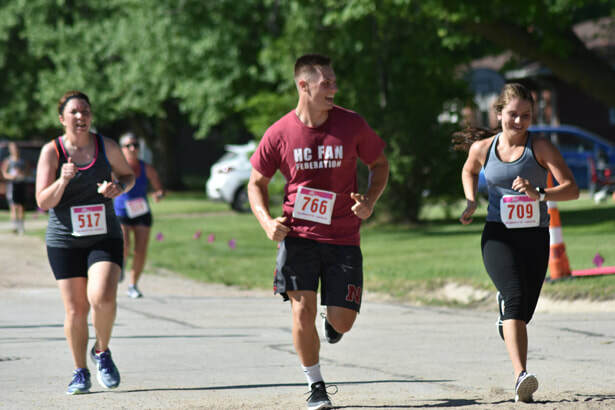 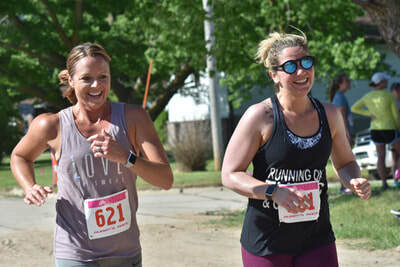 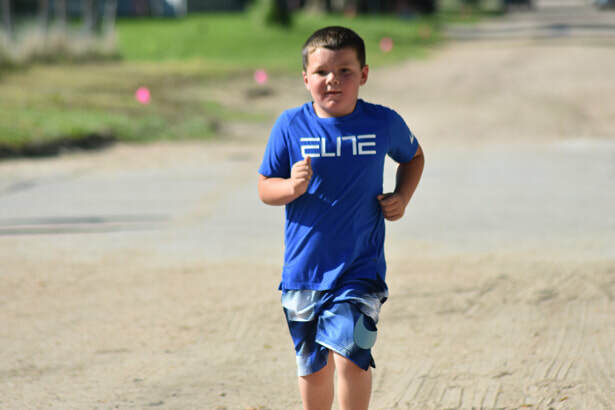 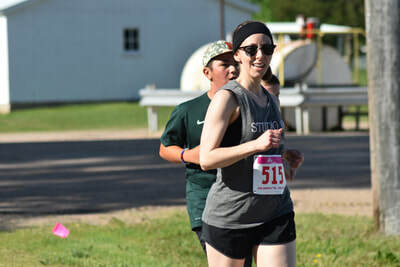 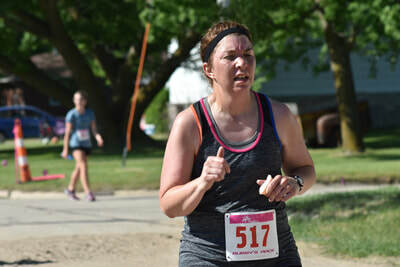 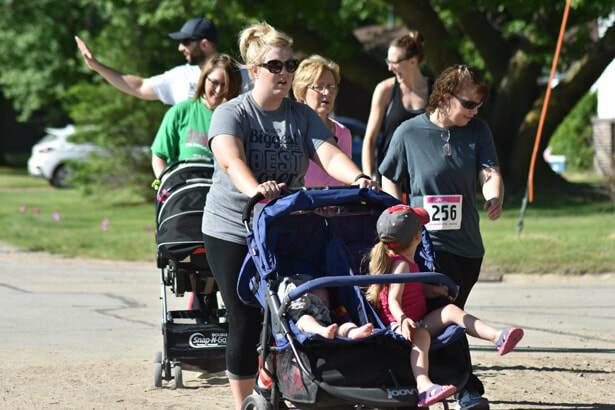 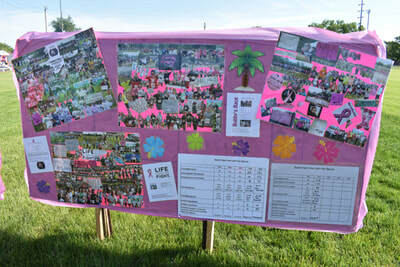 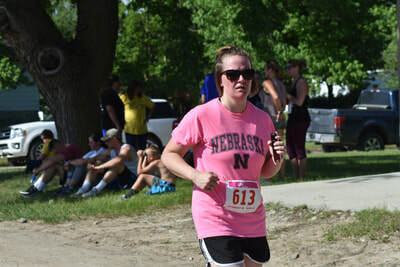 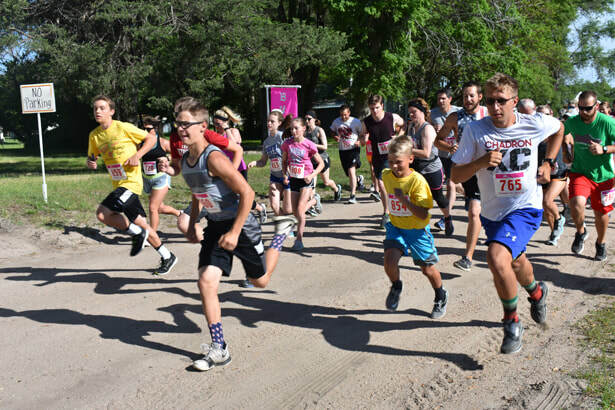 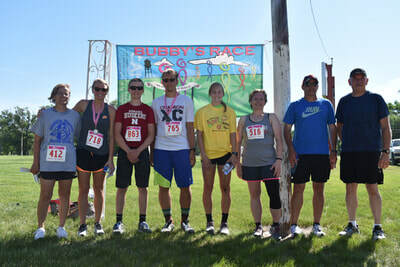 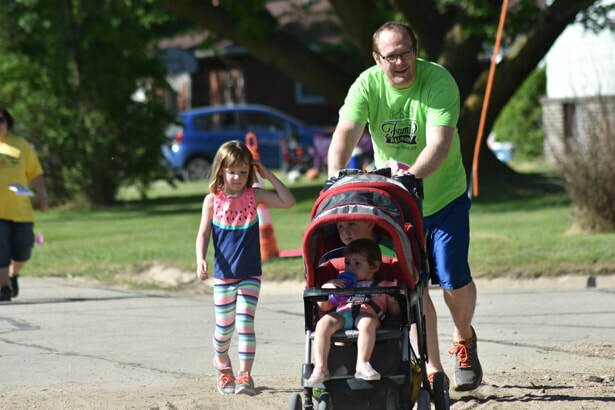 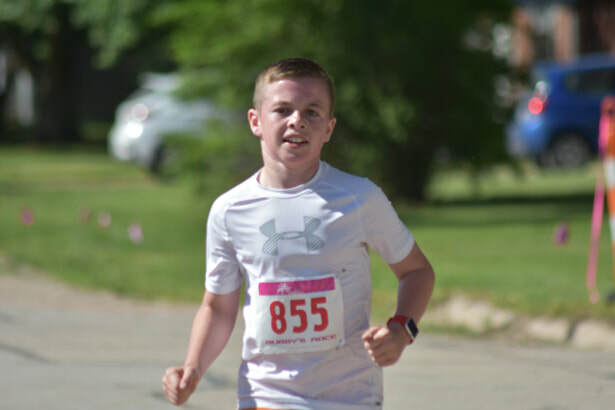 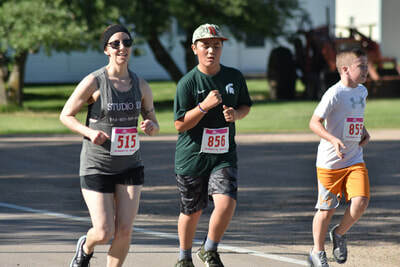 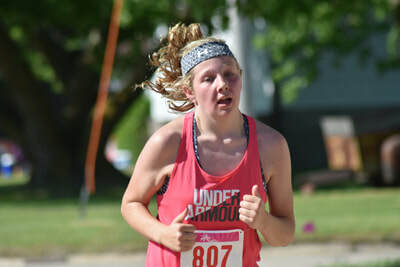 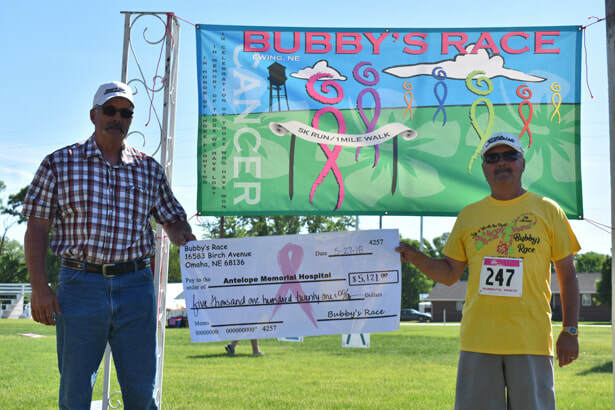 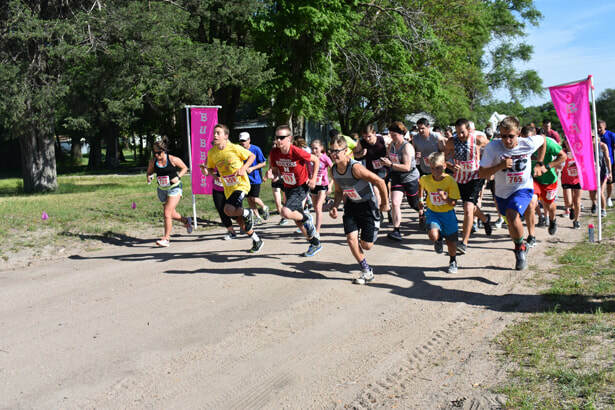 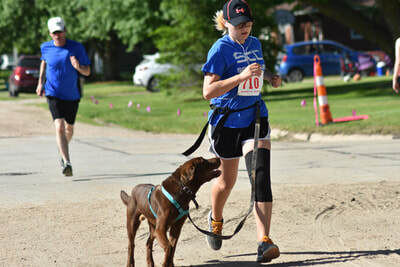 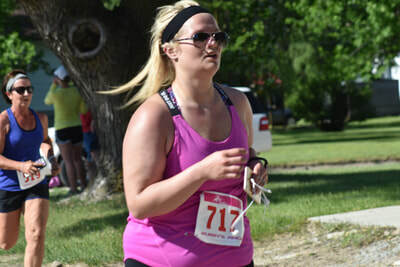 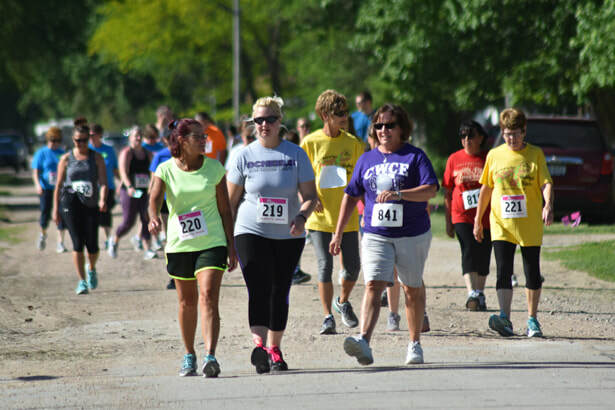 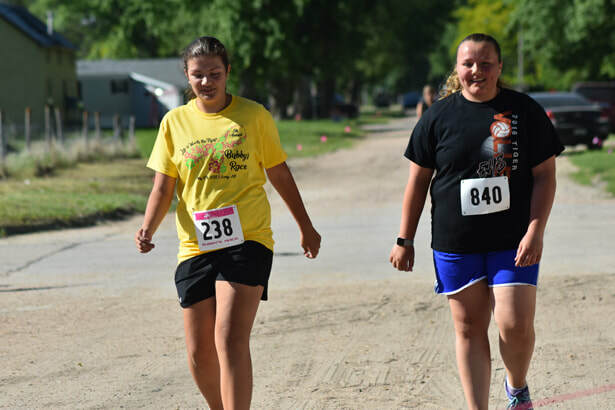 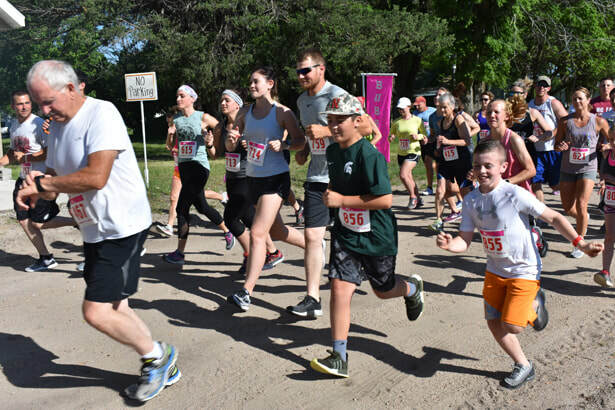 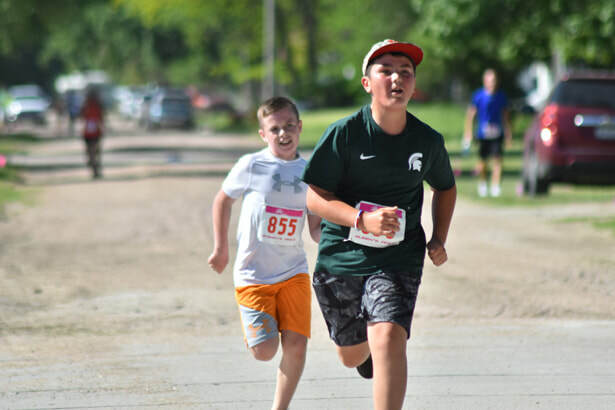 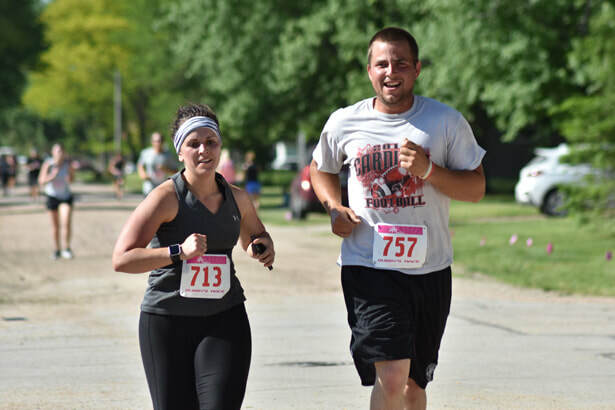 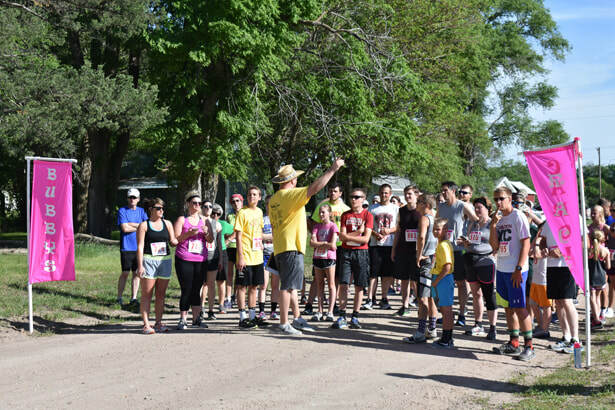 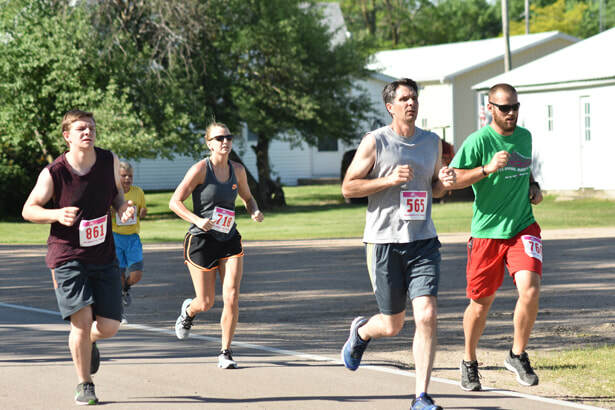 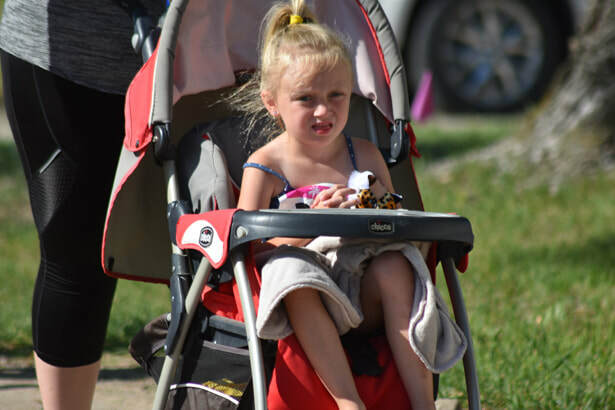 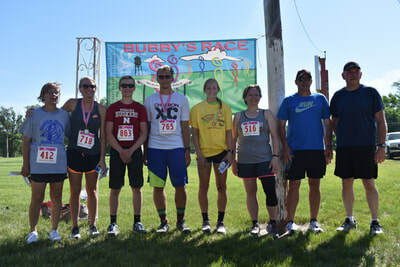 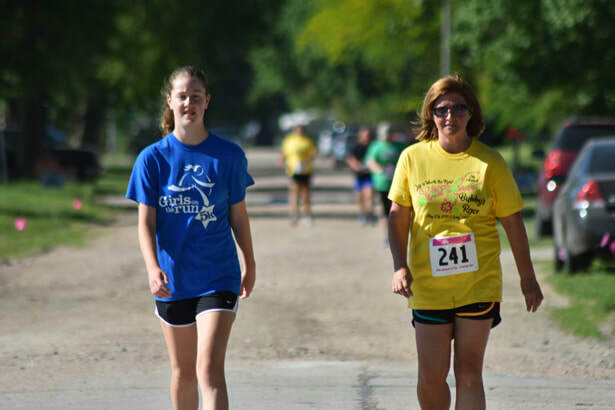 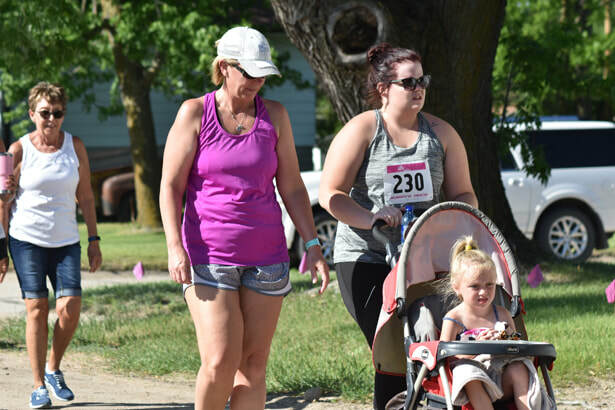 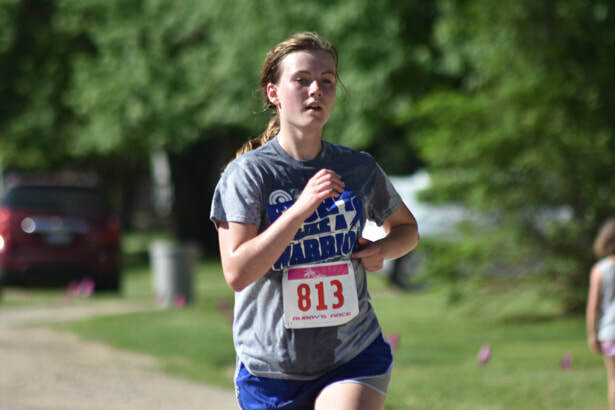 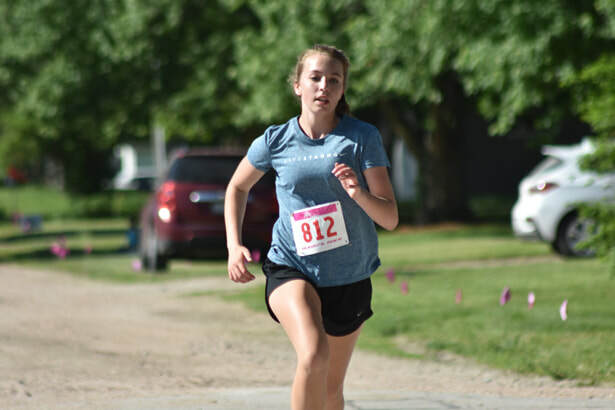 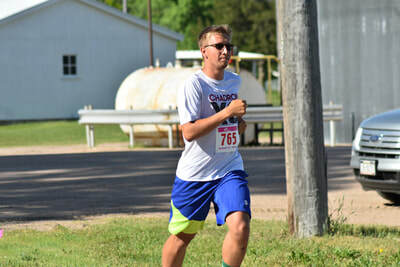 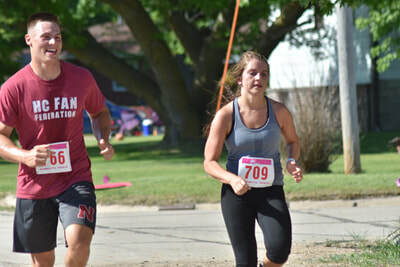 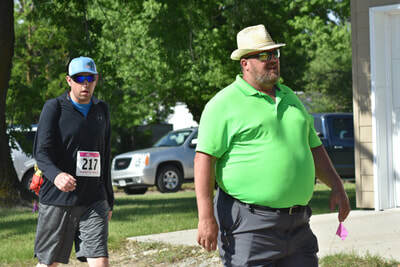 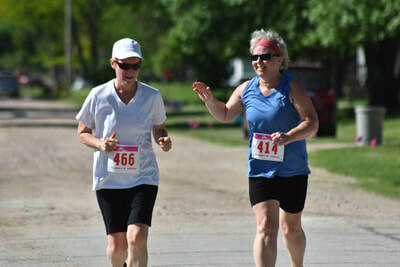 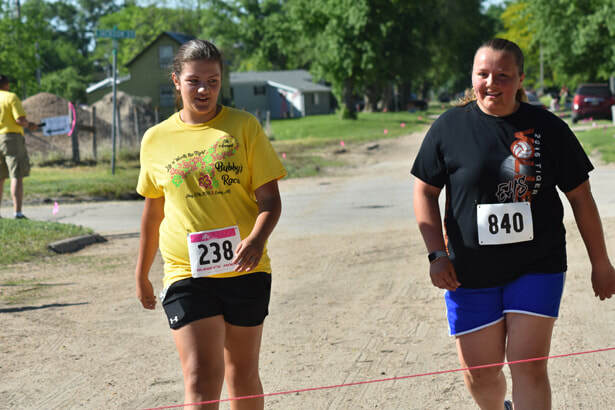 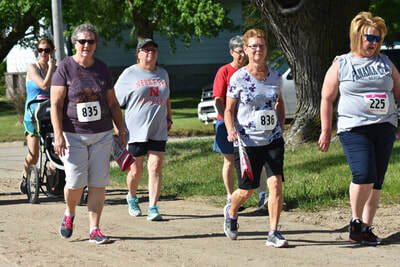 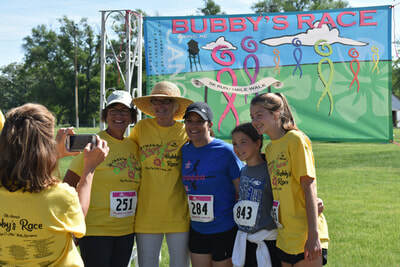 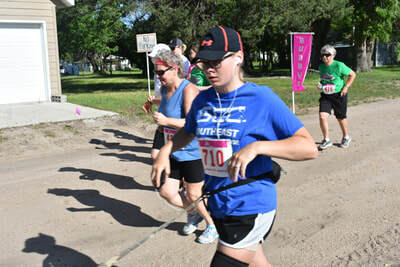 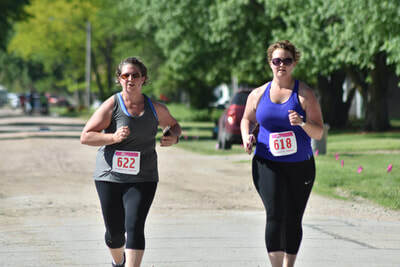 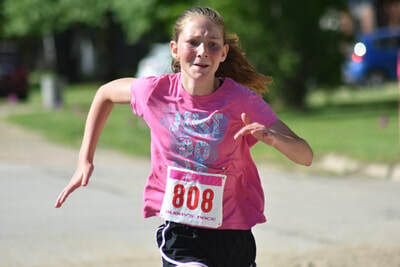 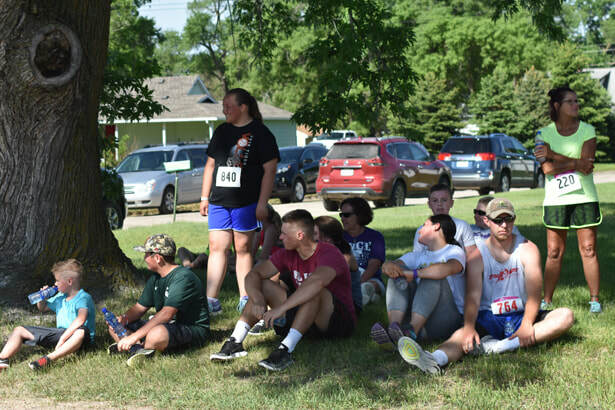 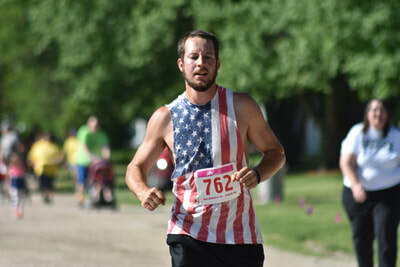 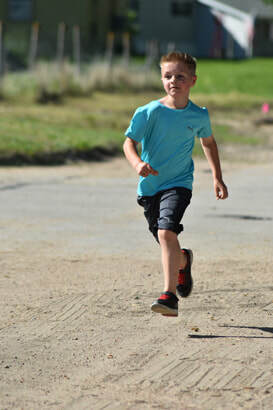 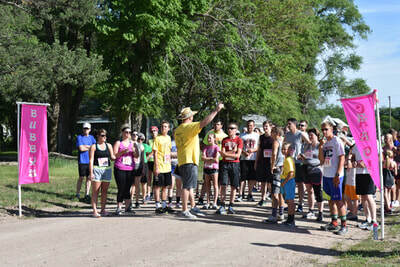 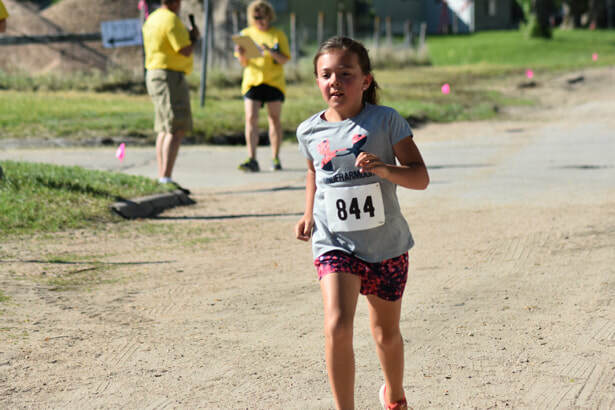 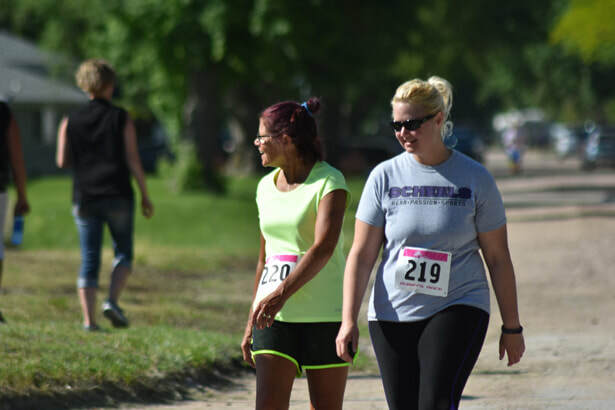 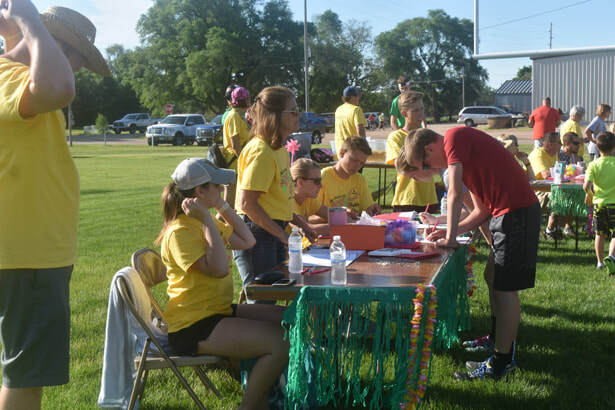 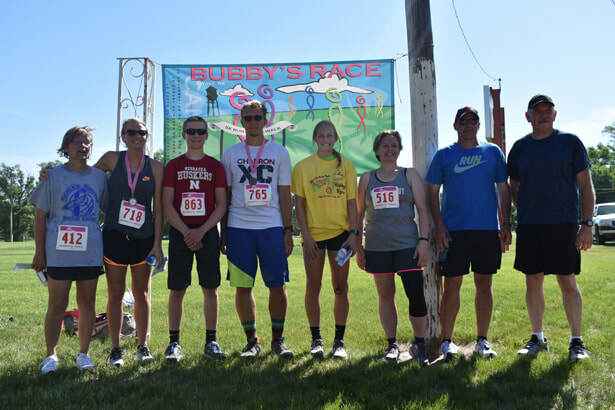 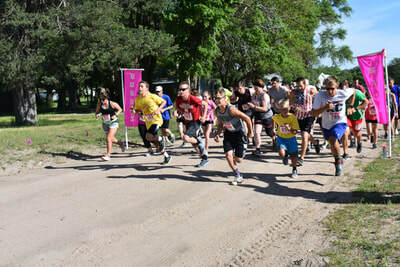 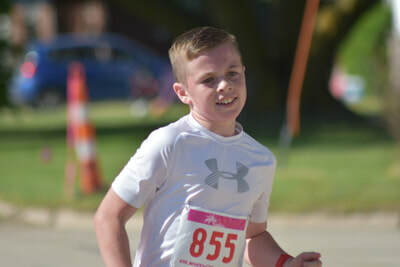 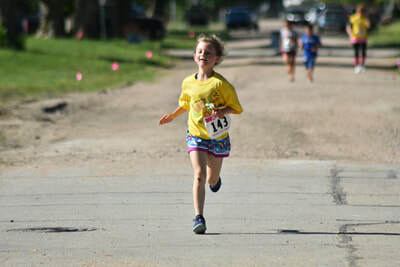 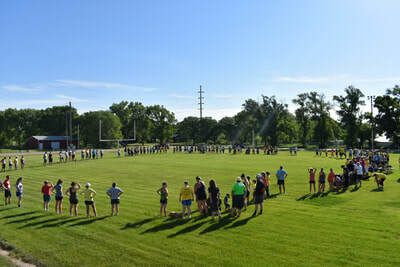 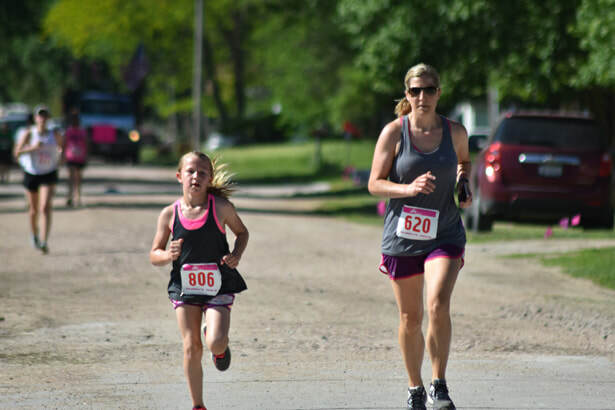 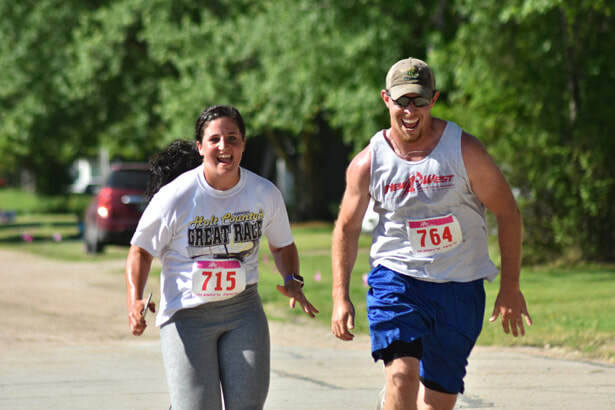 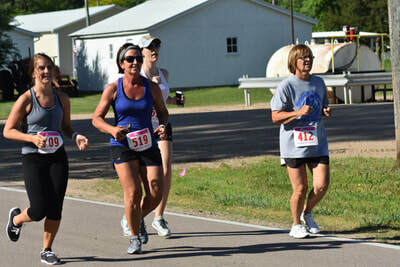 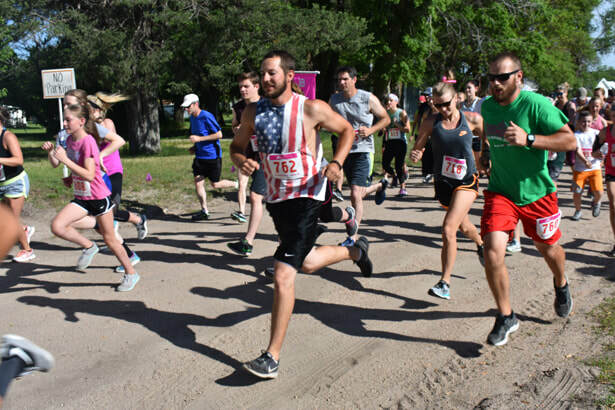 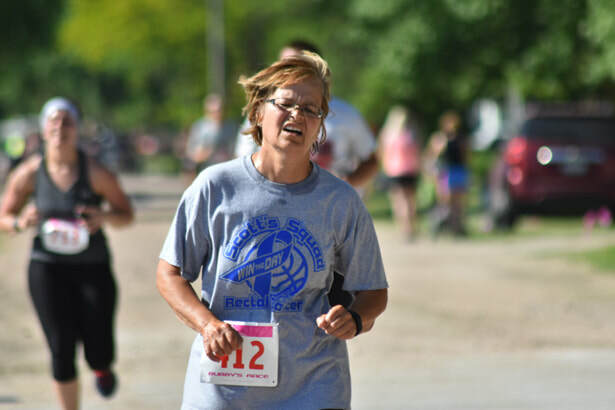 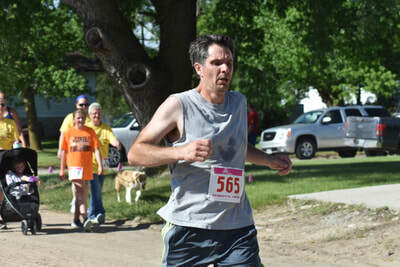 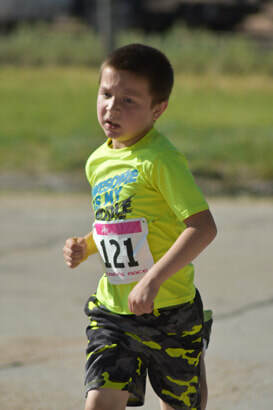 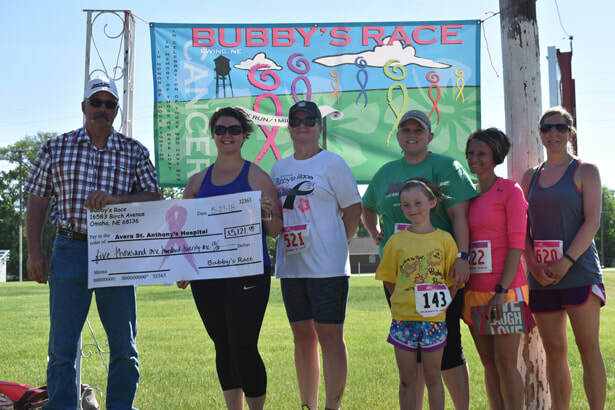 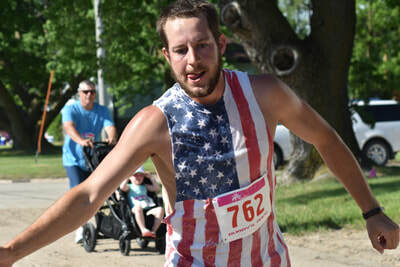 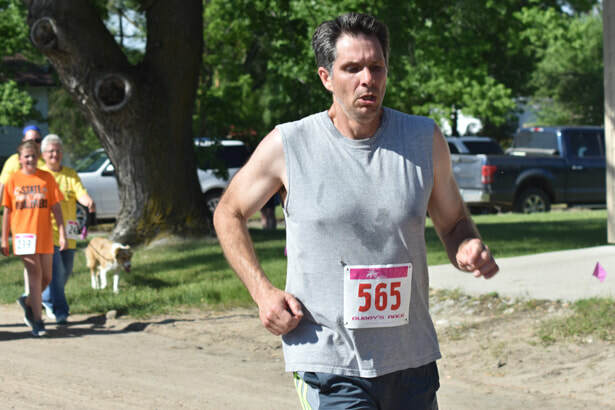 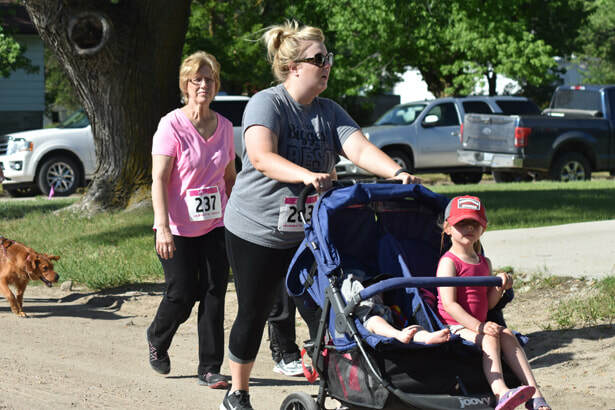 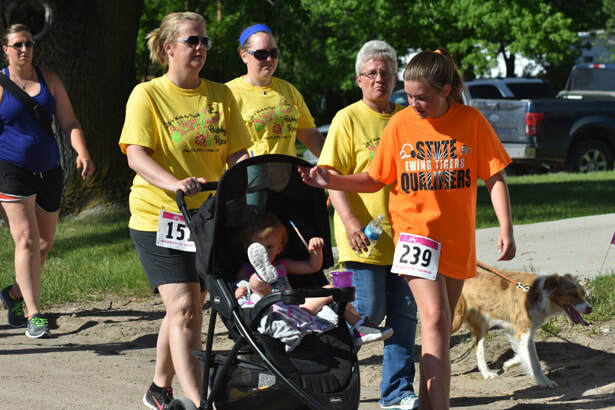 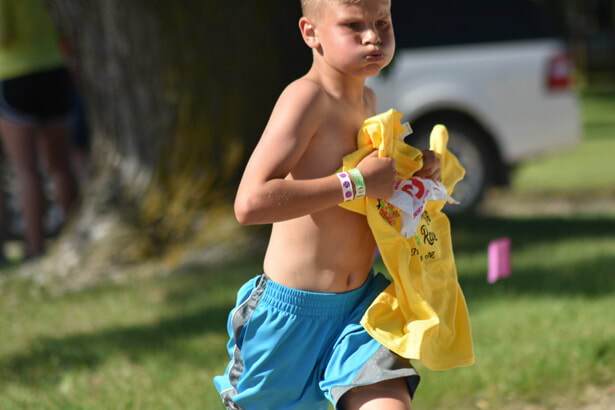 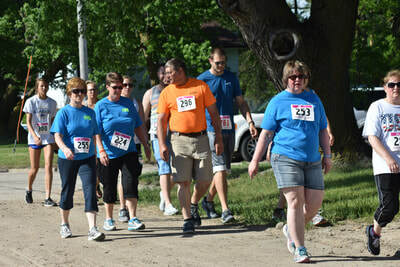 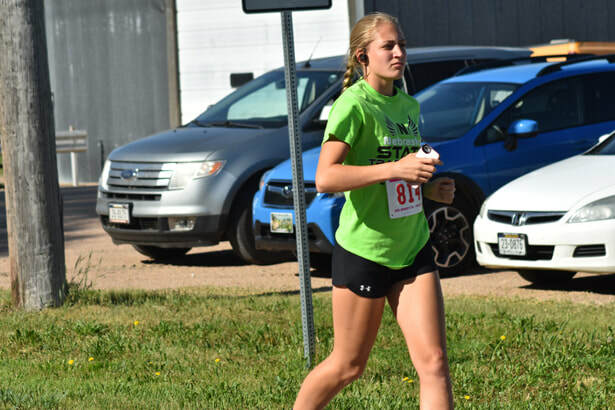 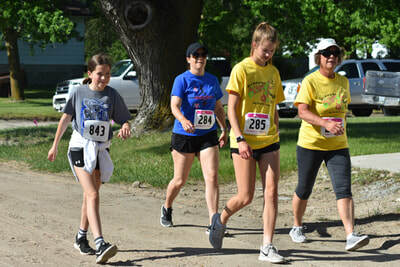 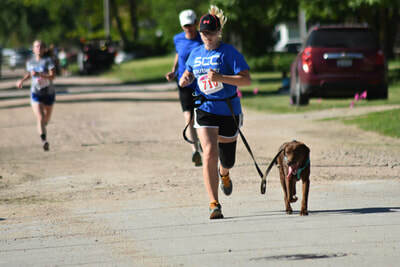 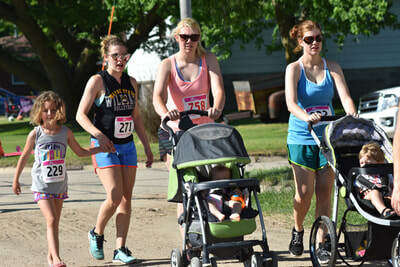 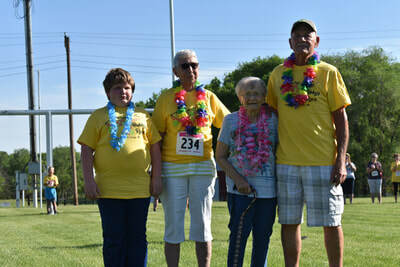 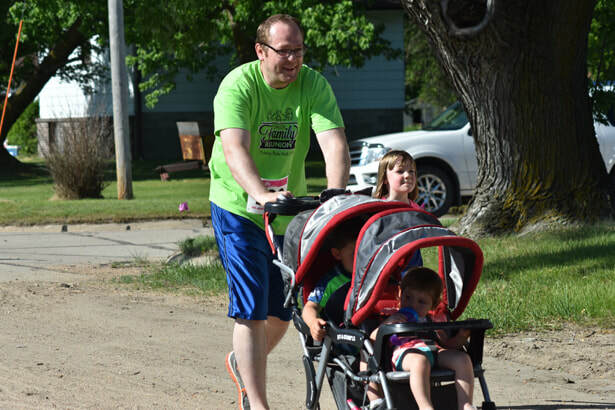 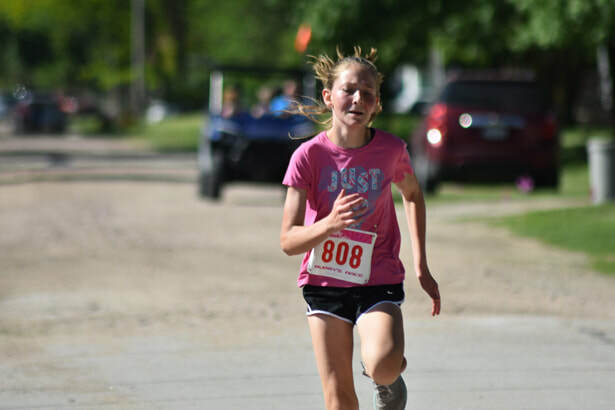 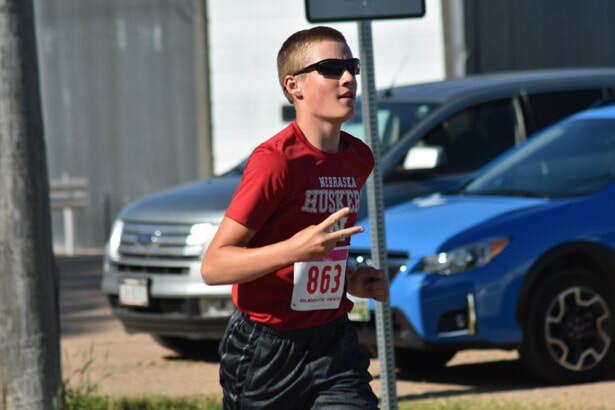 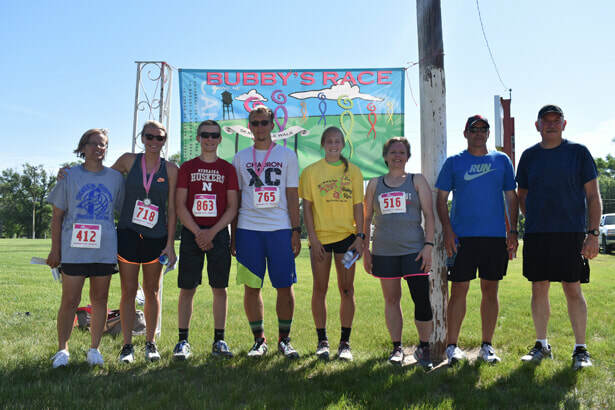 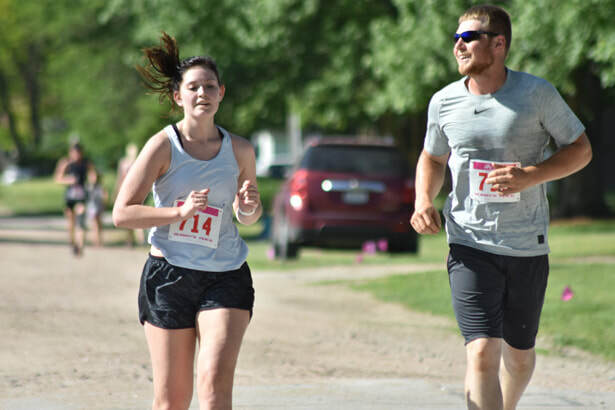 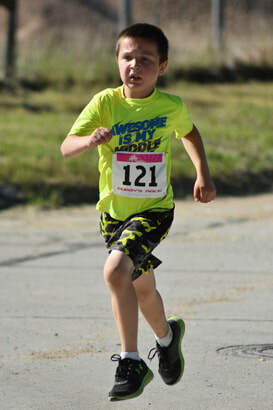 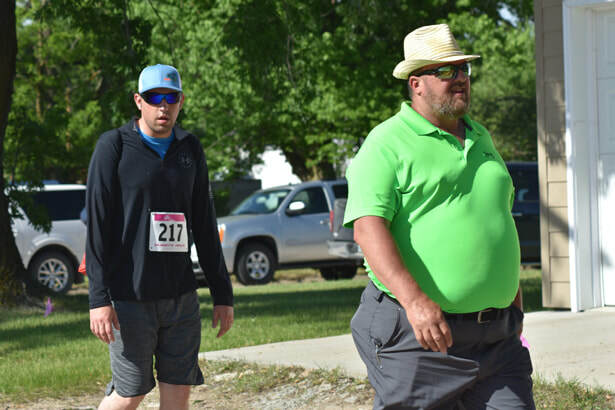 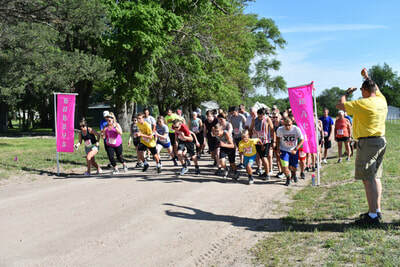 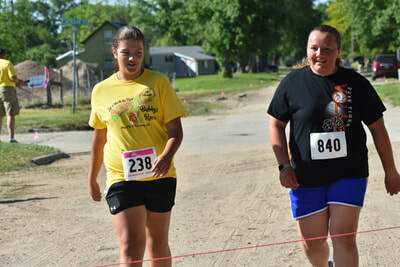 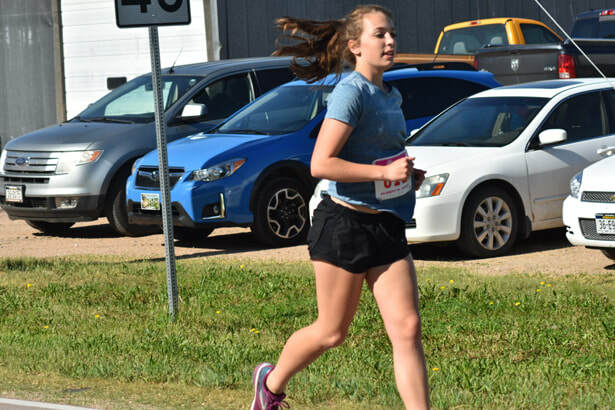 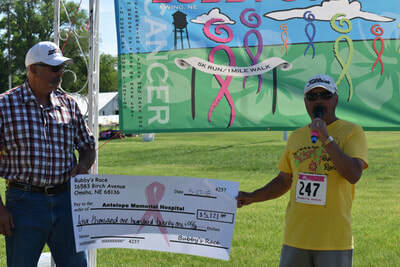 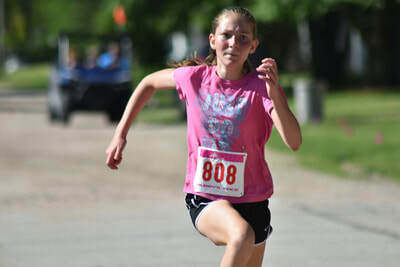 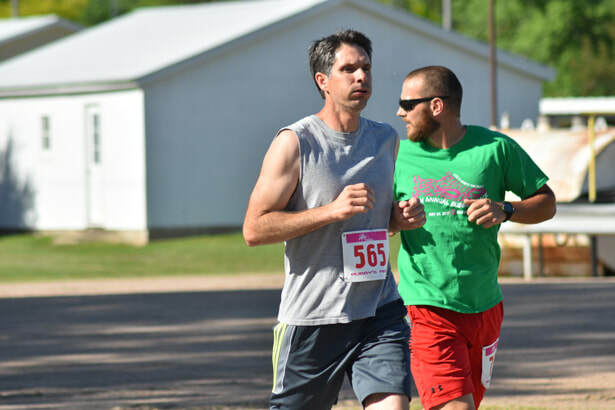 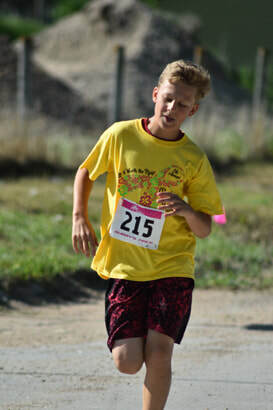 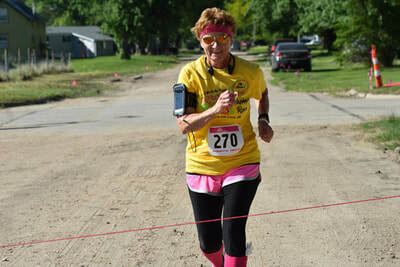 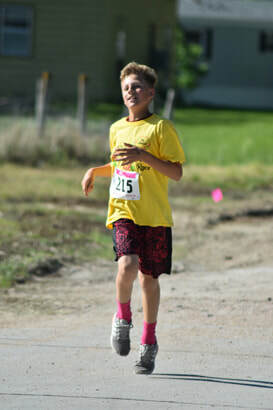 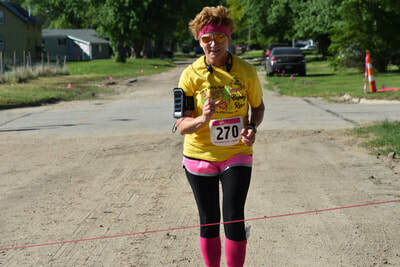 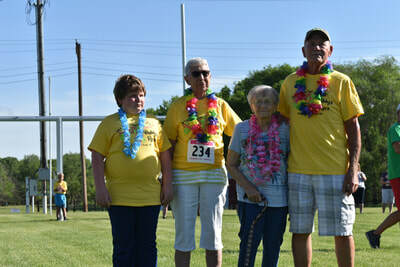 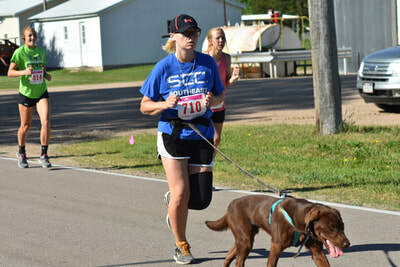 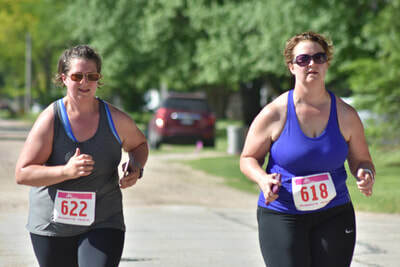 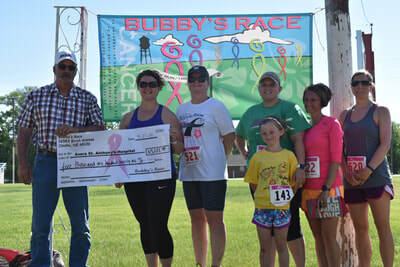 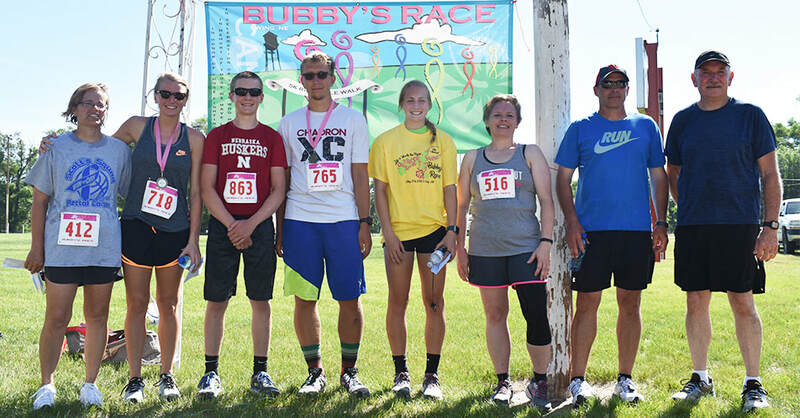 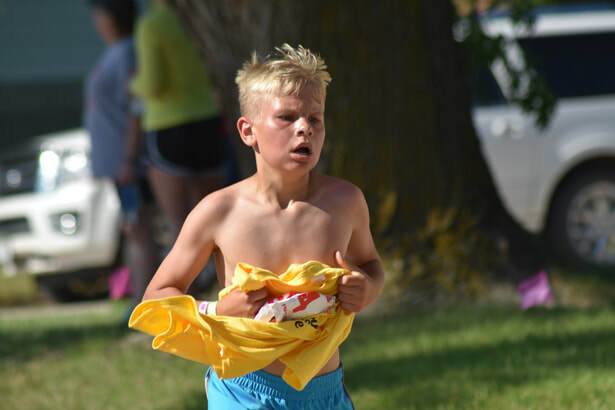 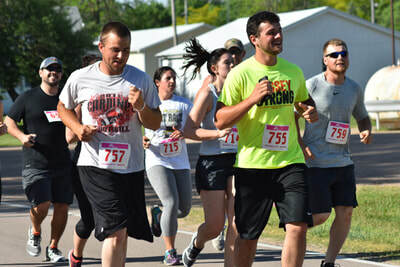 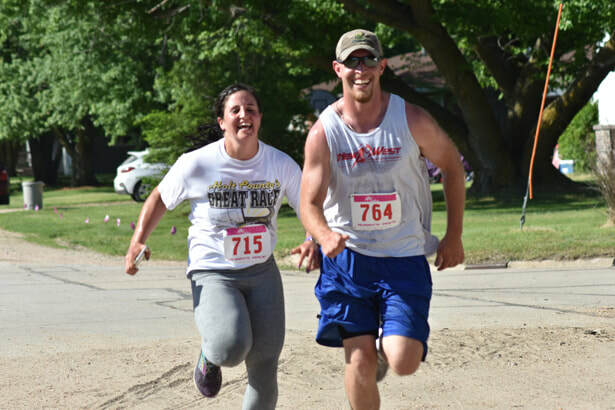 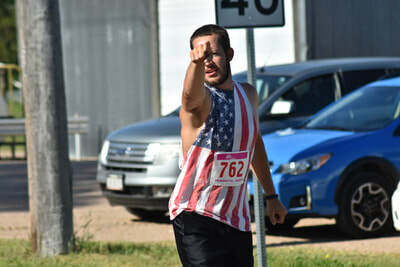 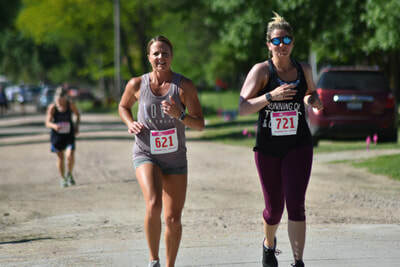 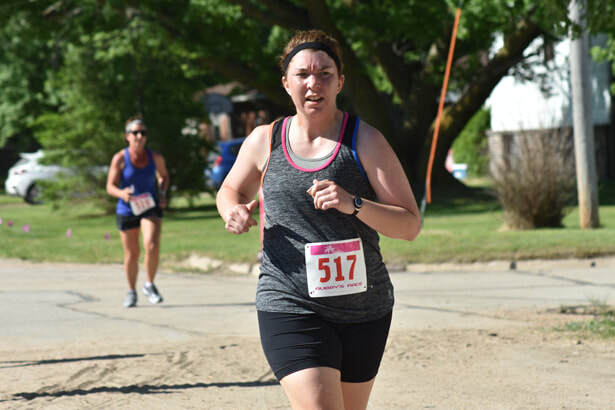 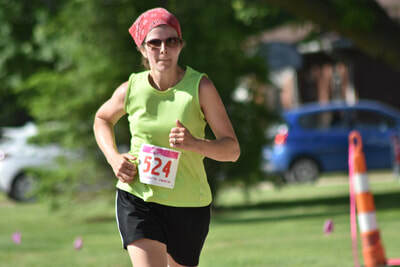 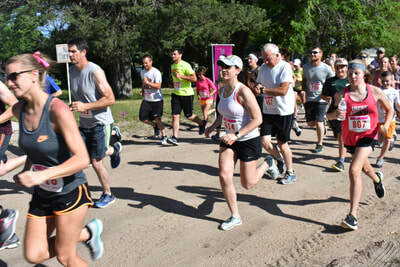 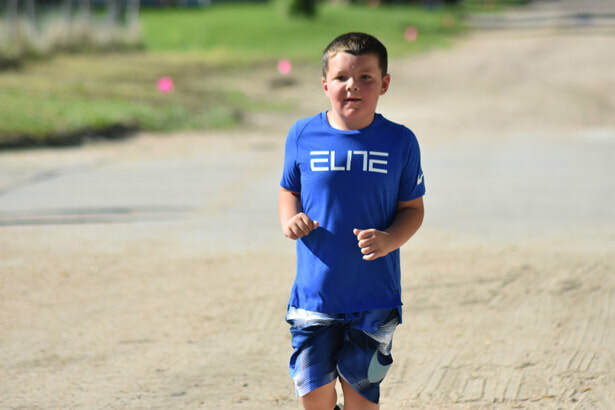 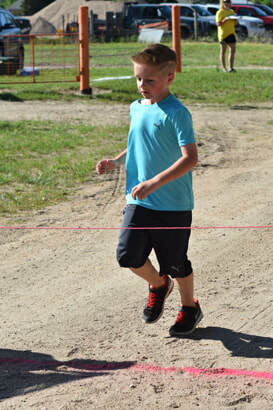 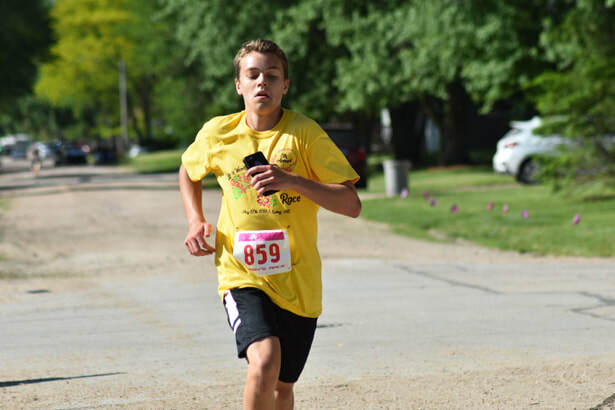 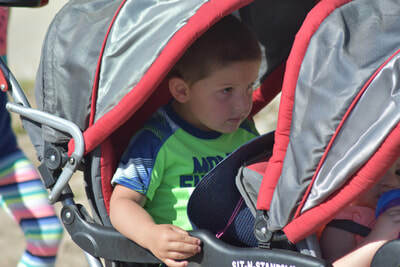 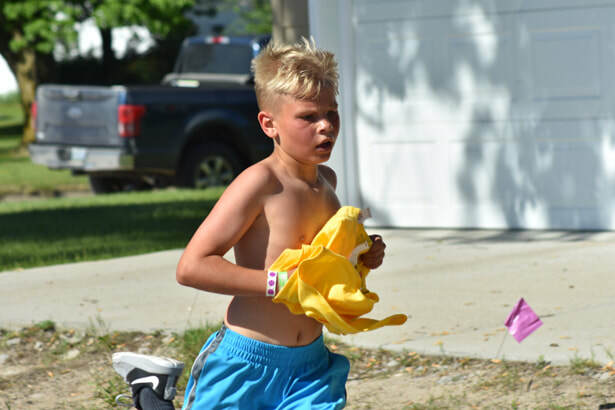 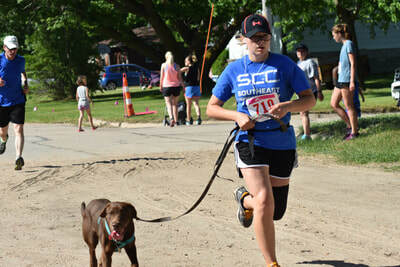 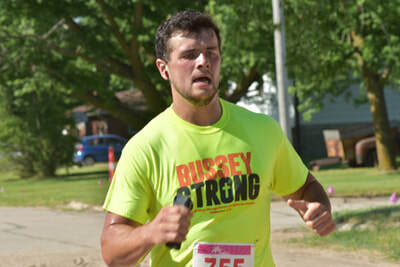 The 8th Annual Bubby's Race drew more than 200 people to Ewing on Sunday morning. 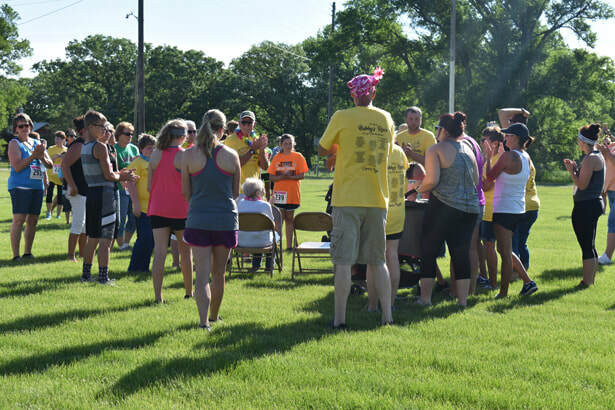 Cancer survivors were recognized with a Circle of Hope before the 5K run and 1-mile walk began at the Ewing football field. Runners and walkers of all ages followed the marked course throughout town. 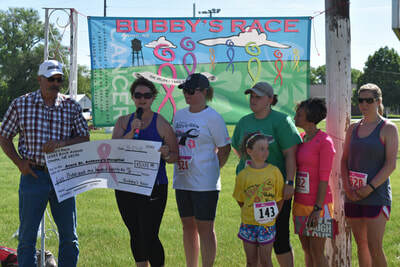 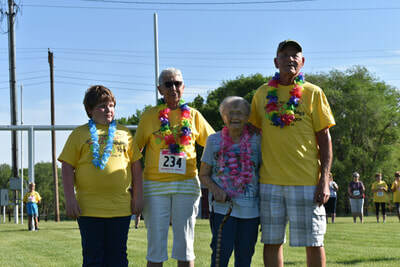 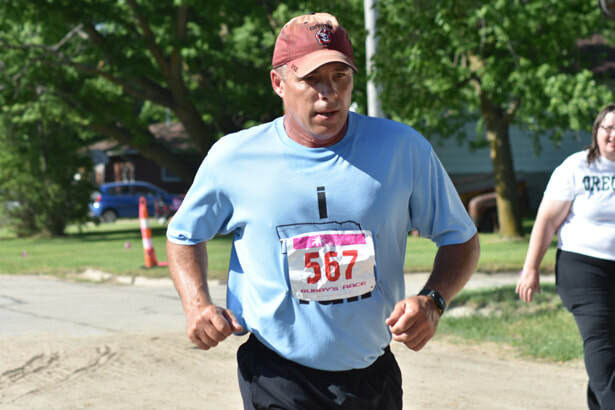 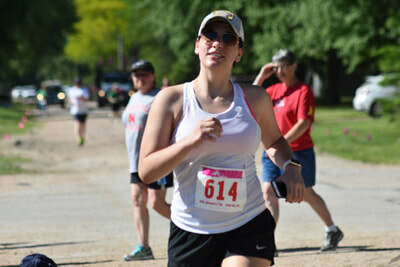 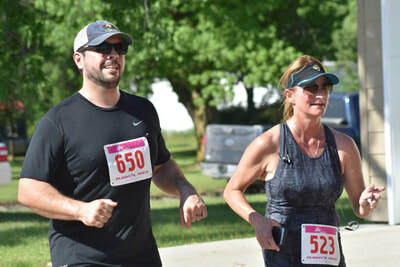 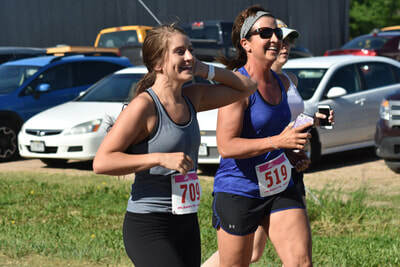 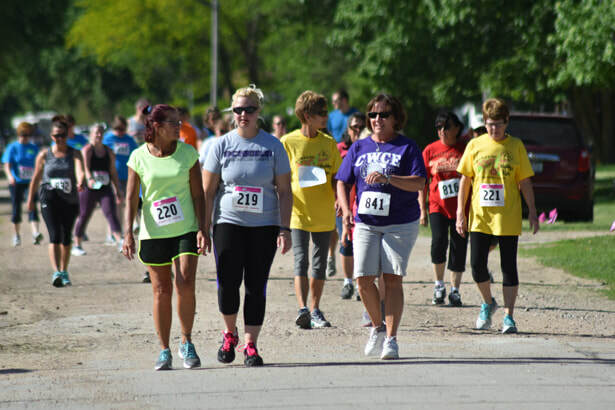 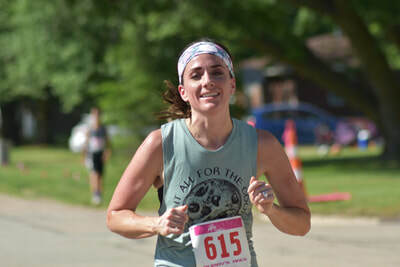 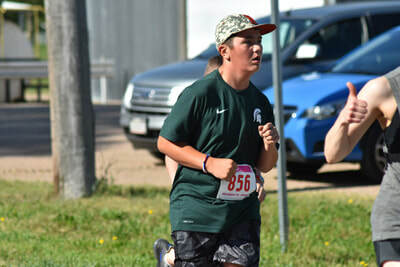 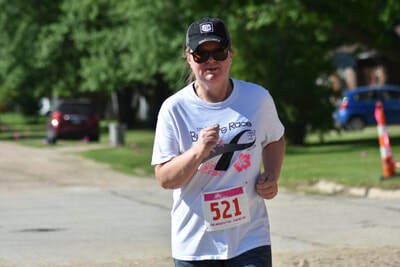 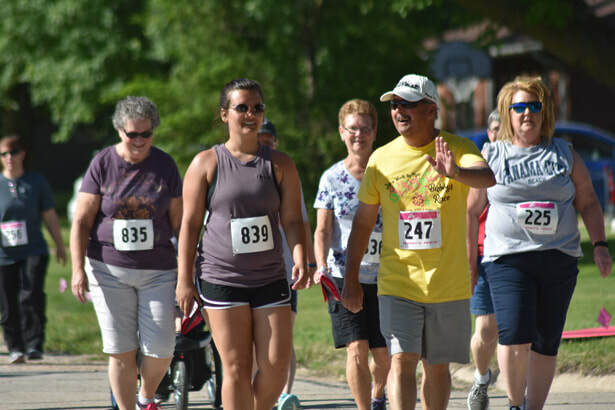 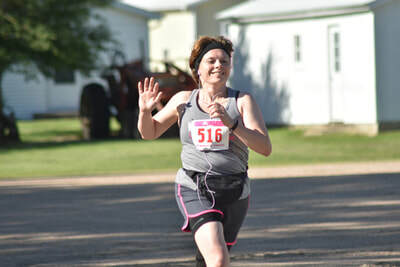 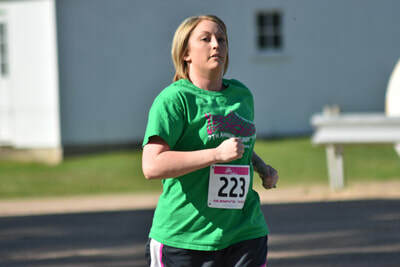 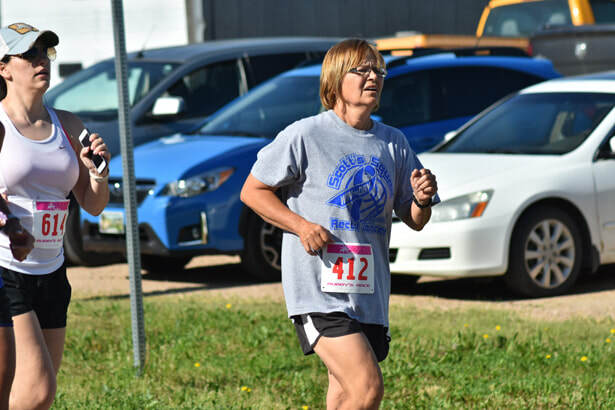 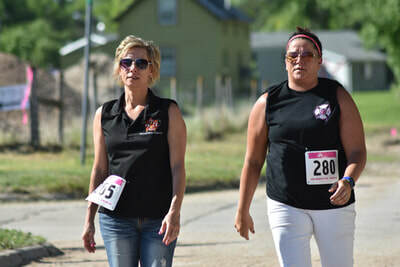 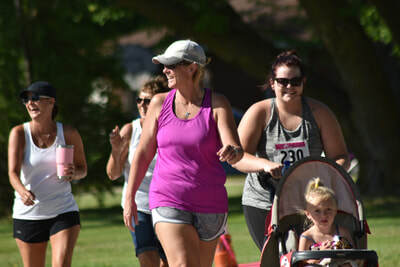 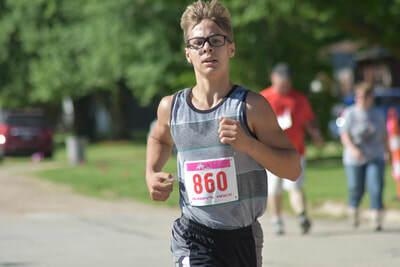 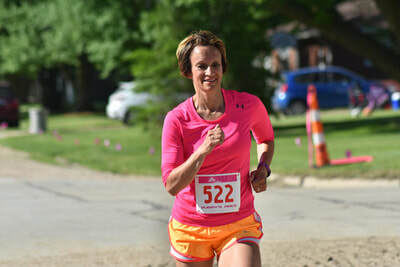 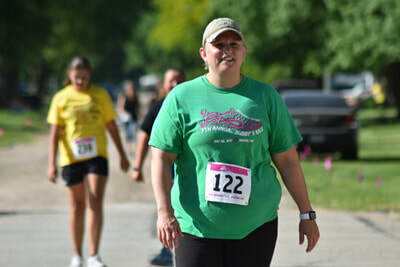 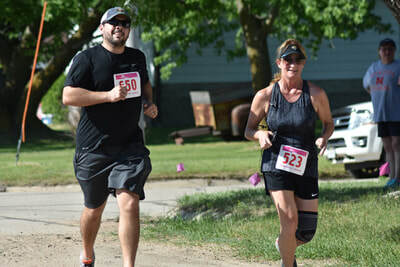 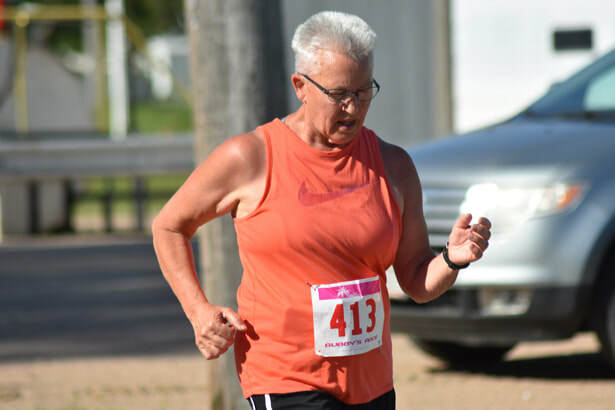 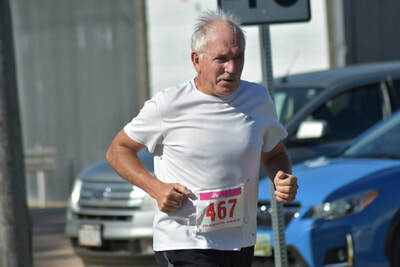 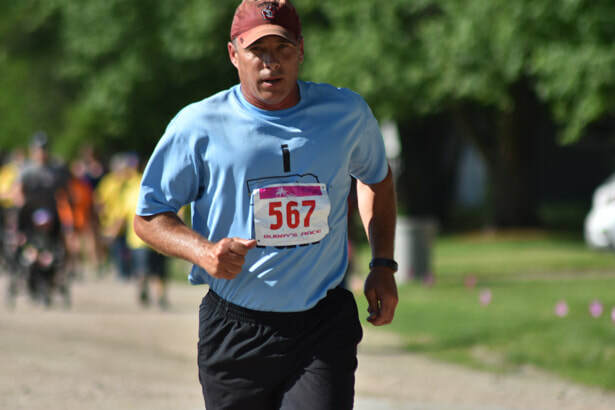 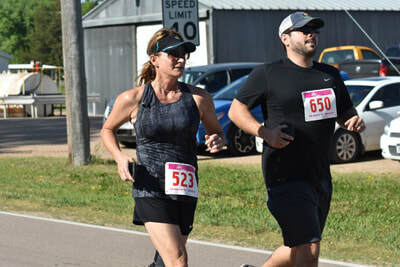 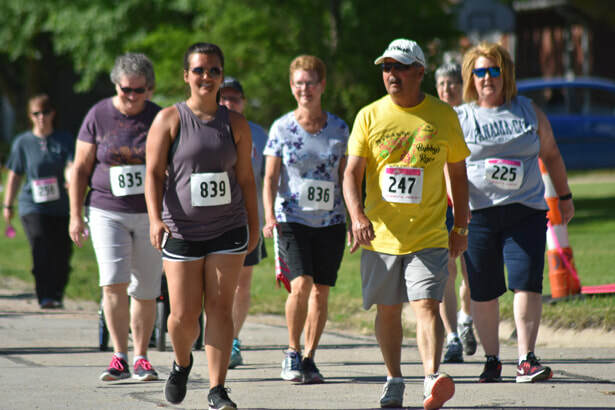 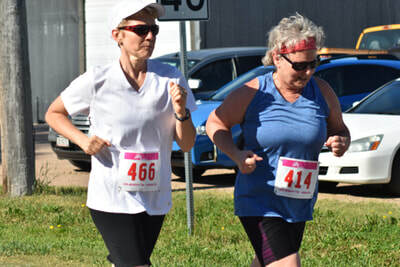 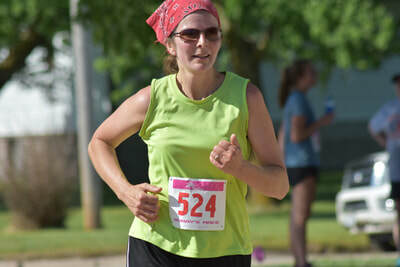 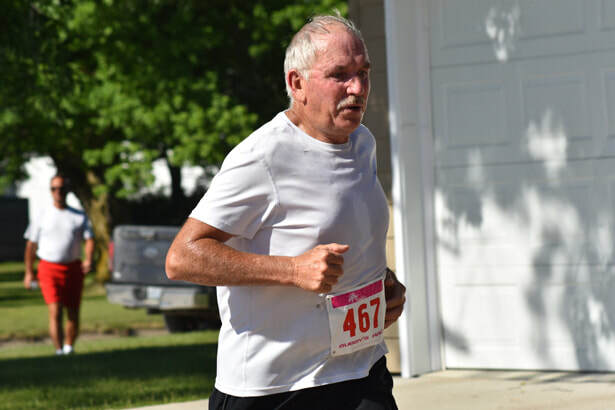 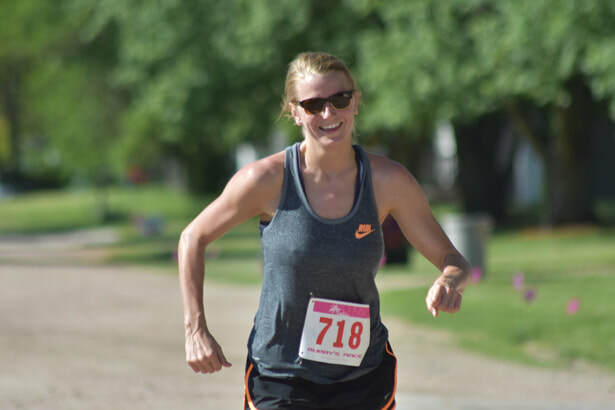 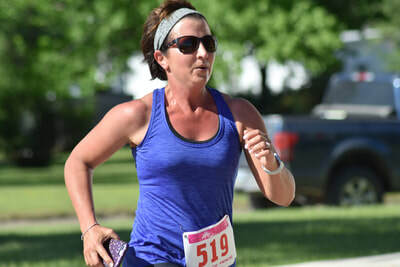 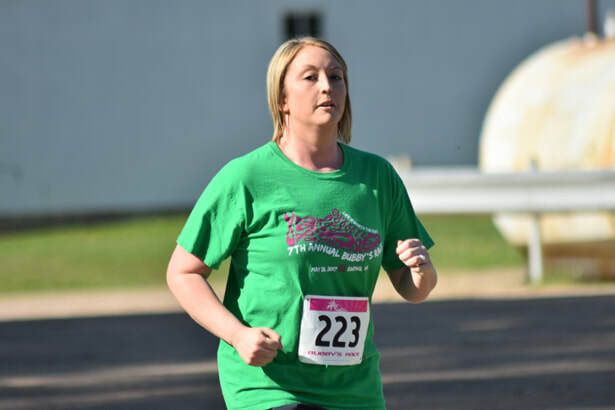 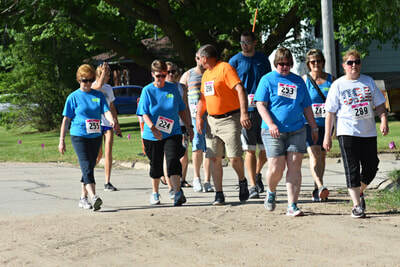 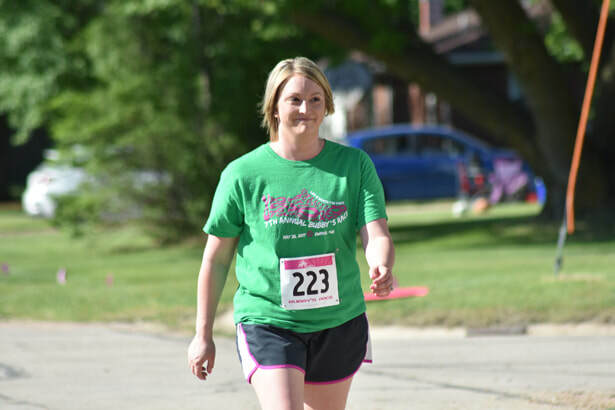 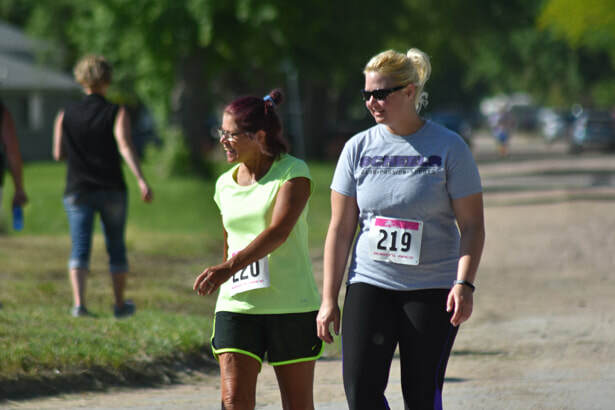 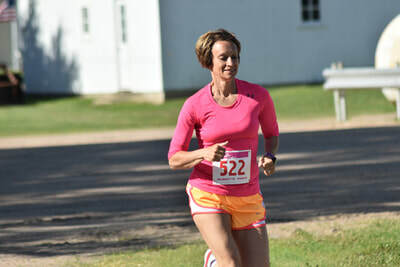 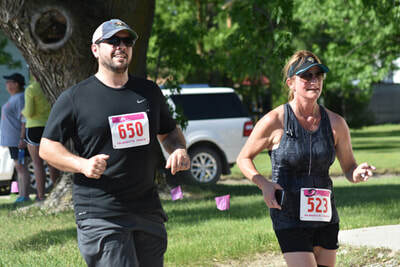 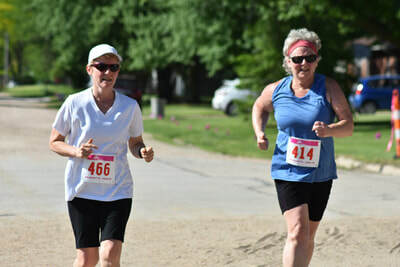 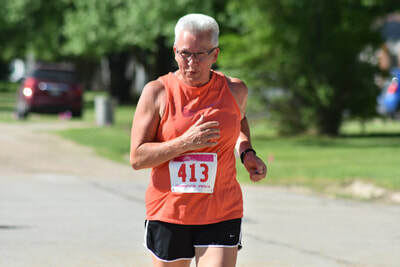 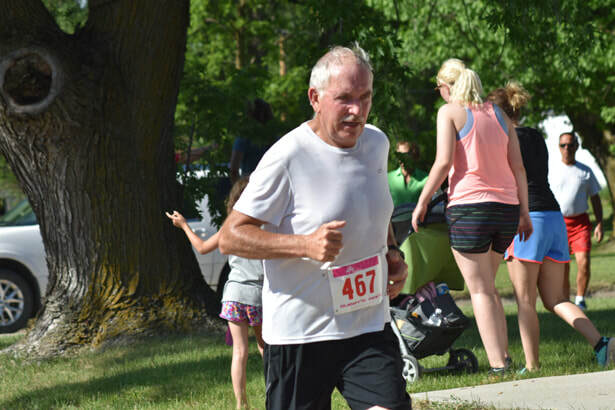 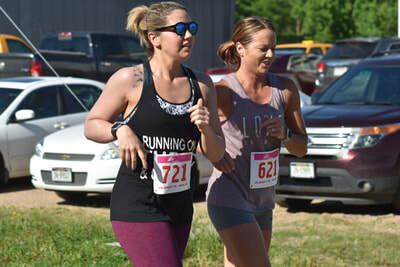 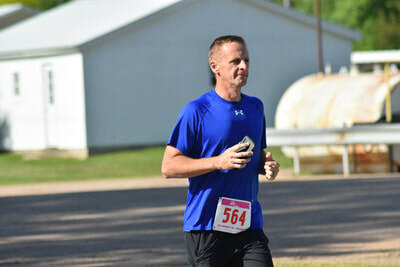 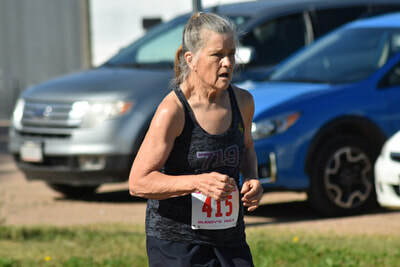 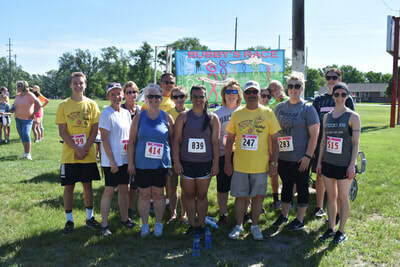 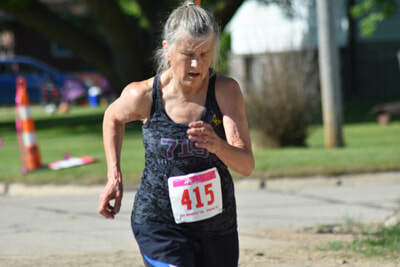 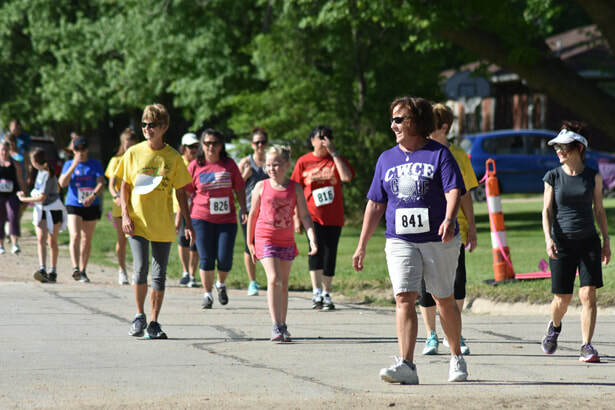 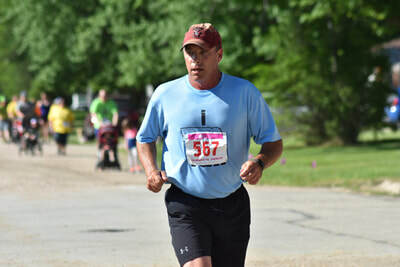 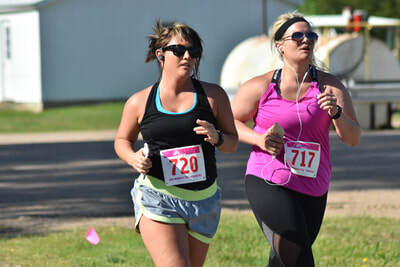 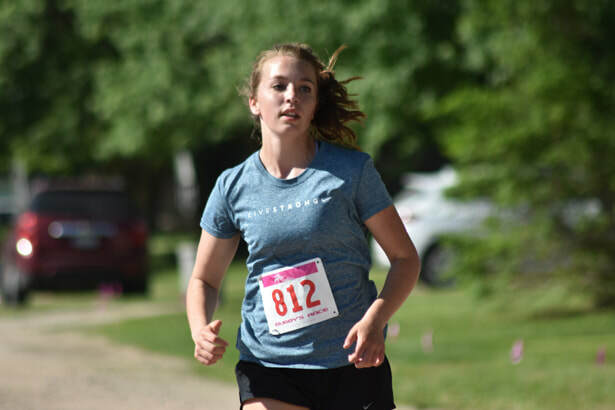 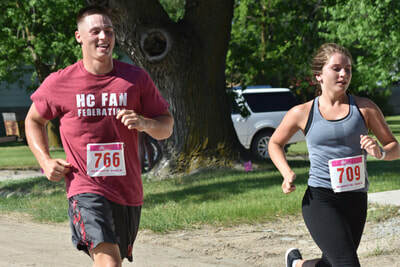 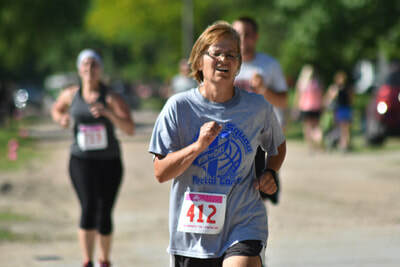 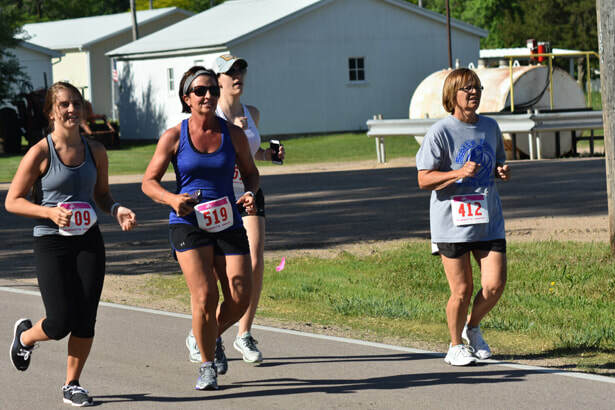 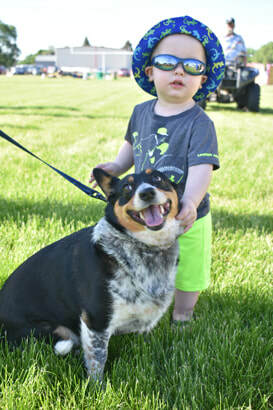 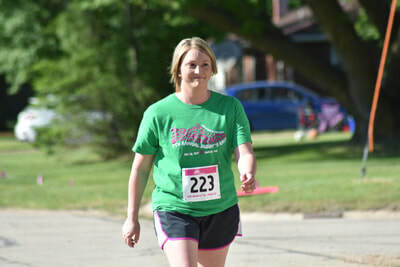 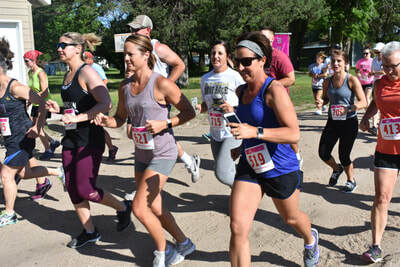 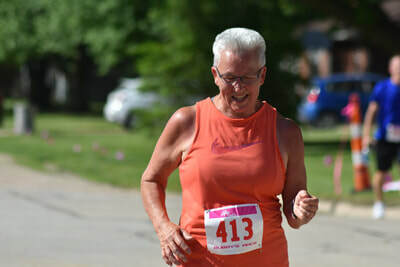 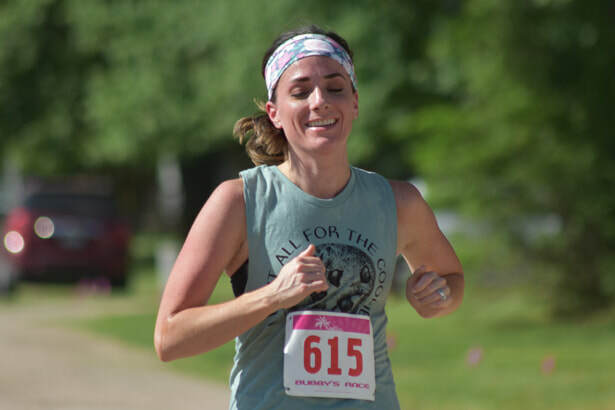 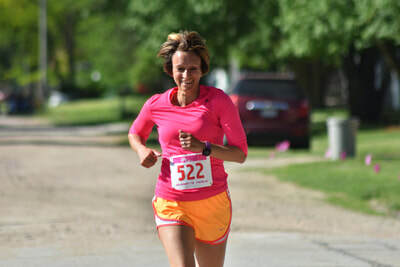 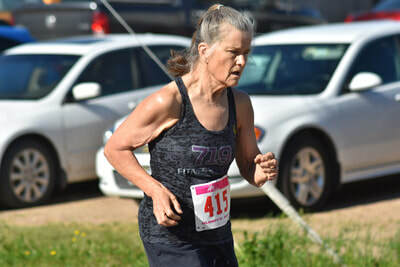 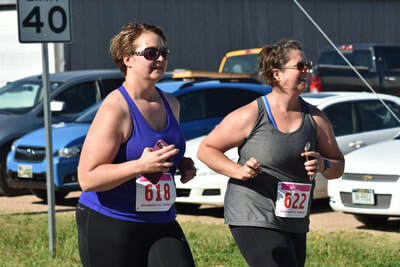 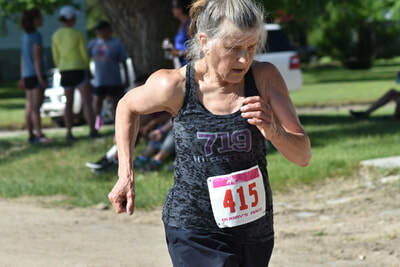 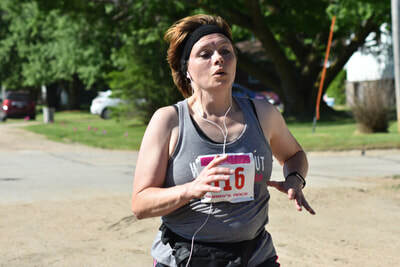 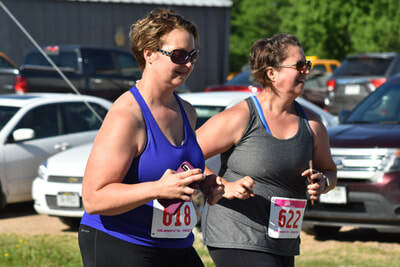 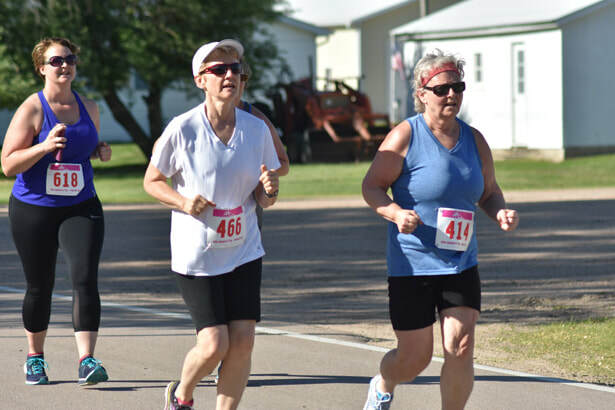 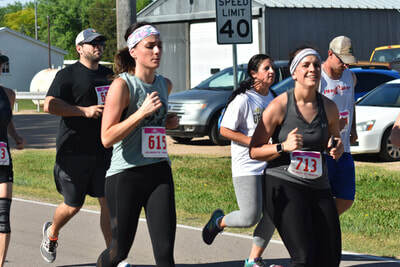 The race, which was started in memory of Beverly "Bubby" Thramer of Ewing, was held in conjunction with Ewing's Funfest celebration. 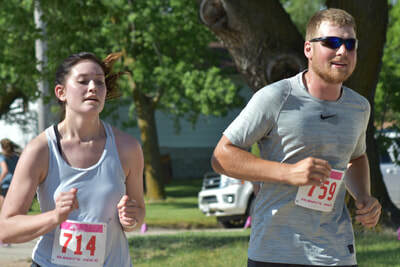 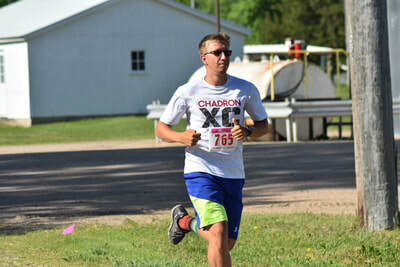 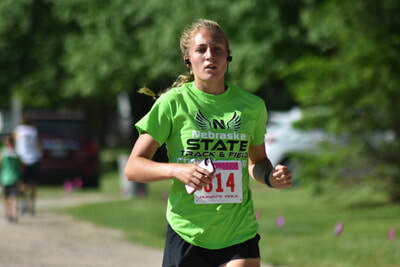 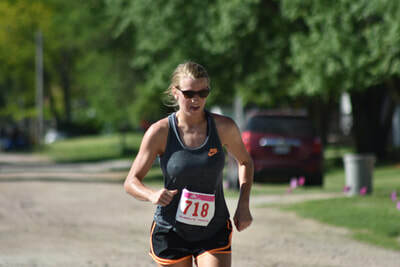 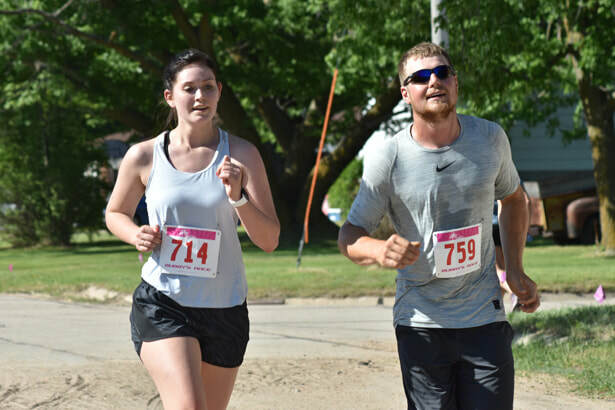 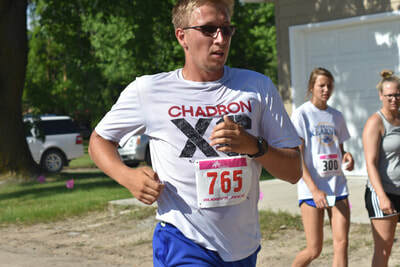 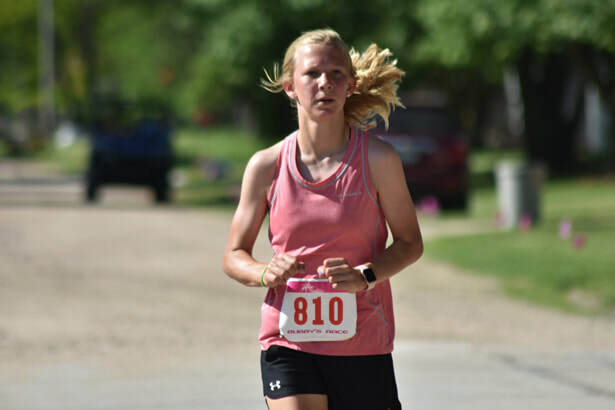 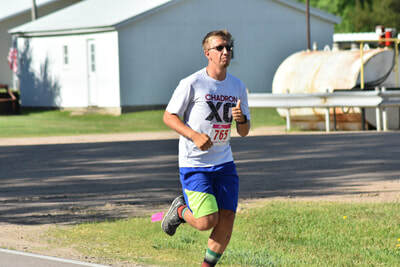 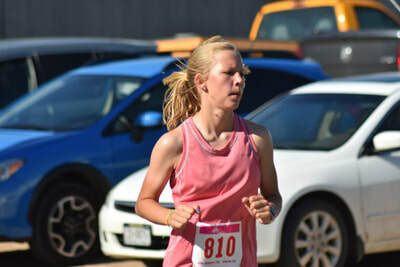 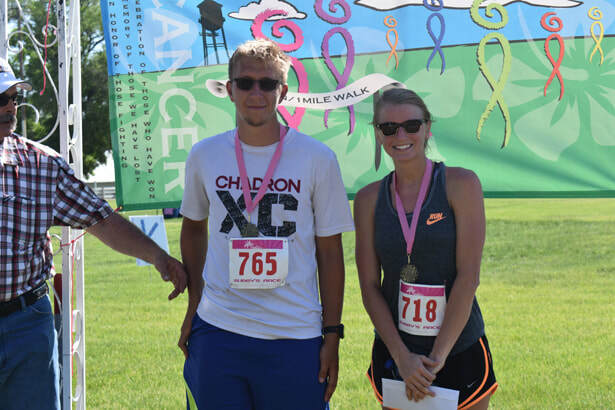 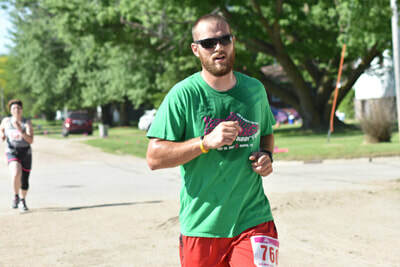 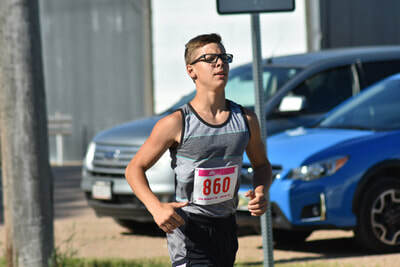 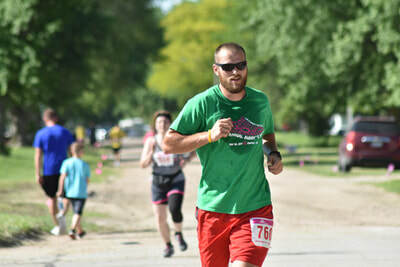 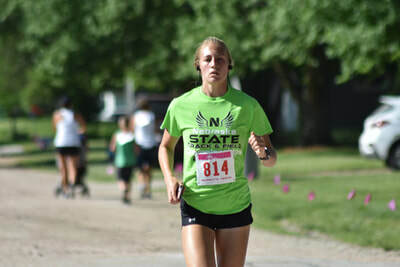 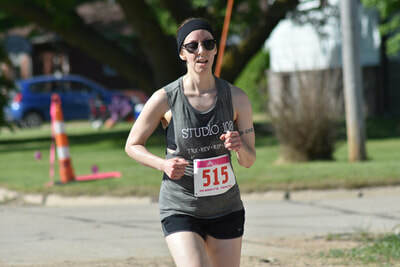 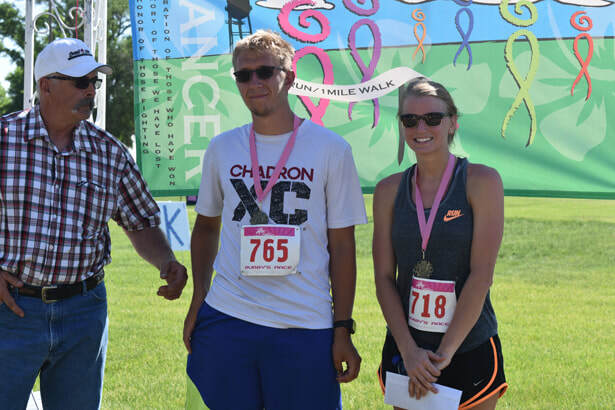 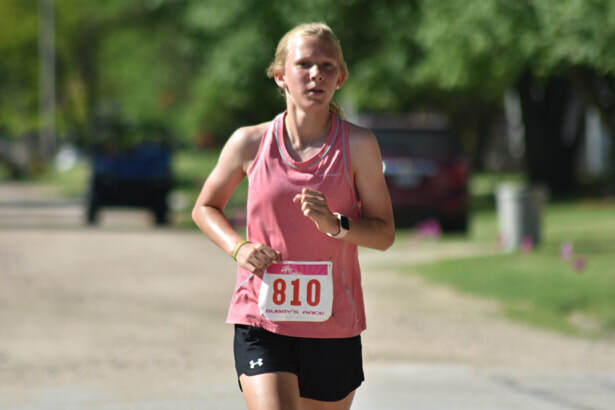 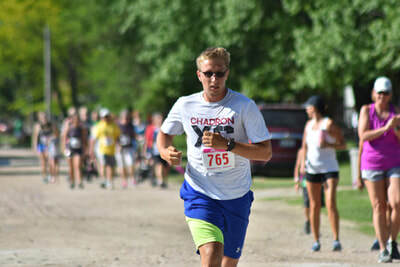 Collin Erickson (19-29 division) was the overall male winner with a time of 19:05, and Sadie Murren (19-29 division) crossed the finish line in 23:59 as the overall female winner. Proceeds from the event will benefit cancer treatment at Antelope Memorial Hospital in Neligh and Avera St. Anthony's Hospital in O'Neill. If you were thinking about signing up for the 8th Annual Bubby's Race in Ewing, you still have time! 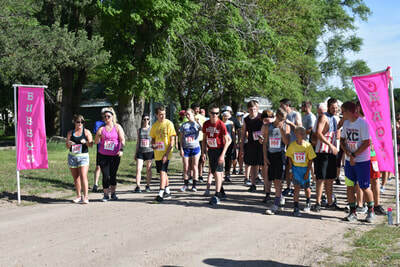 The deadline to register as a participant or be a sponsor has been extended to Saturday, May 5. 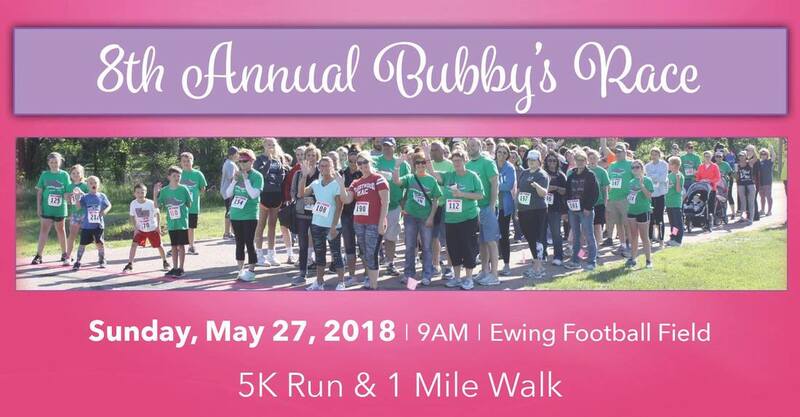 The 5k run and 1 mile walk will be held May 27, 2018 at the Ewing Football Field. 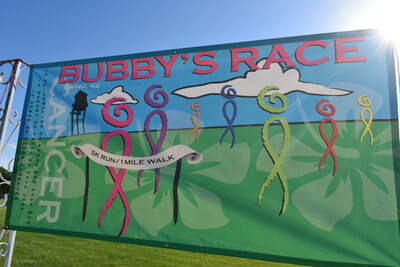 Check-in begins at 8:30 a.m. with the event to start at 9:00 a.m.
Register by May 1st to be guaranteed a shirt. 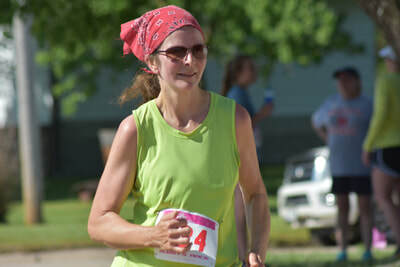 You can register online at https://www.allsportcentral.com/EventInfo.cfm?EventID=65604 or obtain registration/sponsor form at www.kbrx.com. Registration is $15, participants six years and younger are free (no shirt provided). 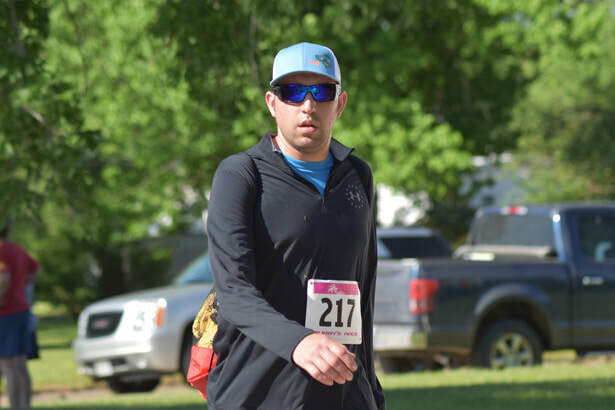 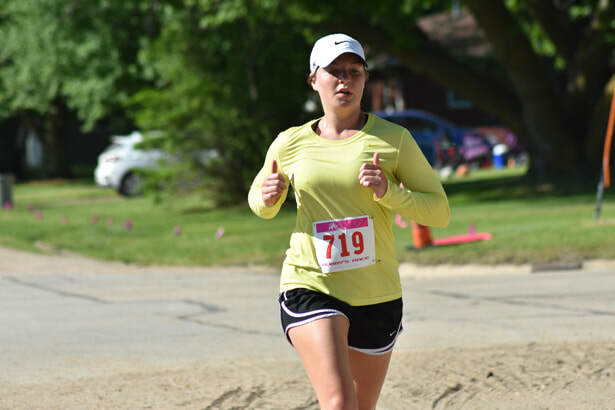 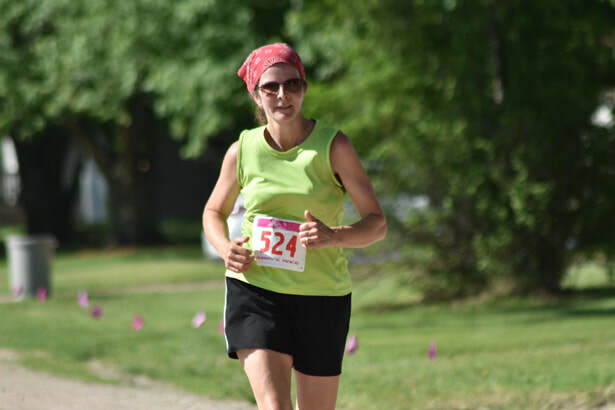 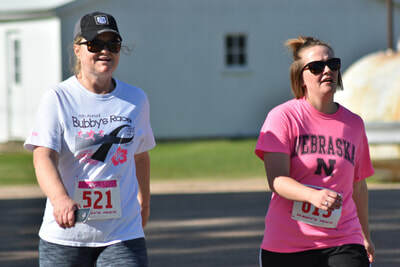 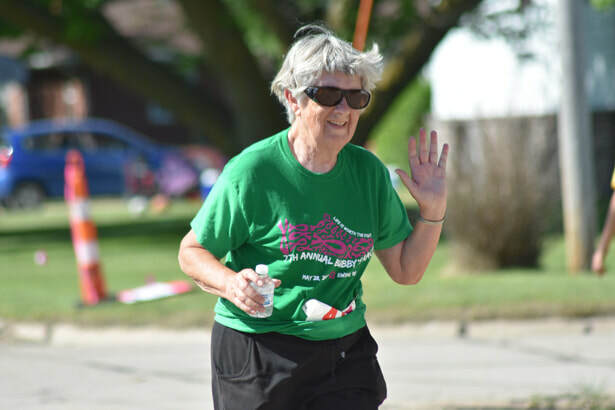 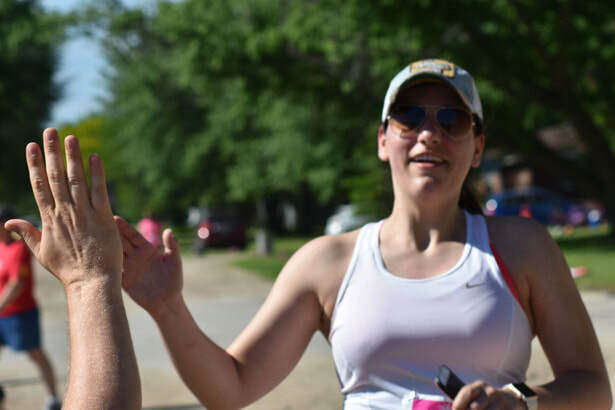 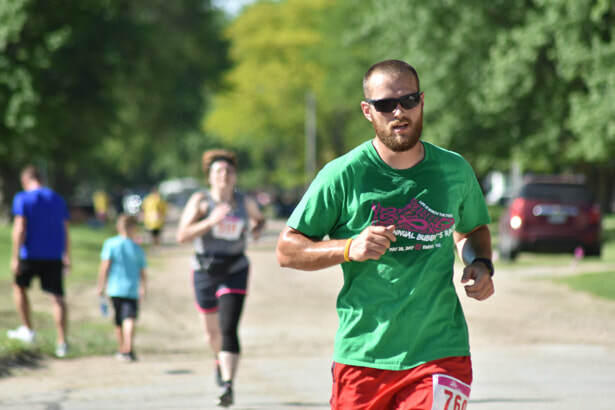 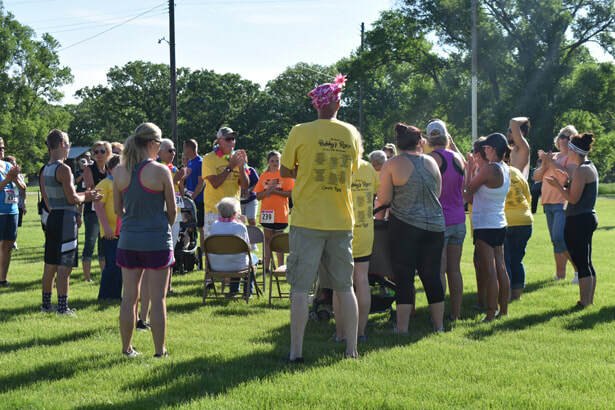 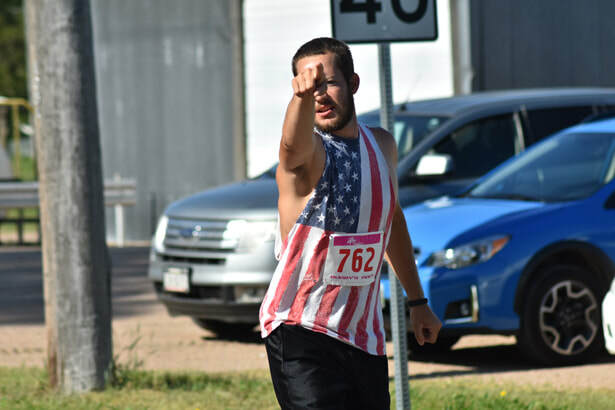 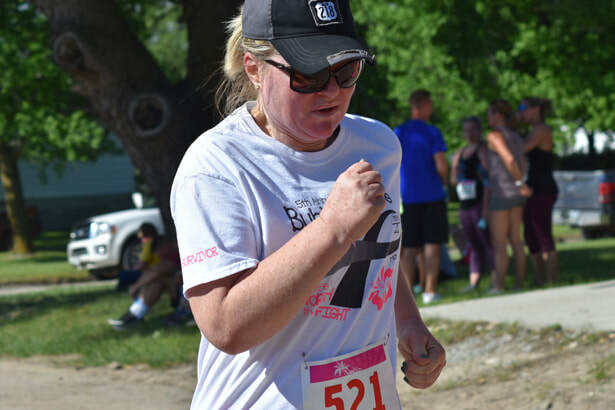 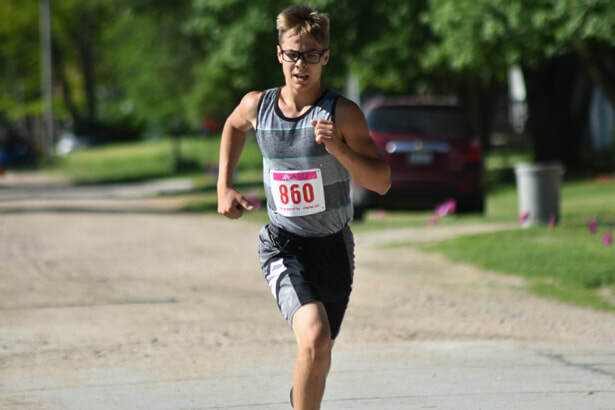 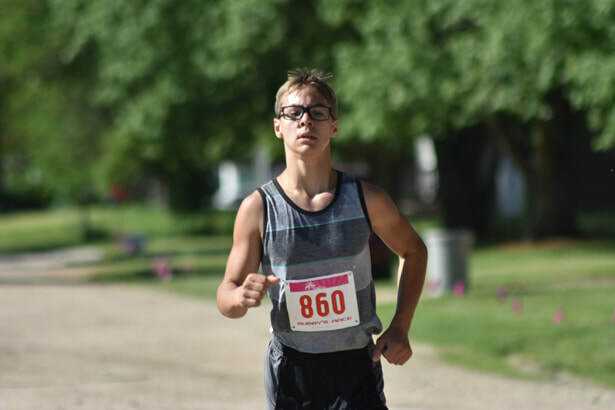 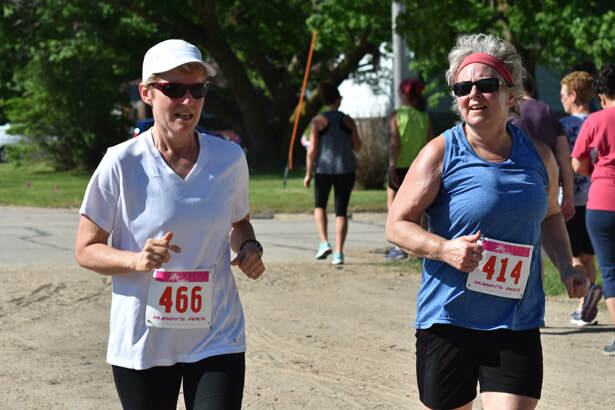 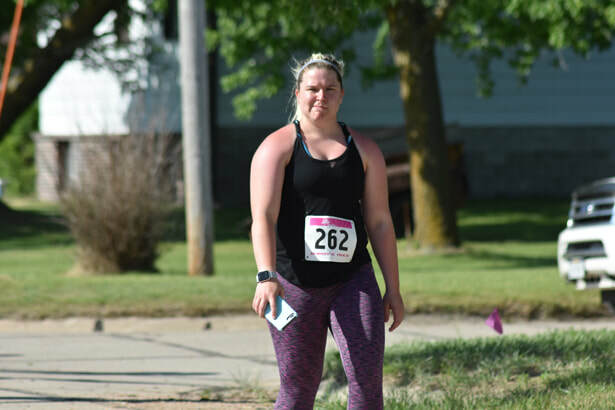 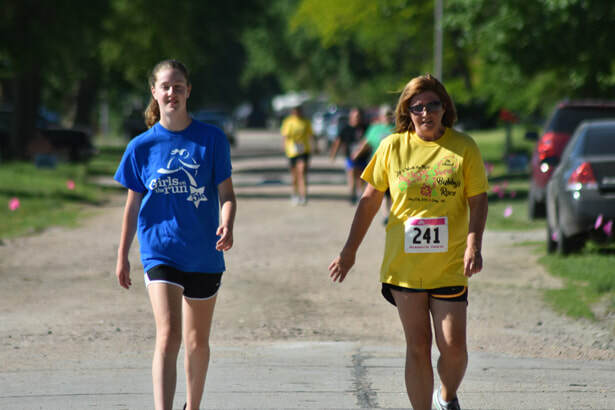 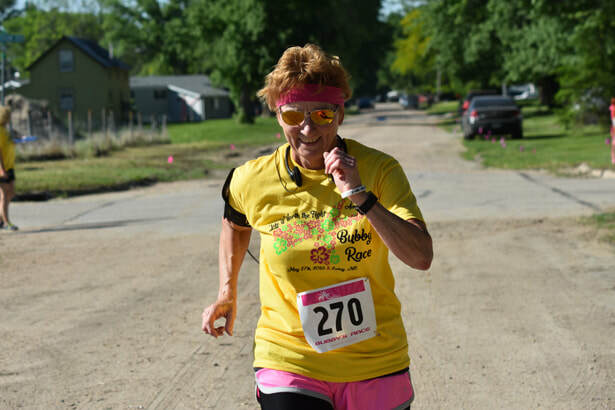 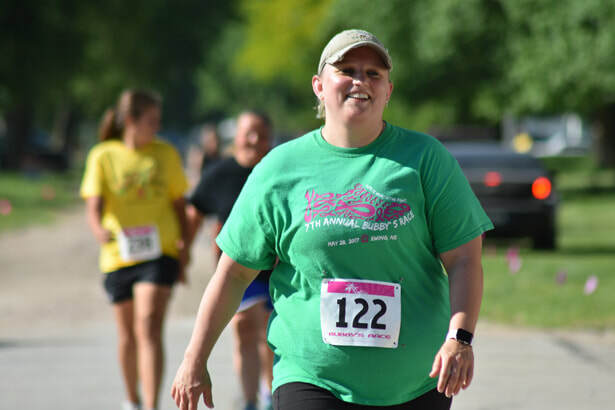 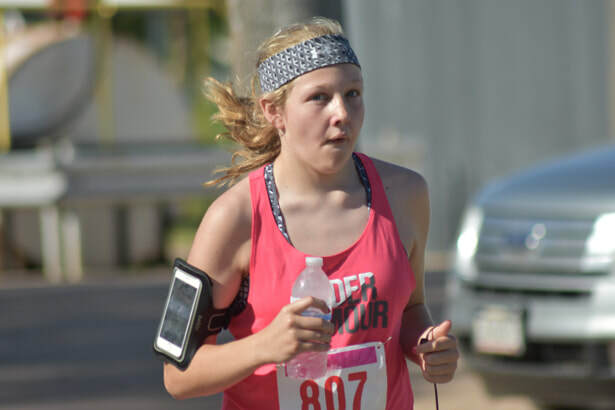 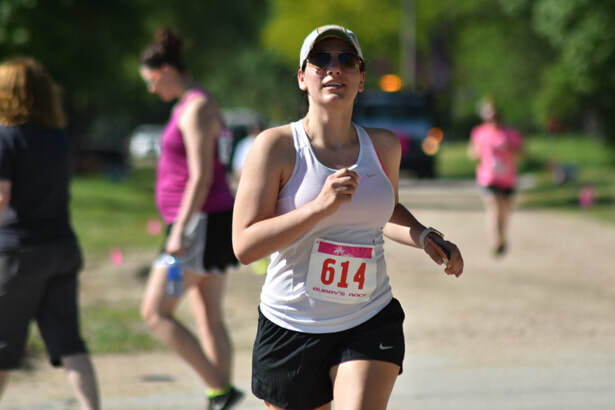 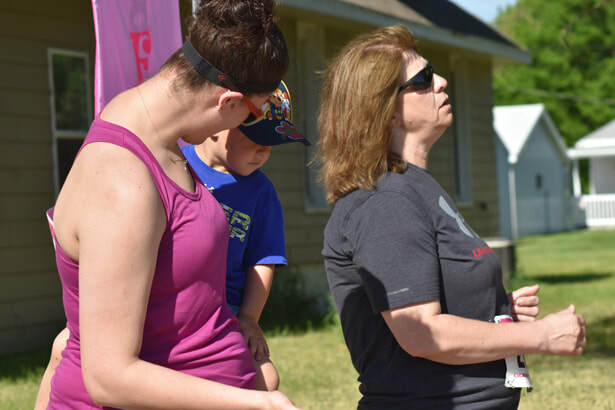 Bubby's Race is in remembrance of Bev Thramer and all of those who lost their battle to cancer, in honor of loved ones currently fighting, and in celebration of those who have overcome the battle. 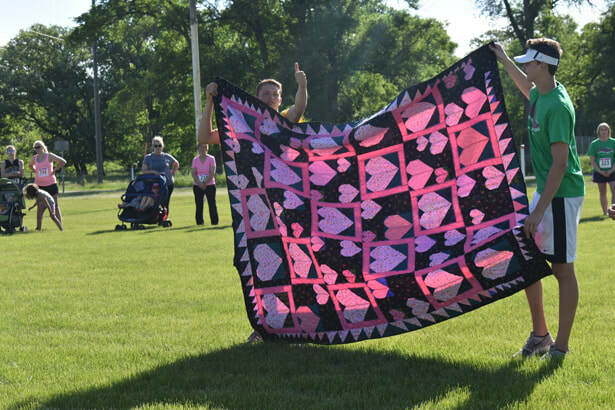 Proceeds will be donated to cancer treatments at Avera St. Anthony's Hospital in O'Neill, NE and Antelope Memorial Hospital in Neligh, NE.